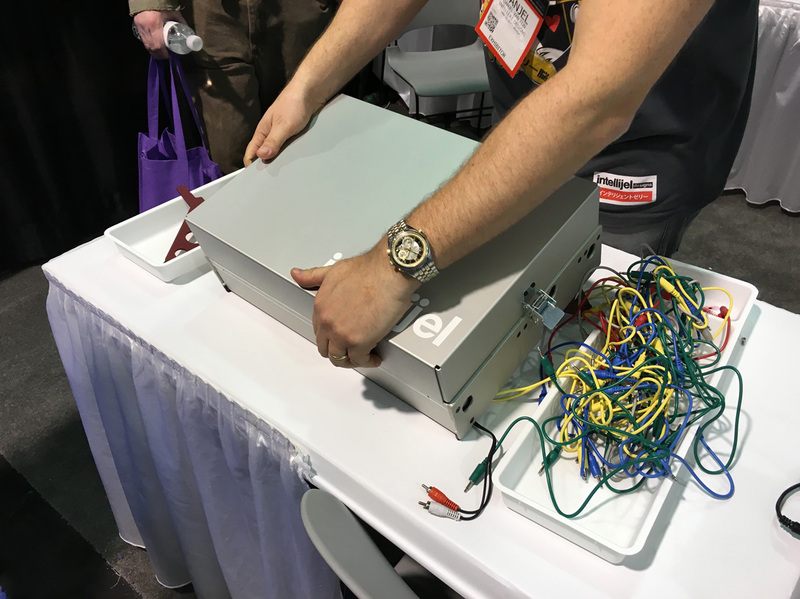 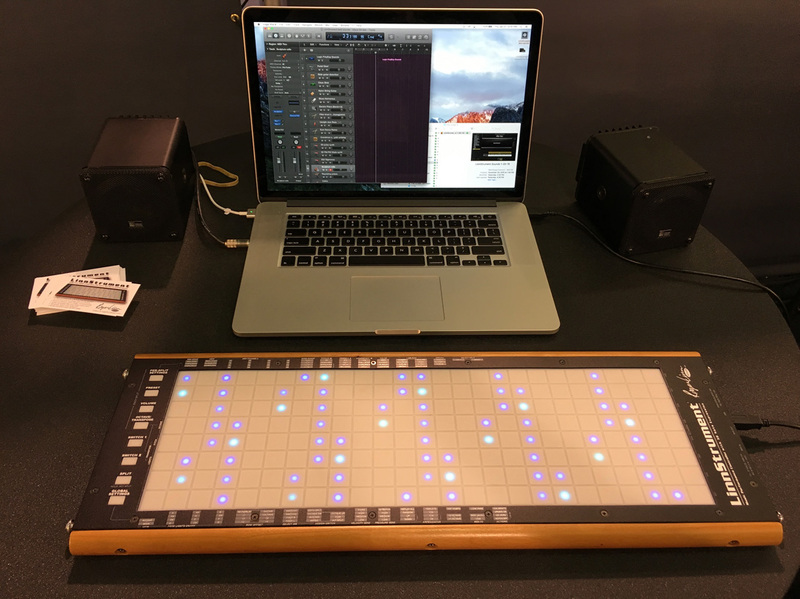 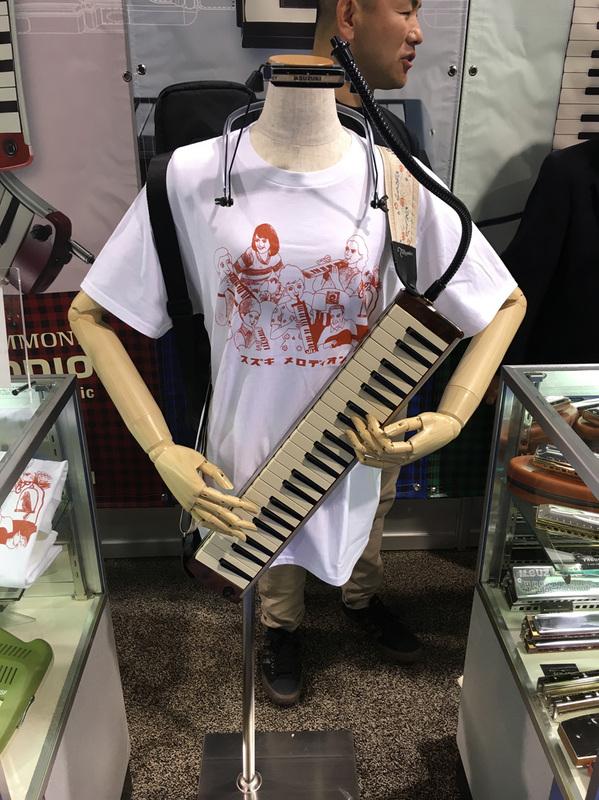 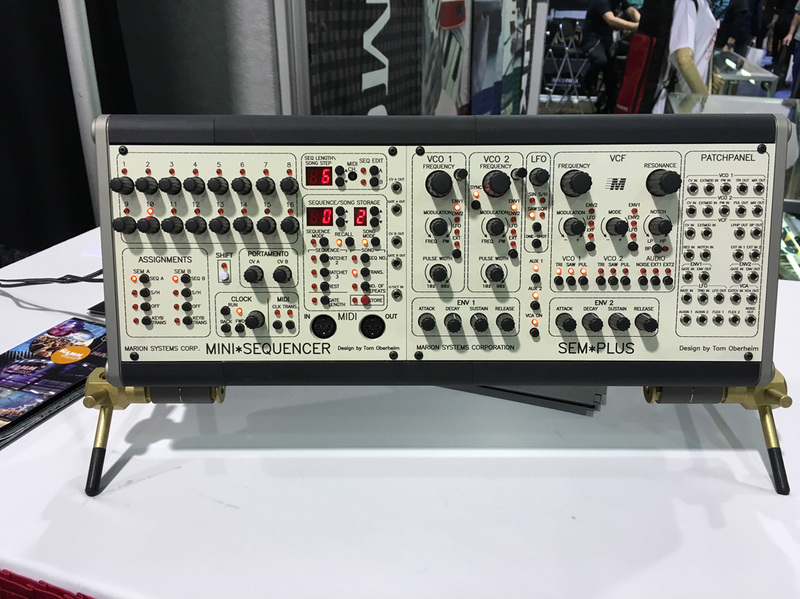 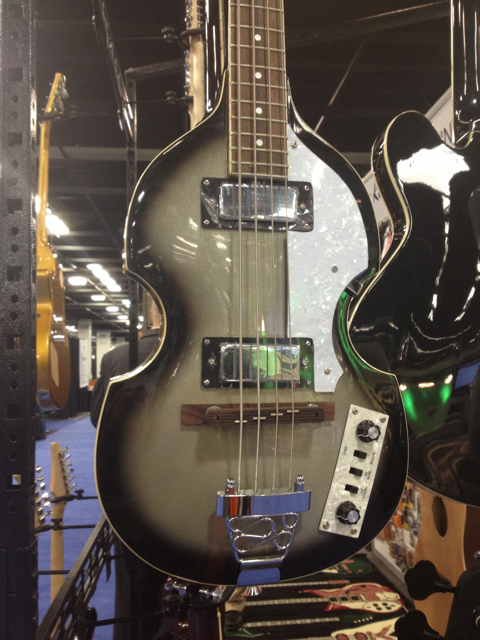 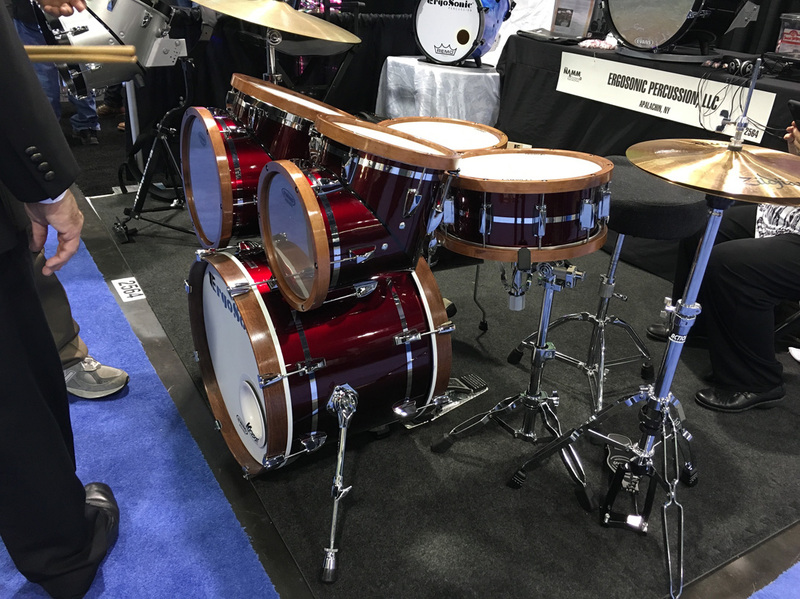 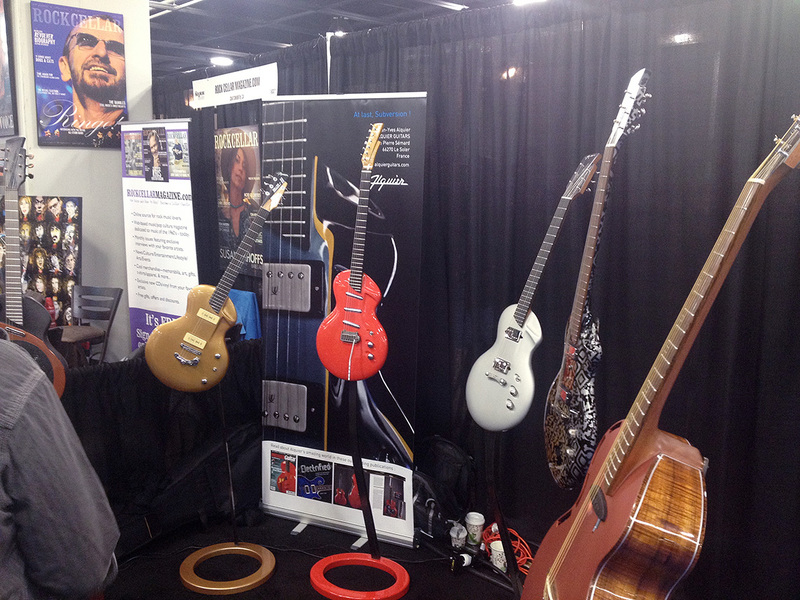 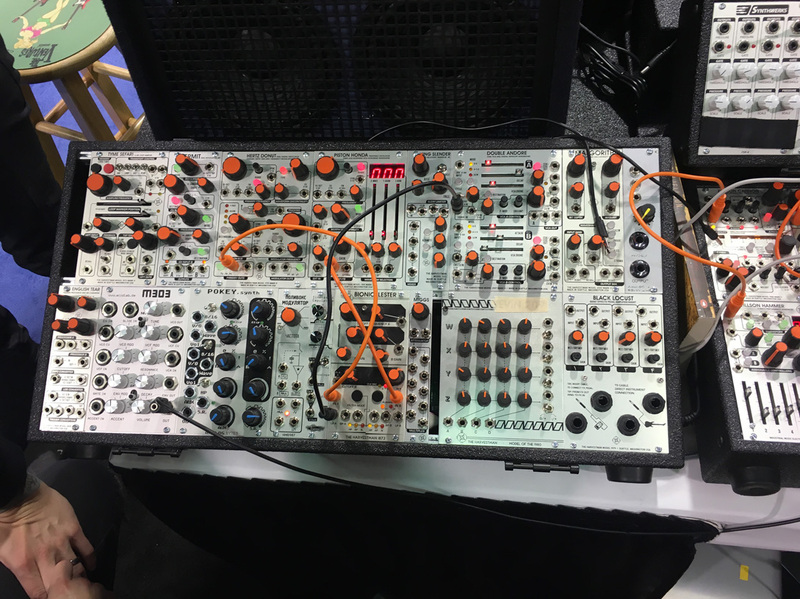 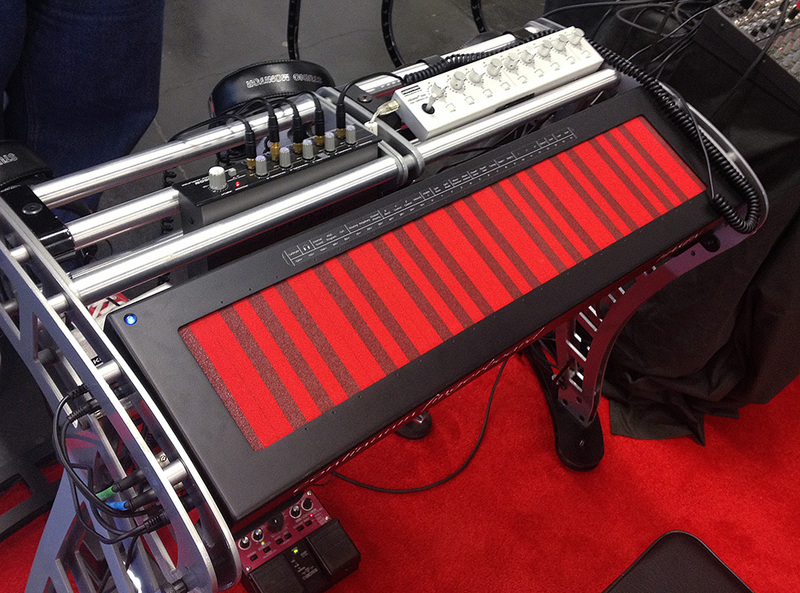 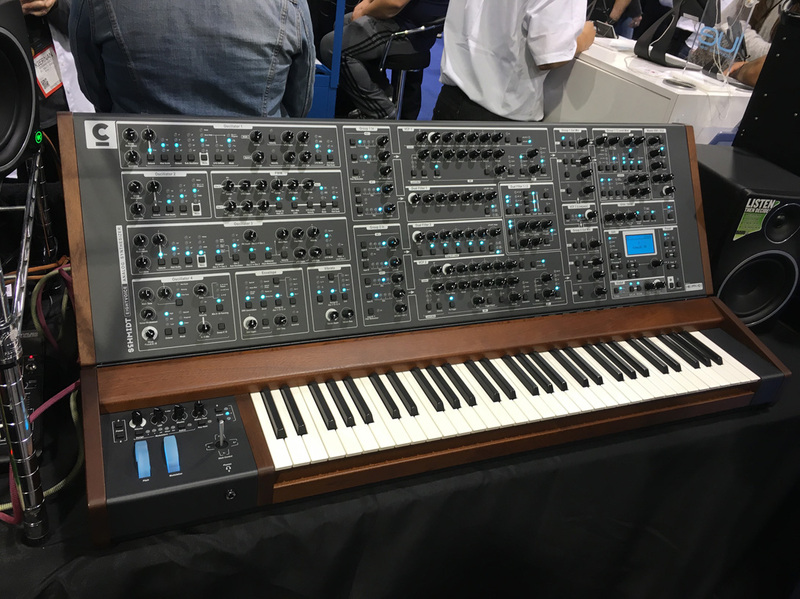 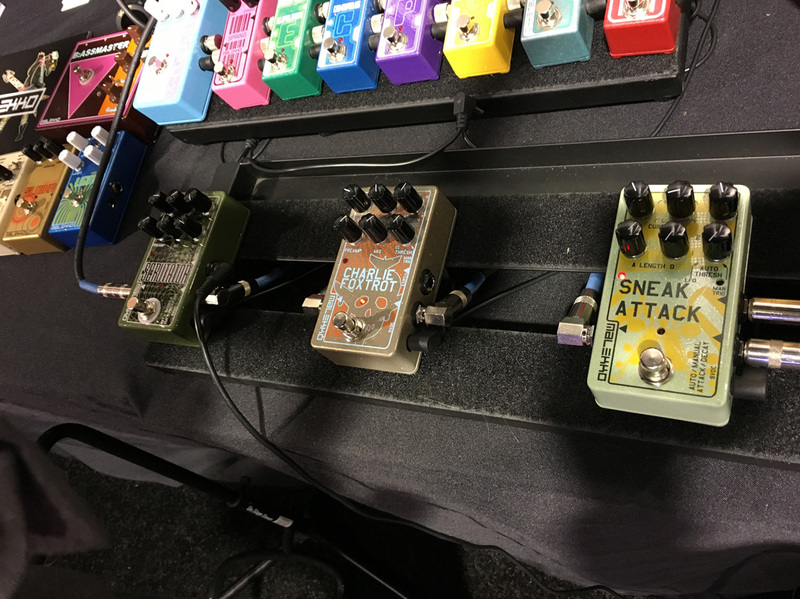 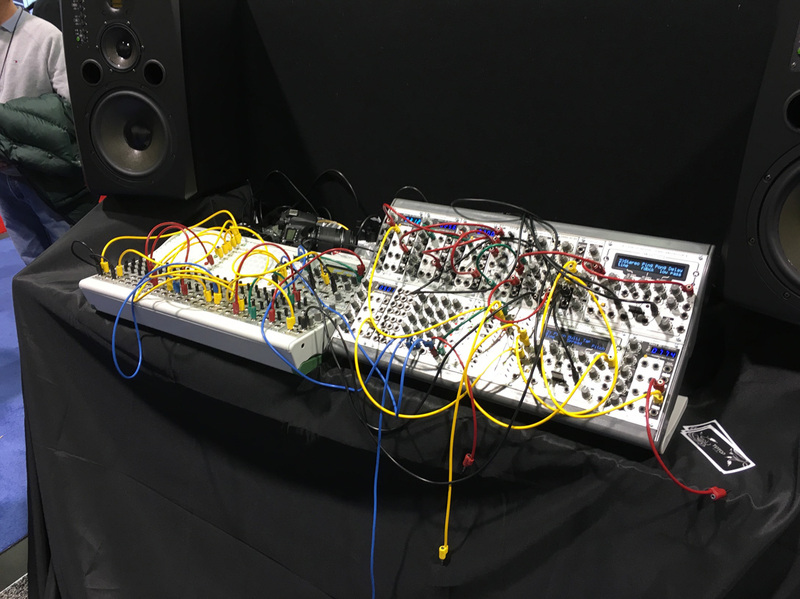 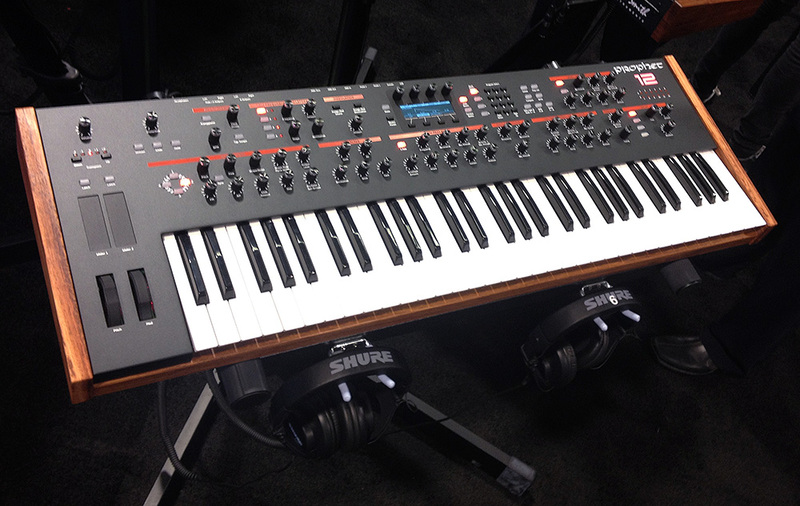 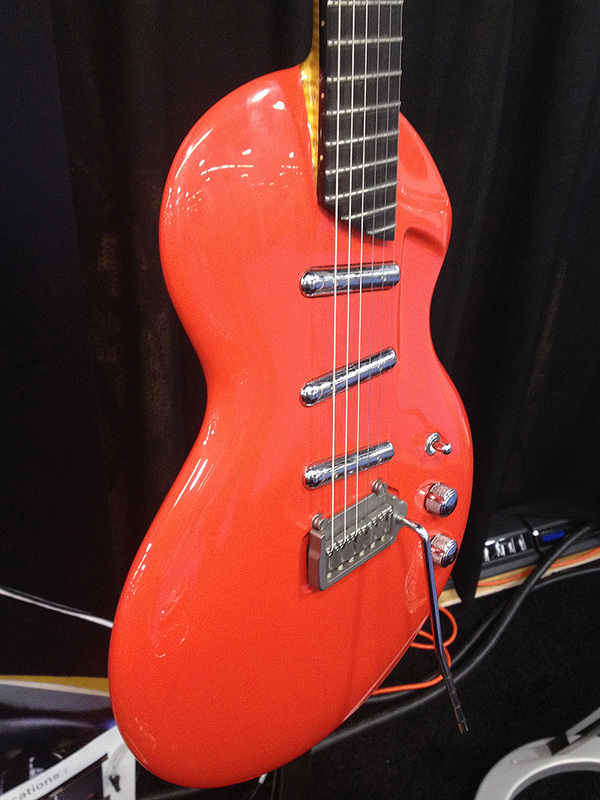 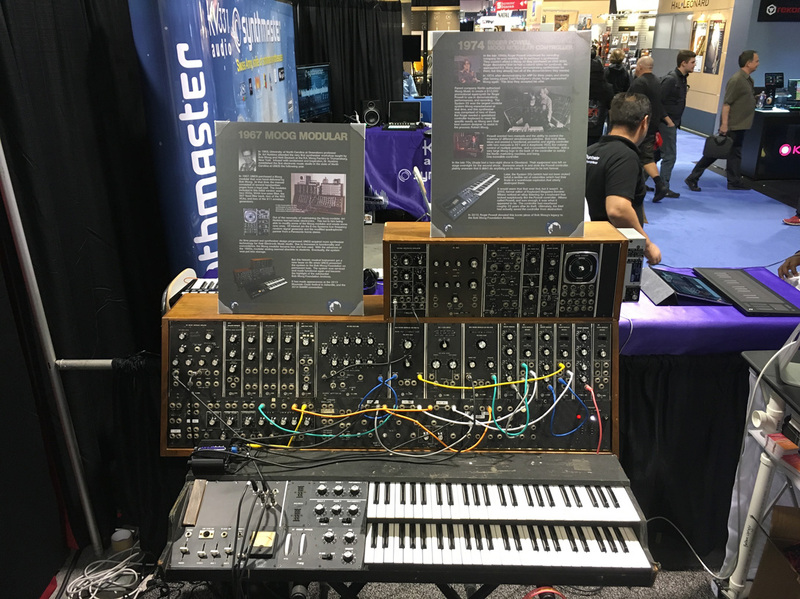 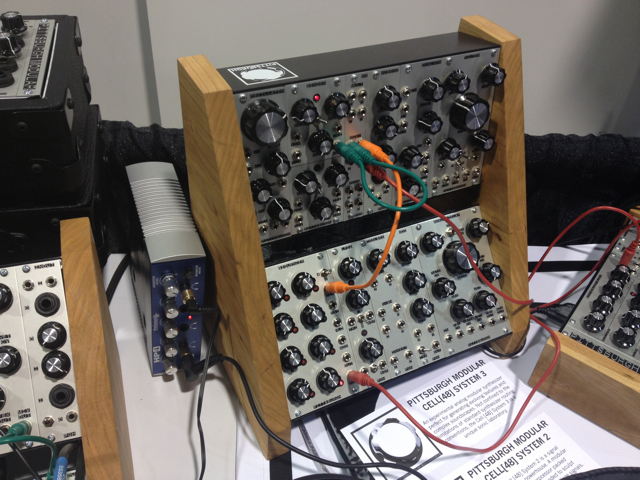 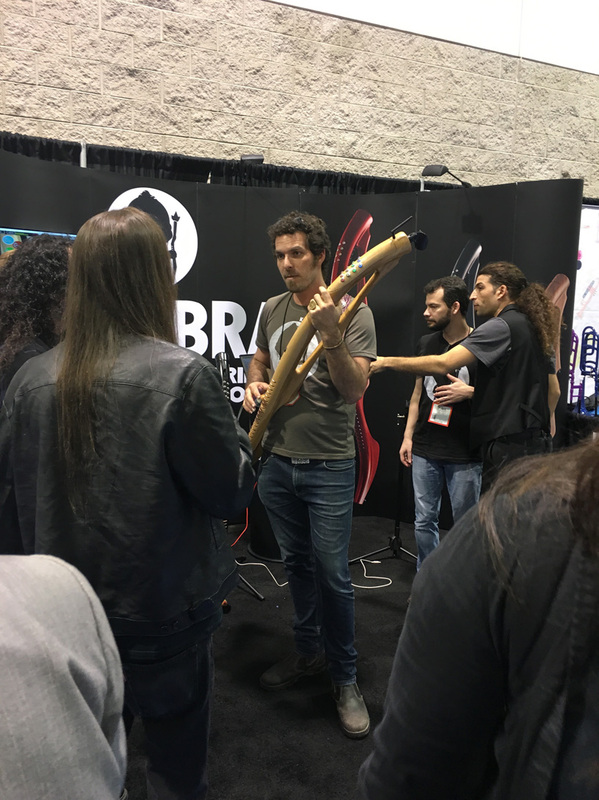 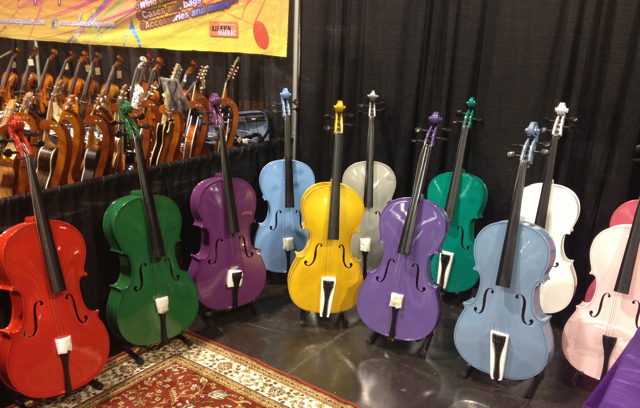 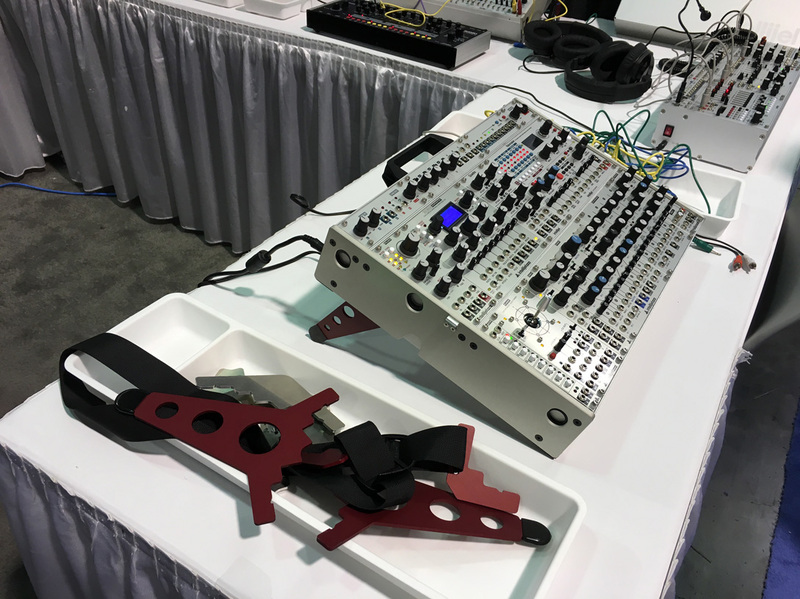 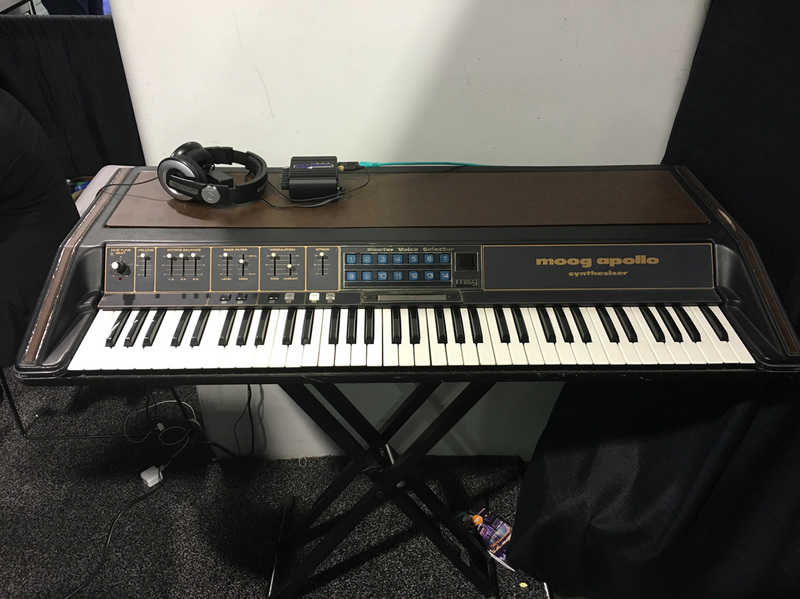 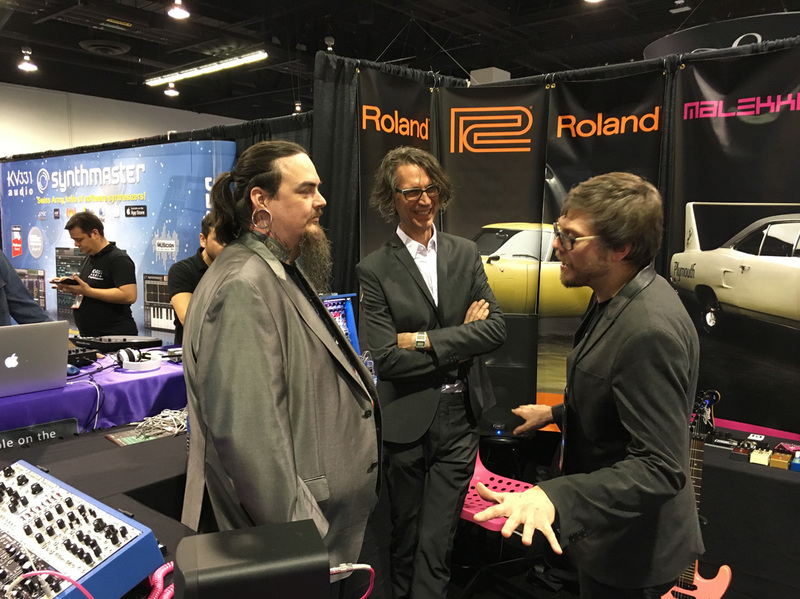 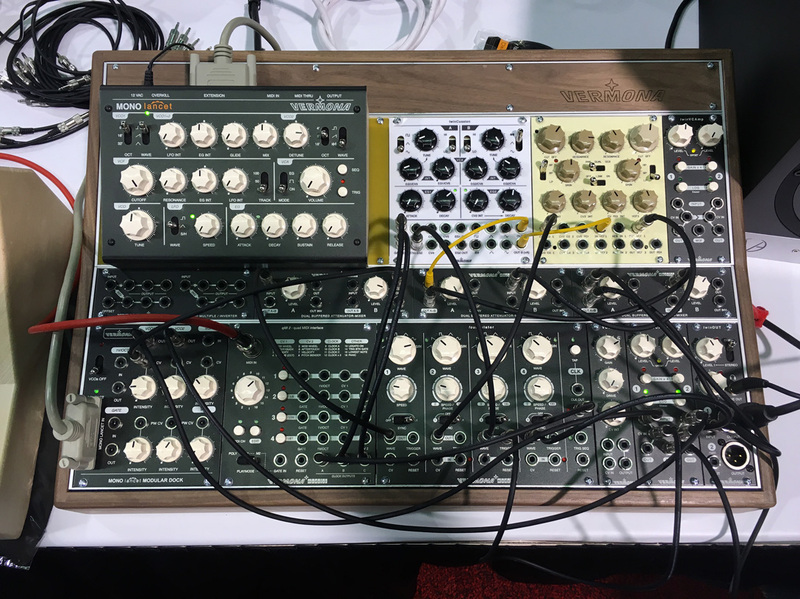 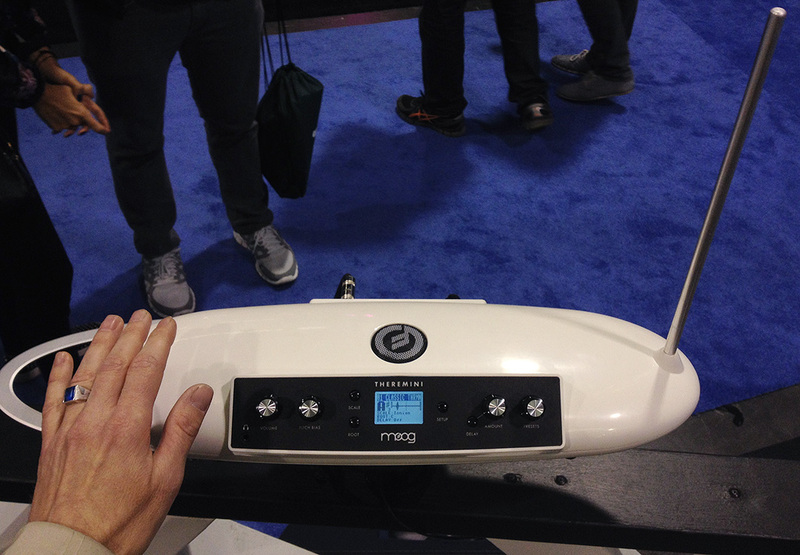 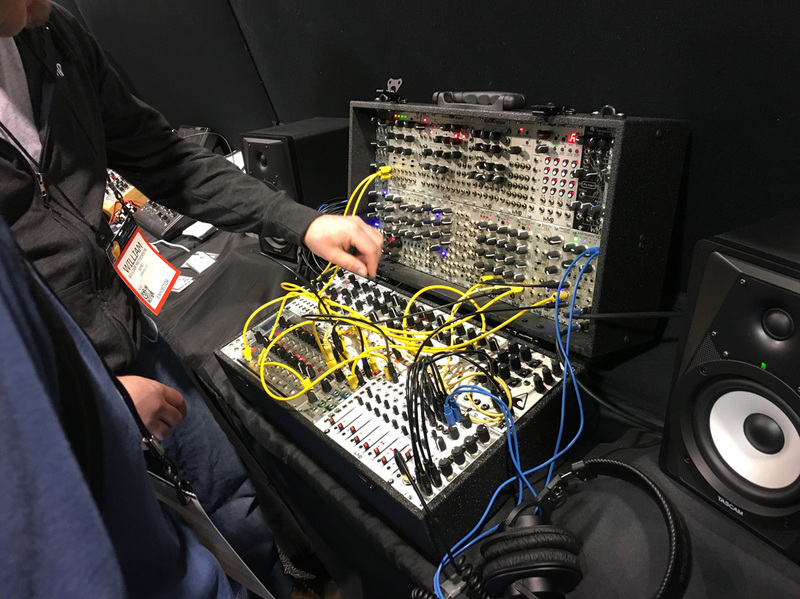 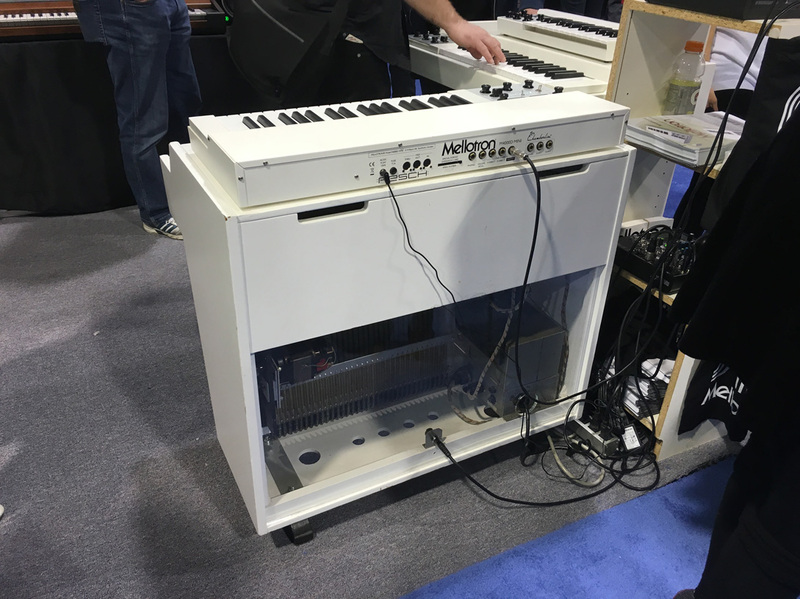 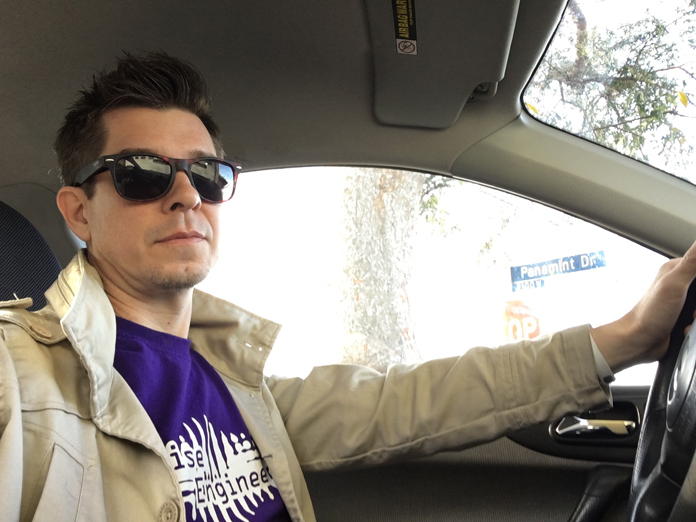 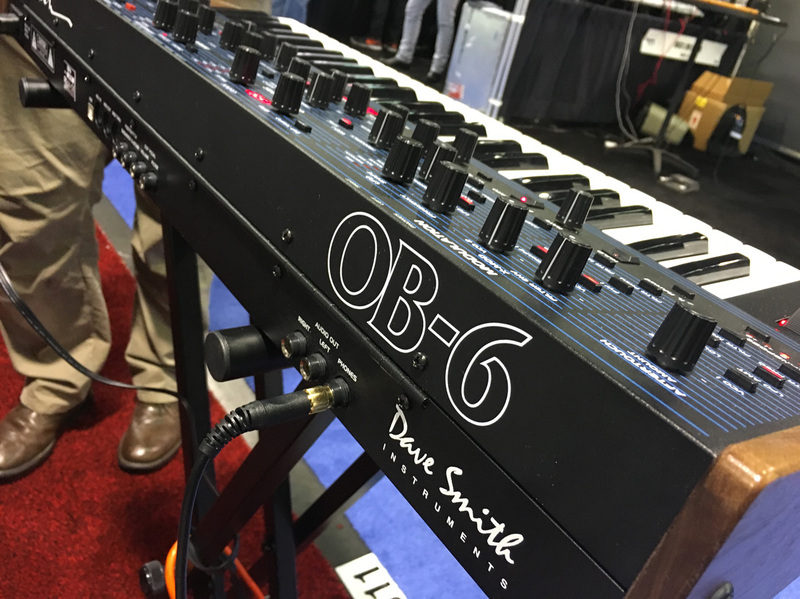 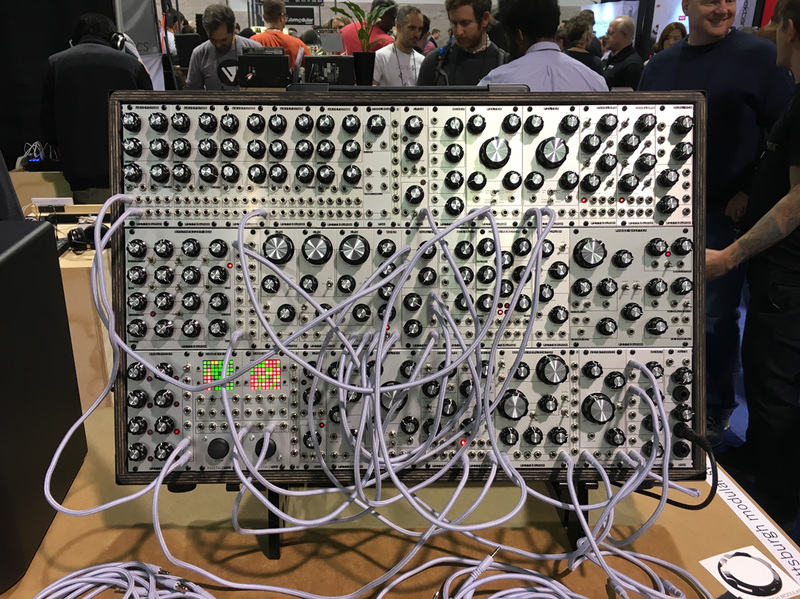 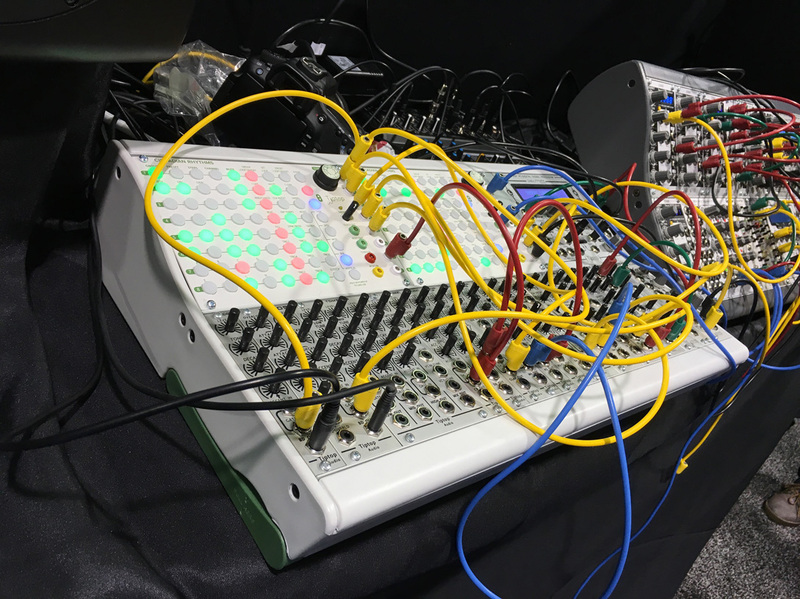 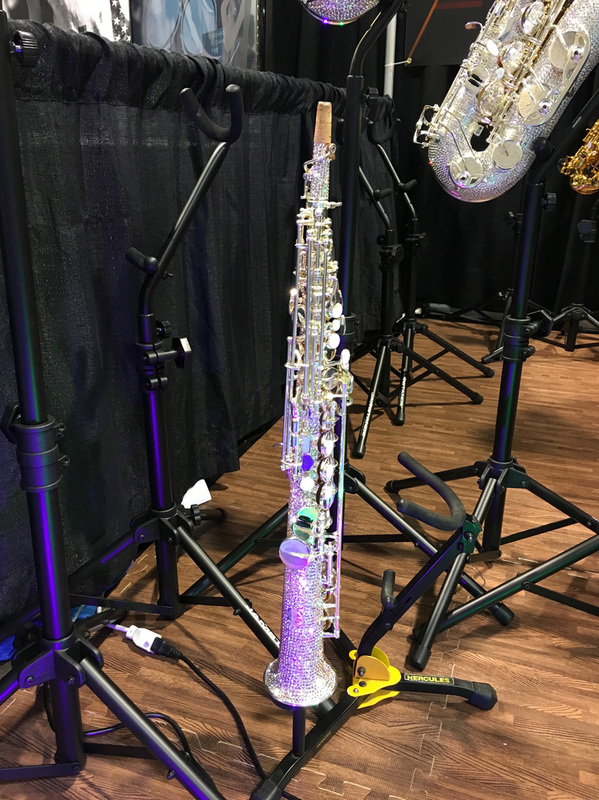 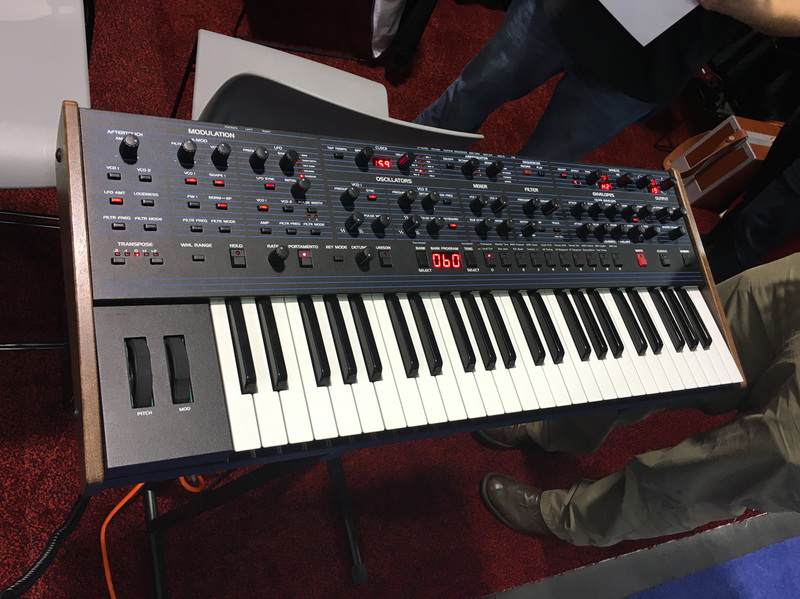 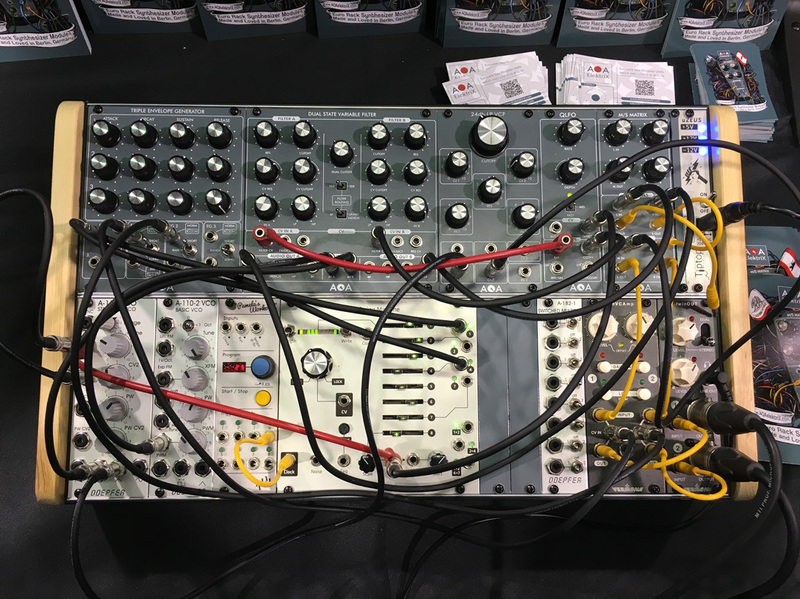 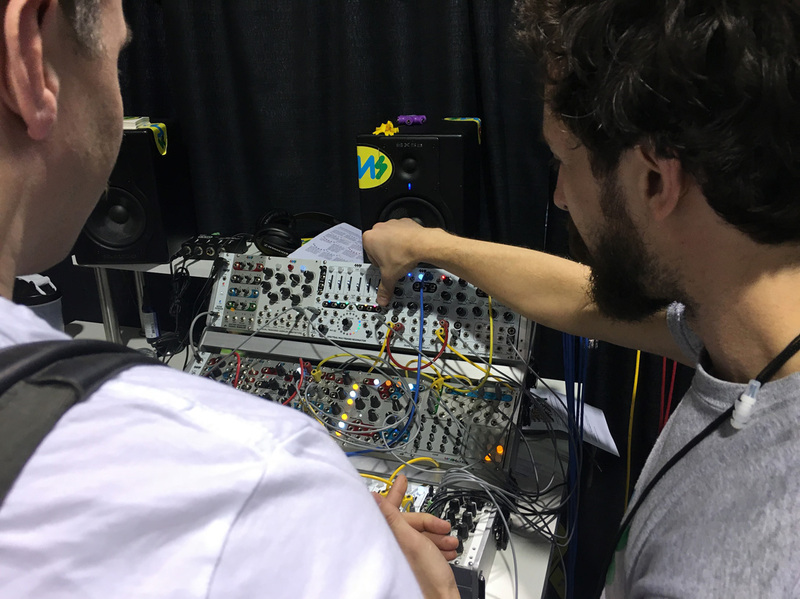 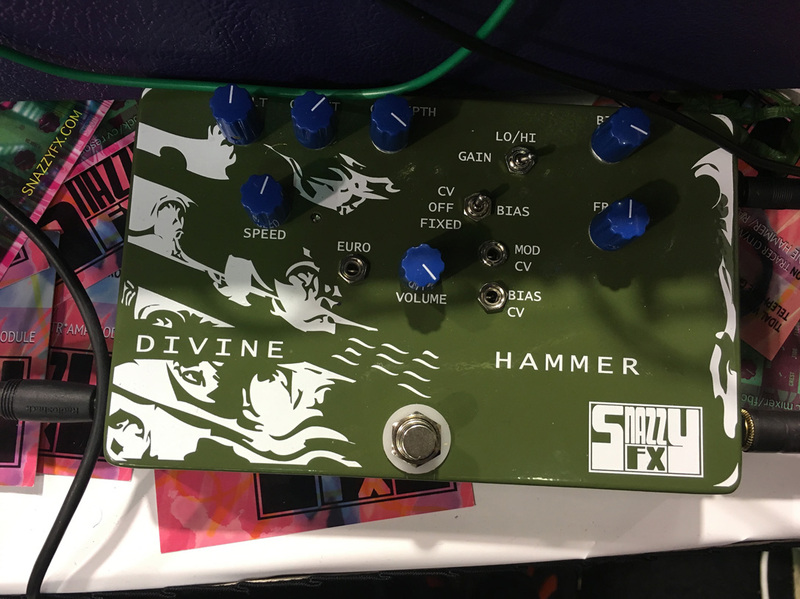 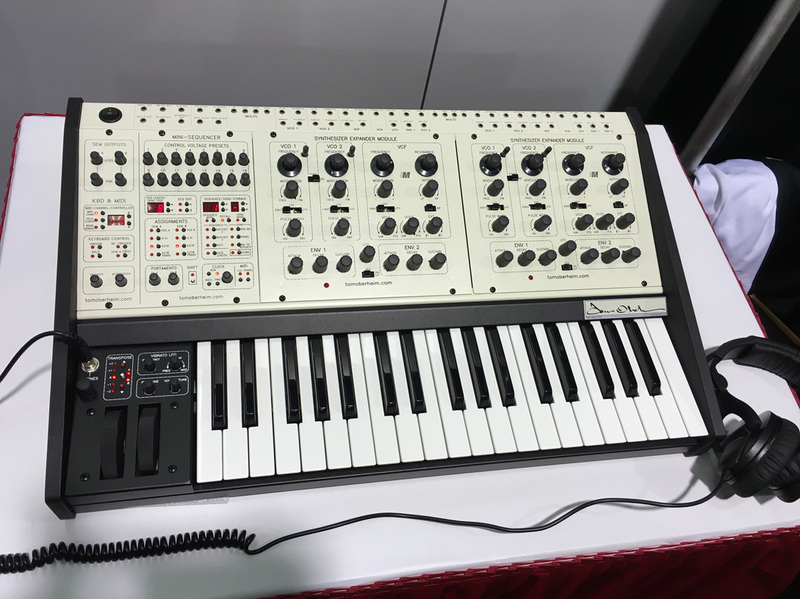 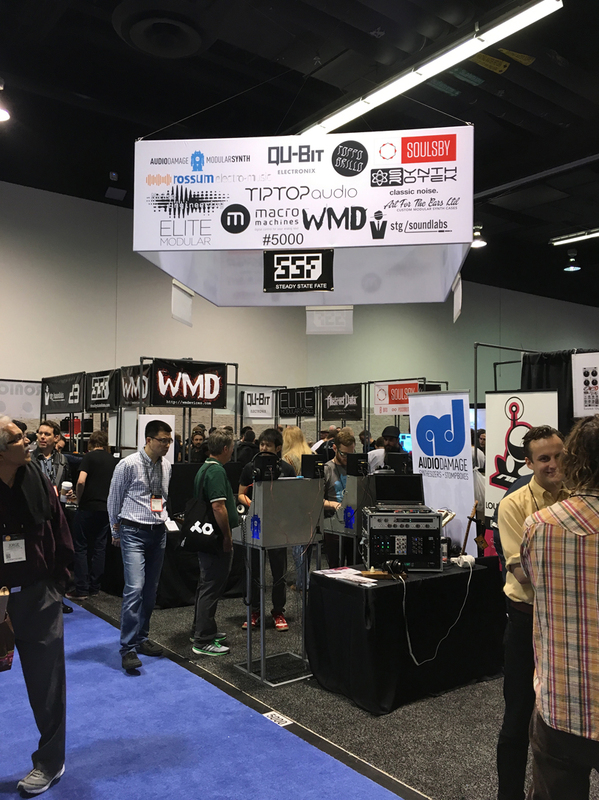 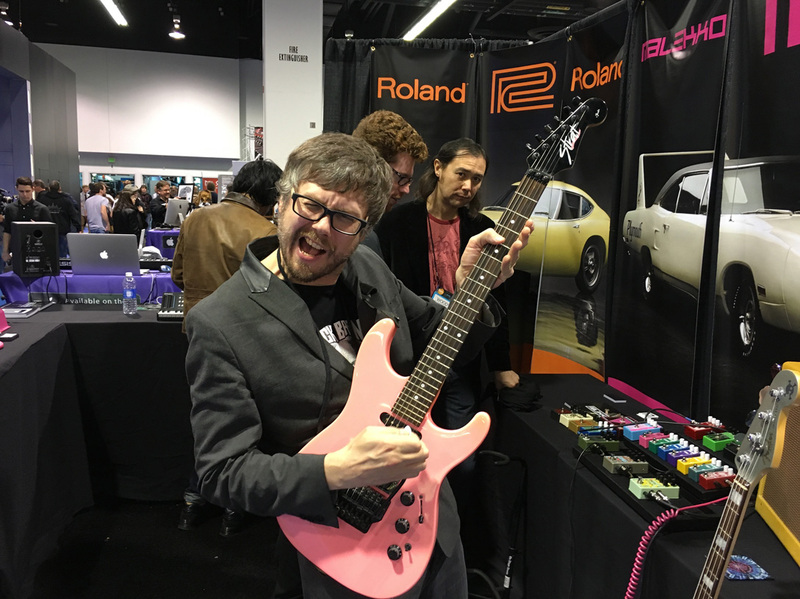 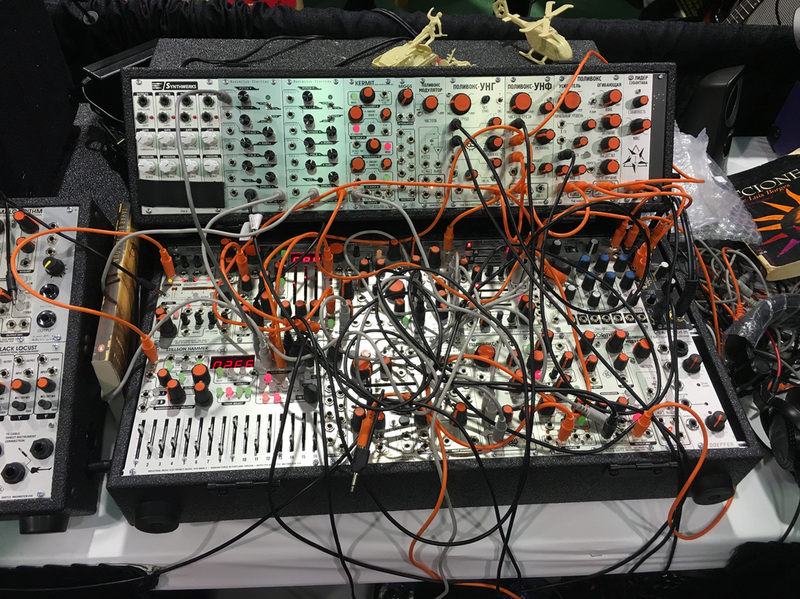 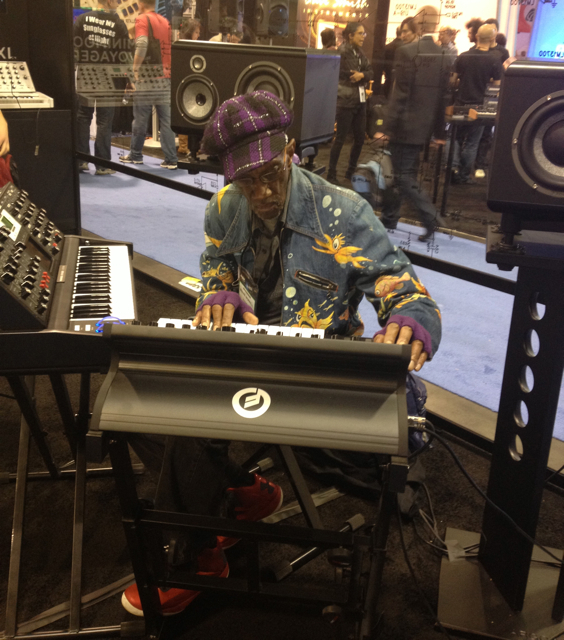 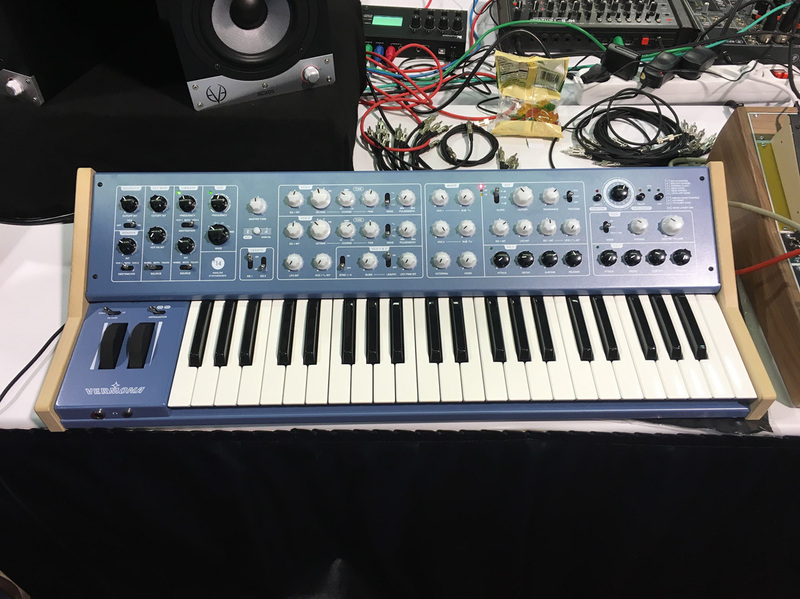 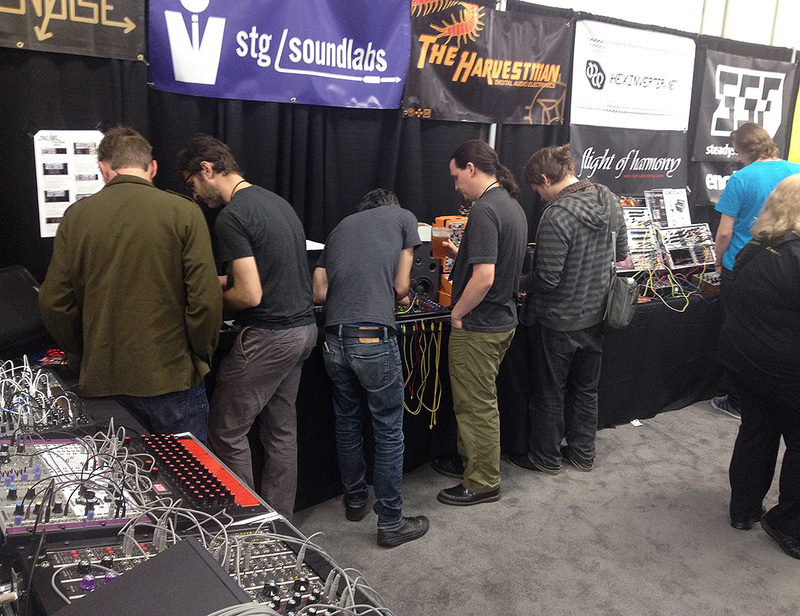 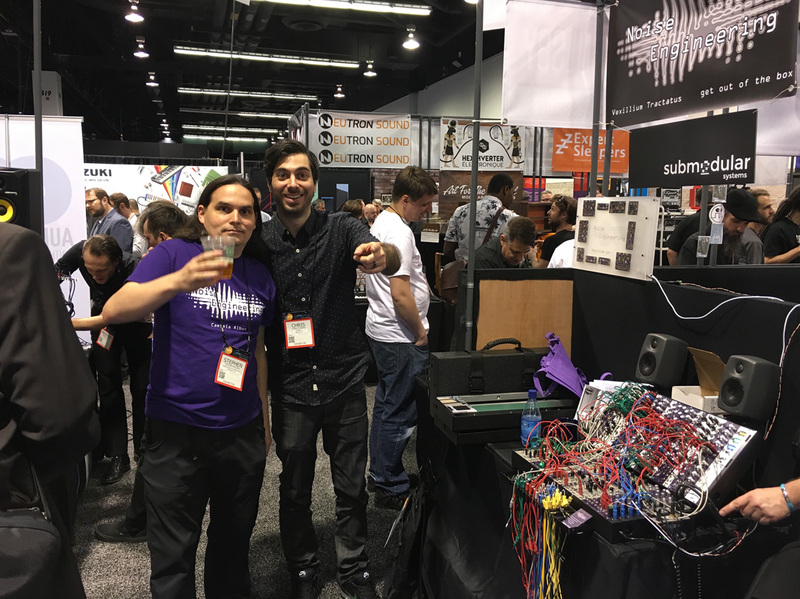 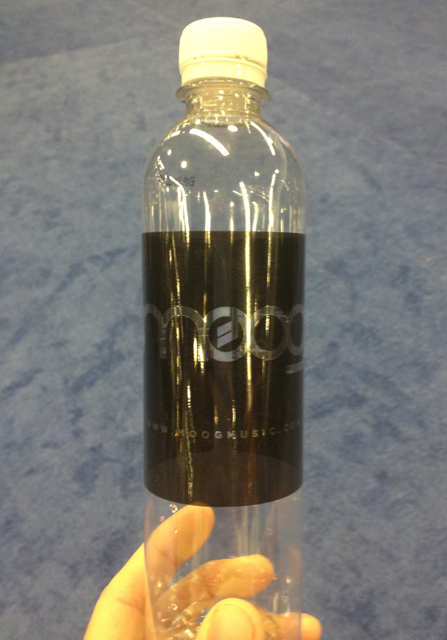 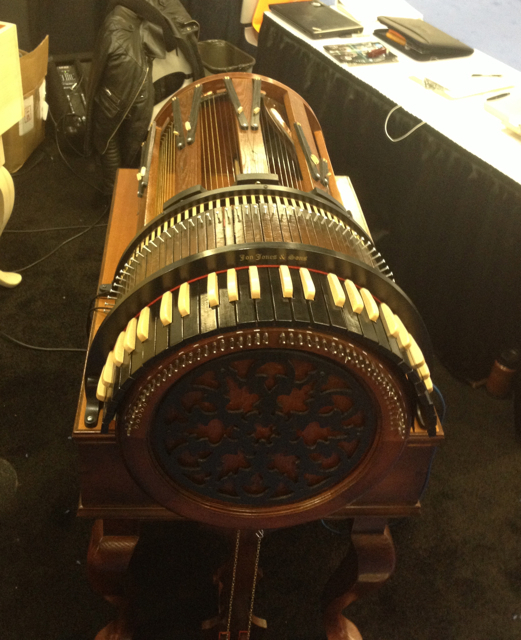 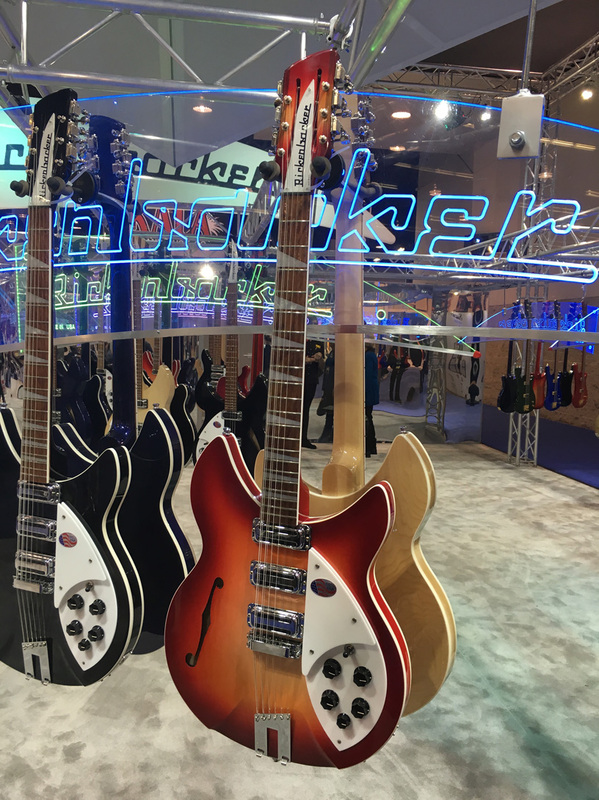 This year I had my first NAMM experience. 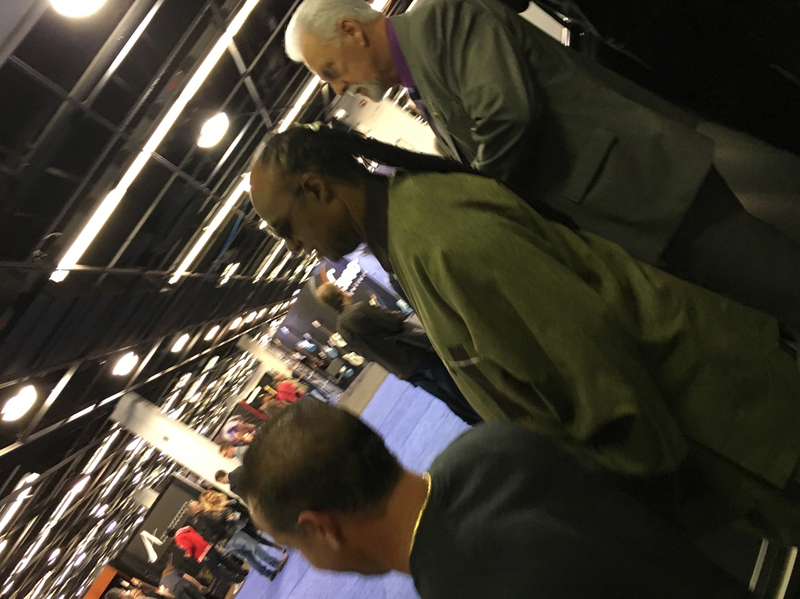 I only attended one of the four days. 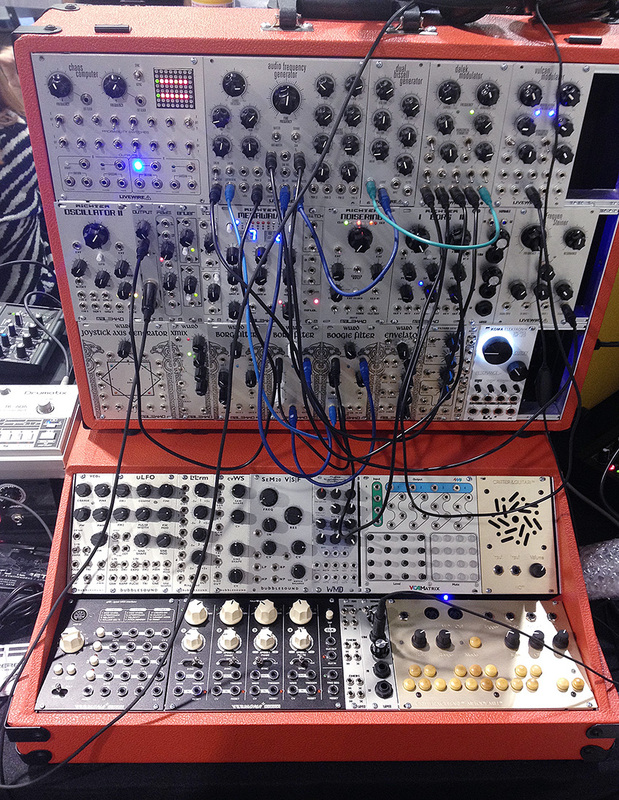 Once I saw how gigantic it is, I understood why it is four days long. 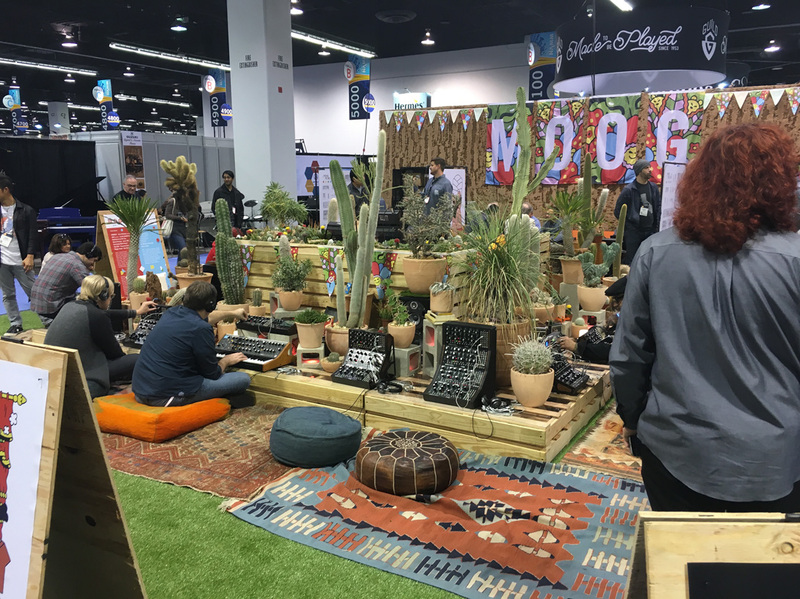 I barely got to see the several main booths I wanted to see as it was totally overwhelming. 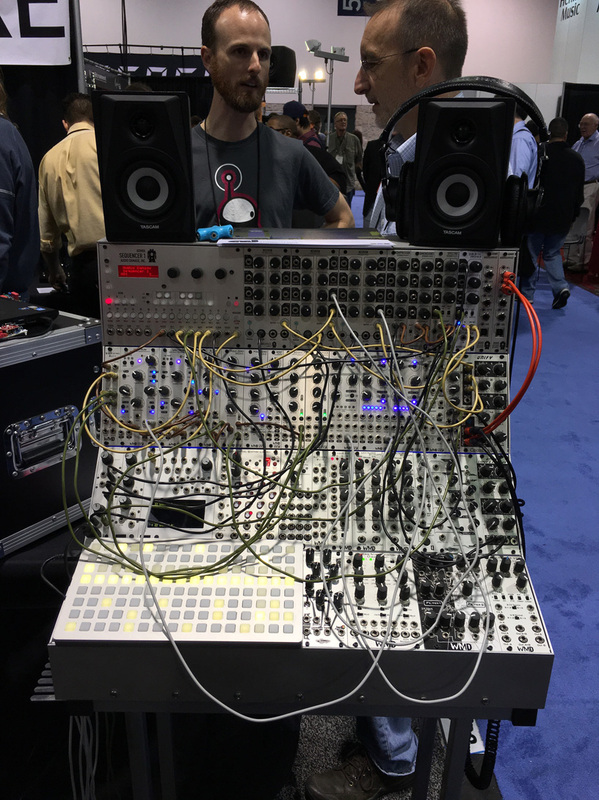 Thankfully, I was only interested in the modular synthesizers and a few other musical oddities. 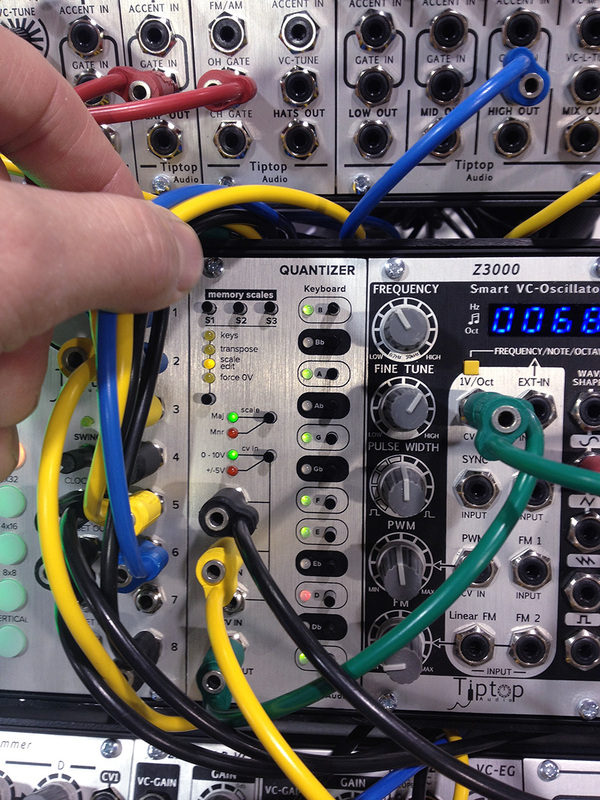 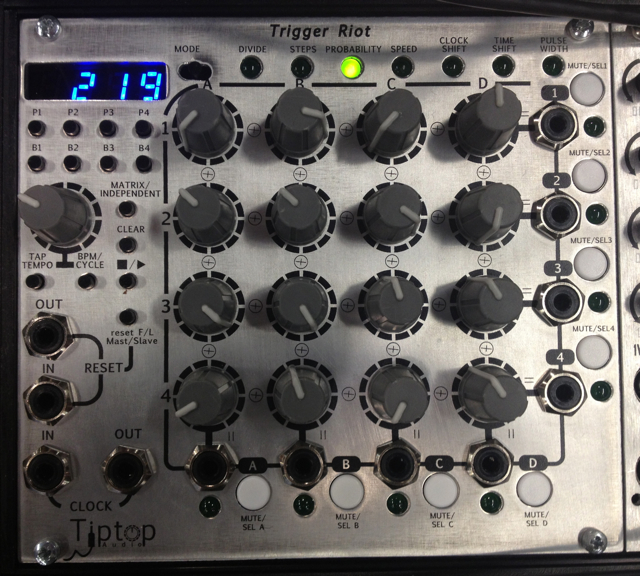 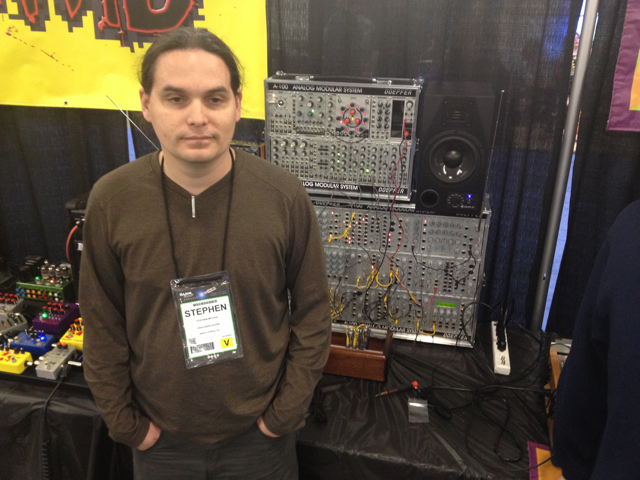 Here is Gur from Tiptop Audio showing off several new modules. 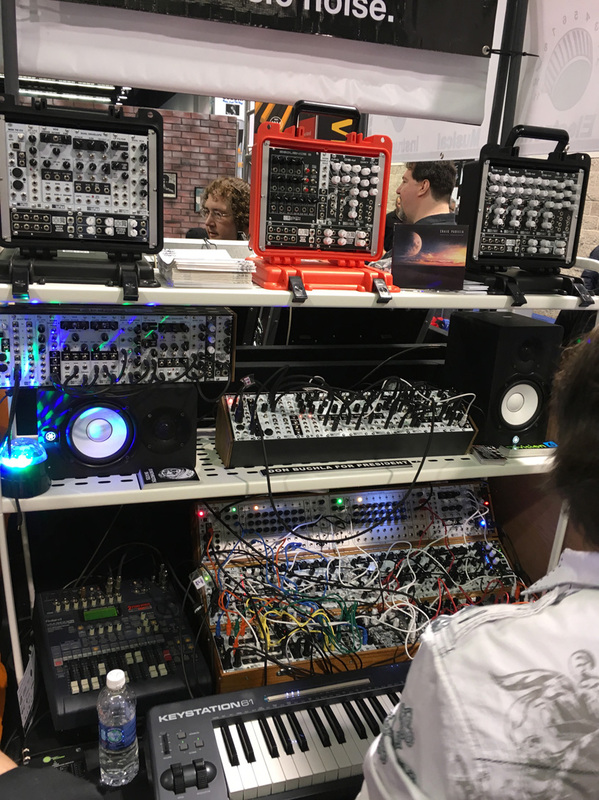 Among them were the BD808 and SD808 which are respectively the bass drum and the snare drum circuits from the venerable Roland TR-808 drum machine adapted for eurorack format and they sound fantastic. 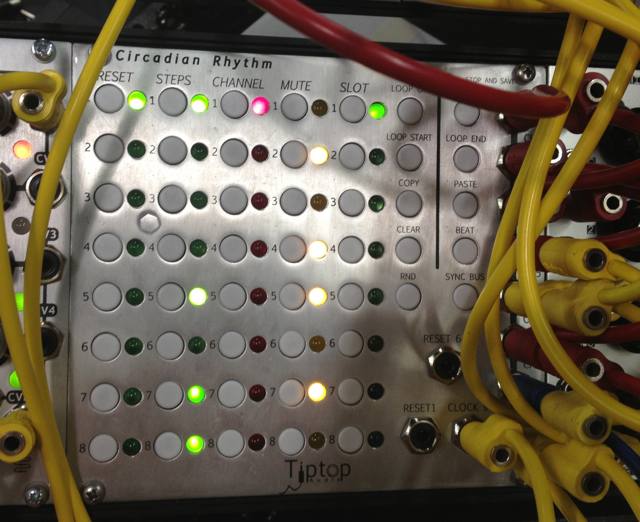 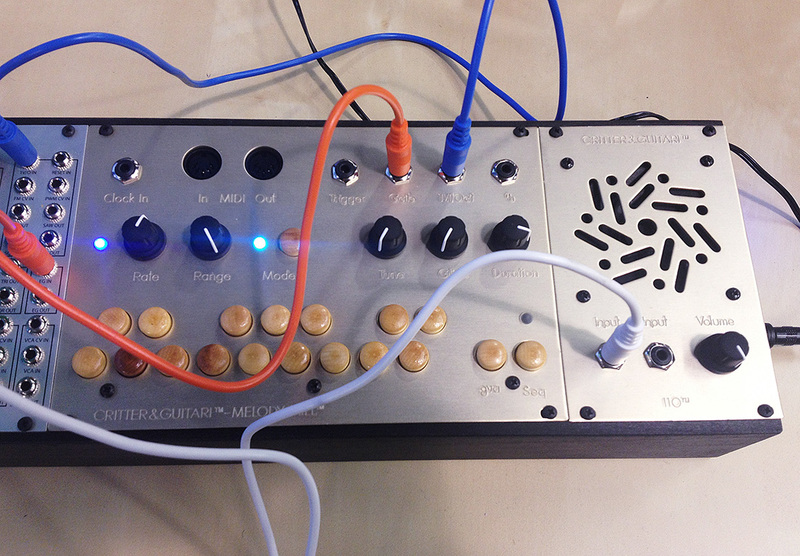 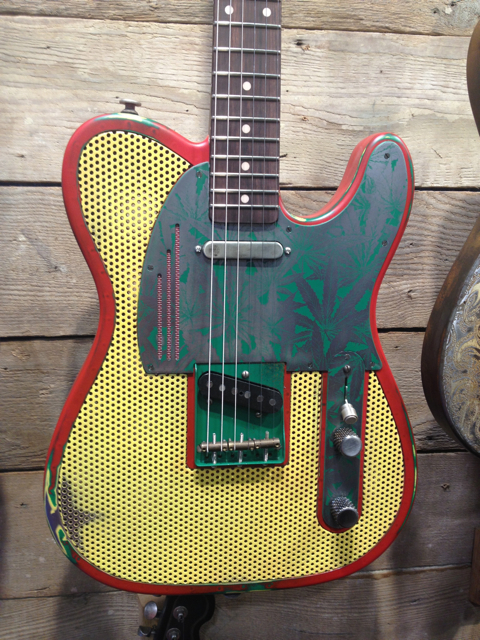 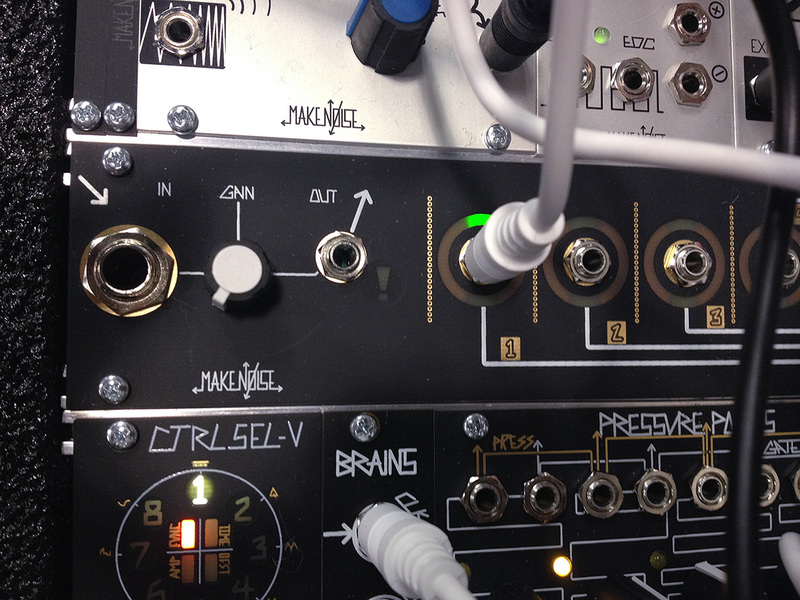 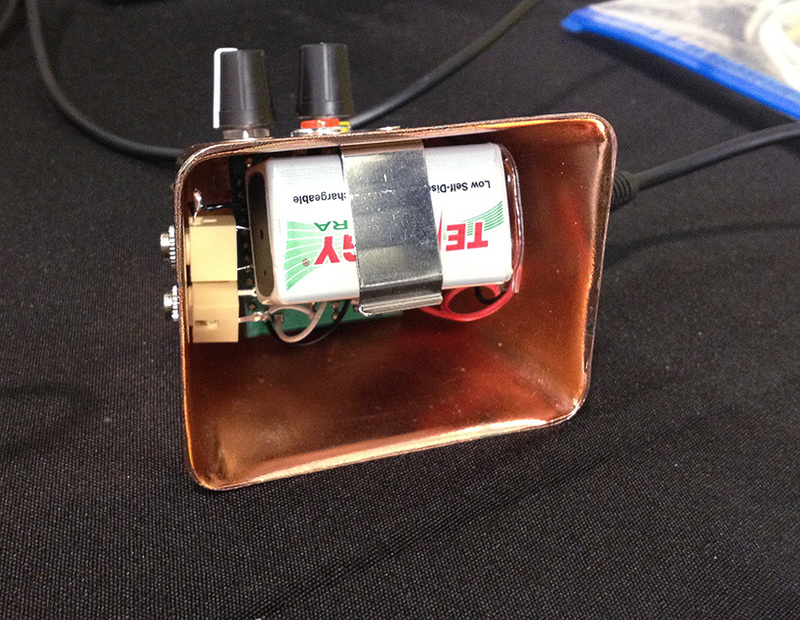 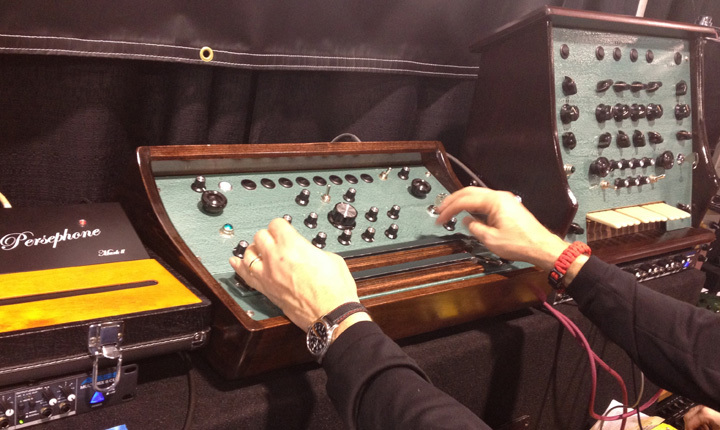 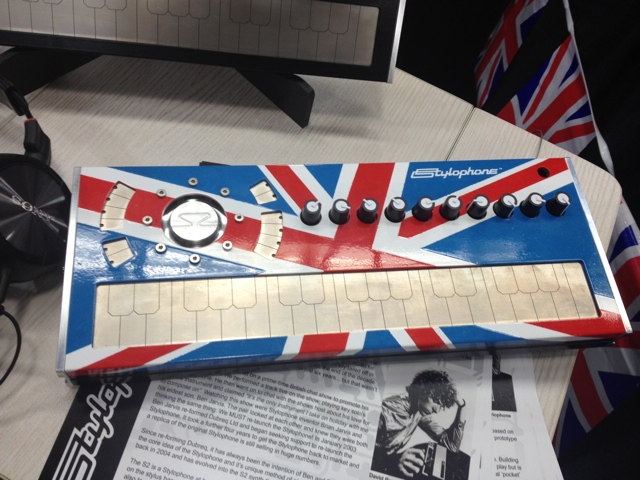 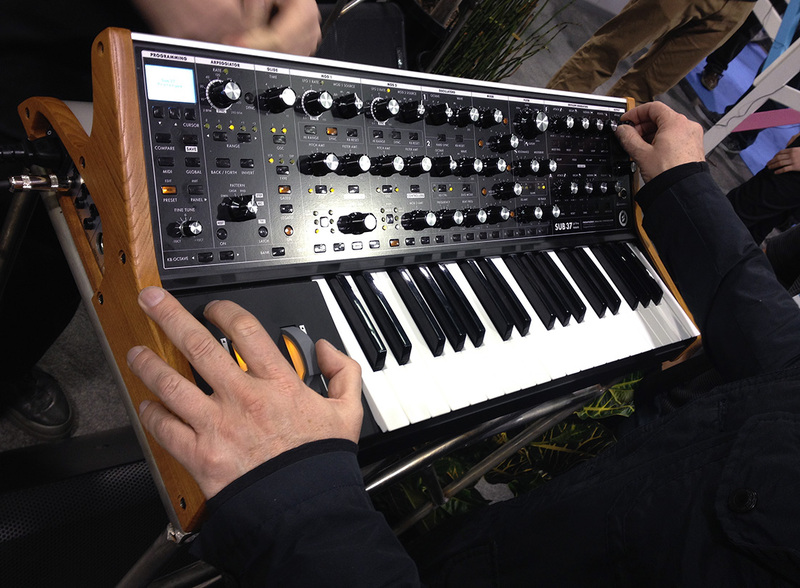 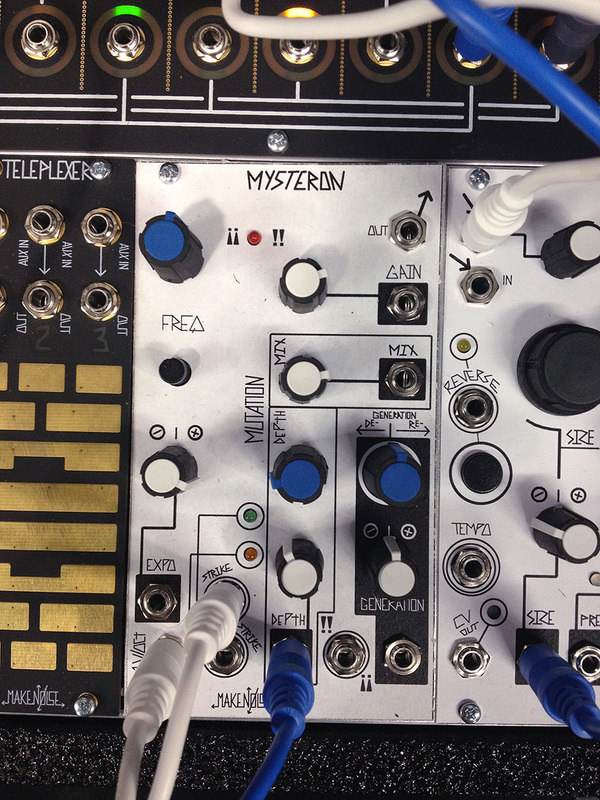 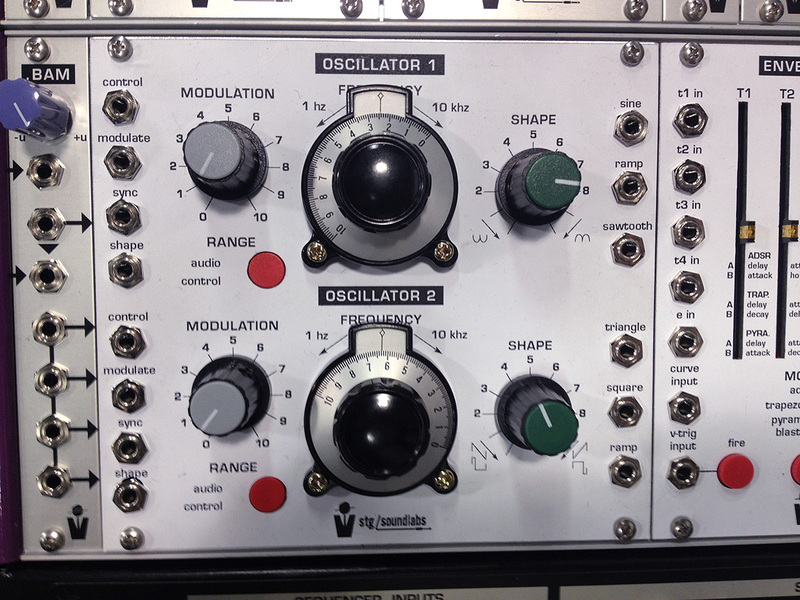 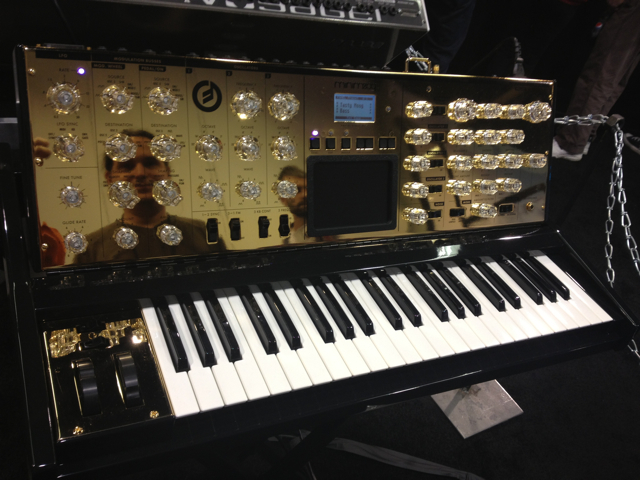 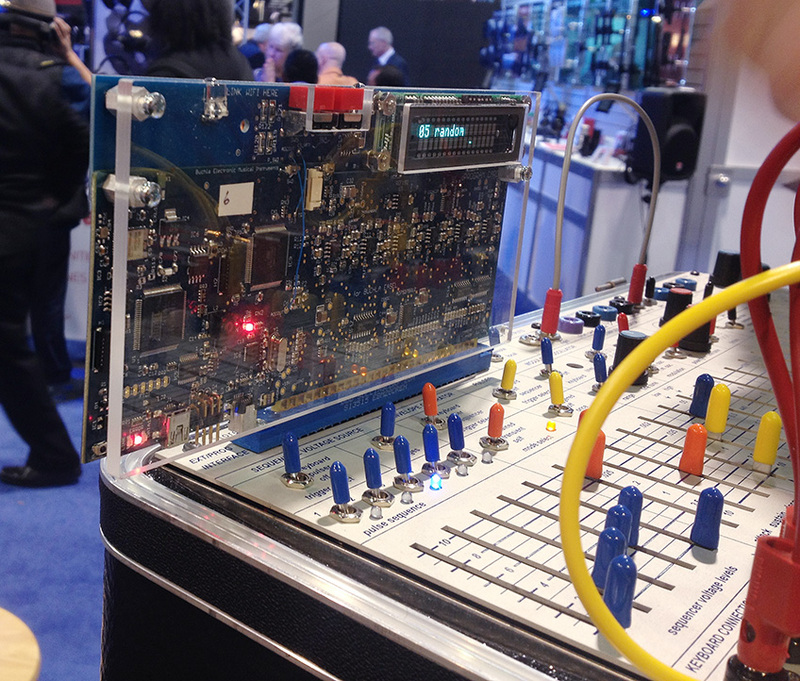 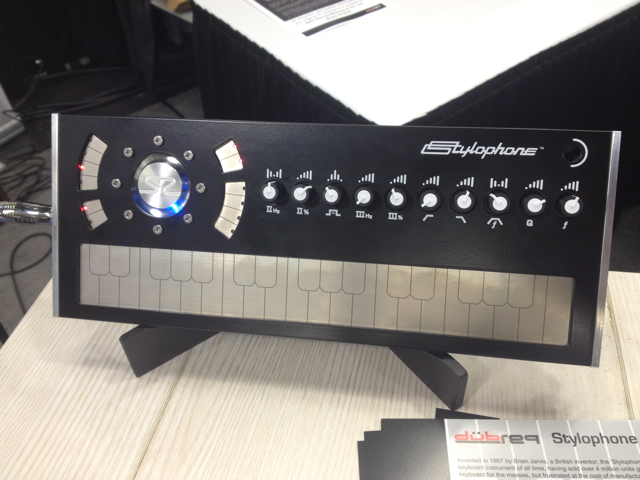 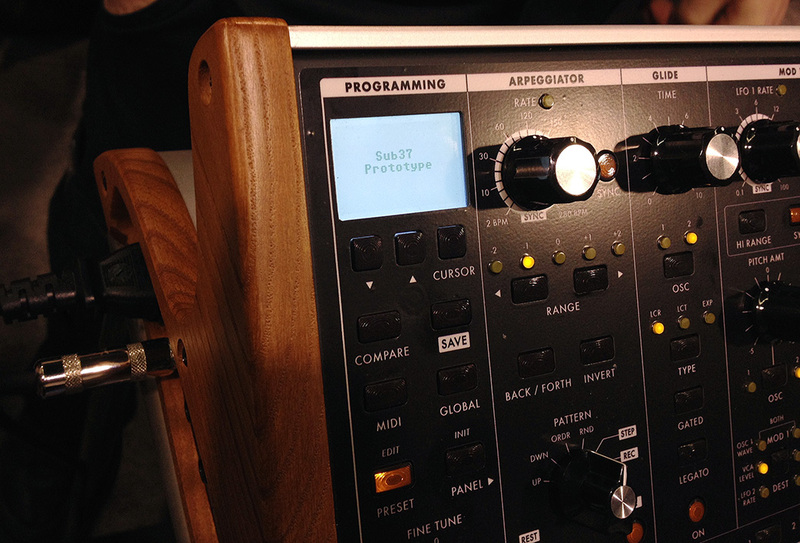 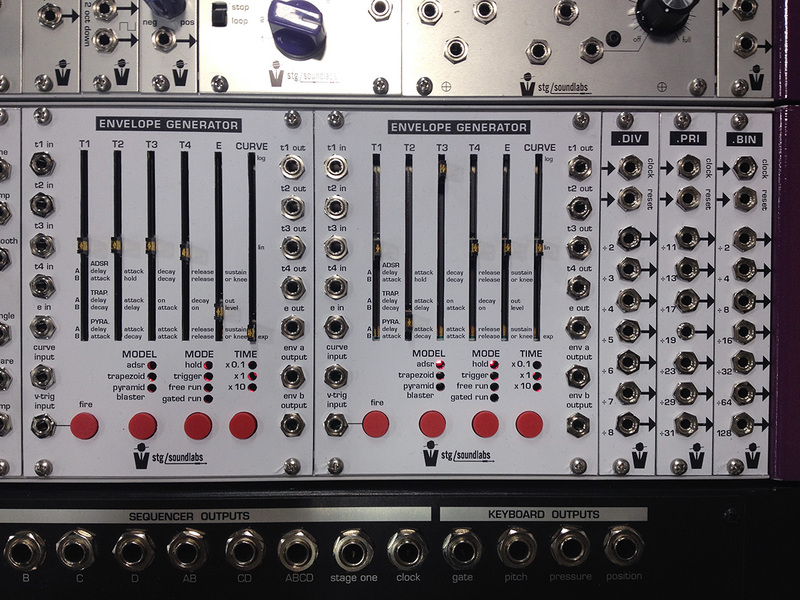 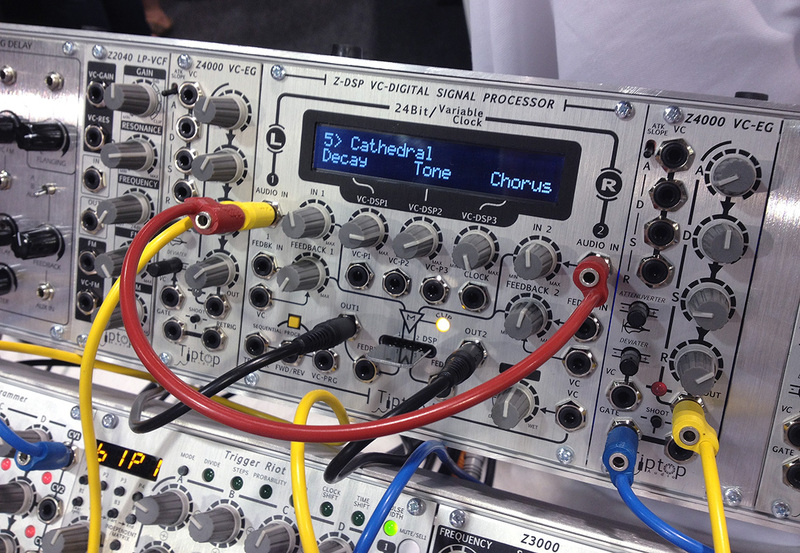 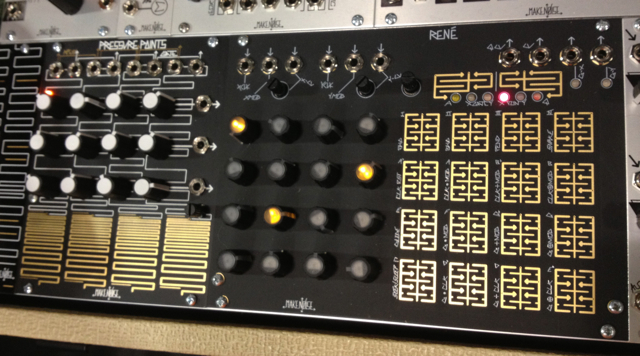 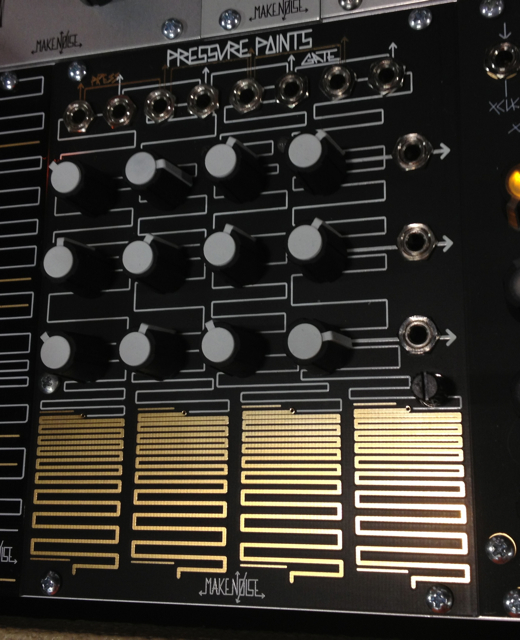 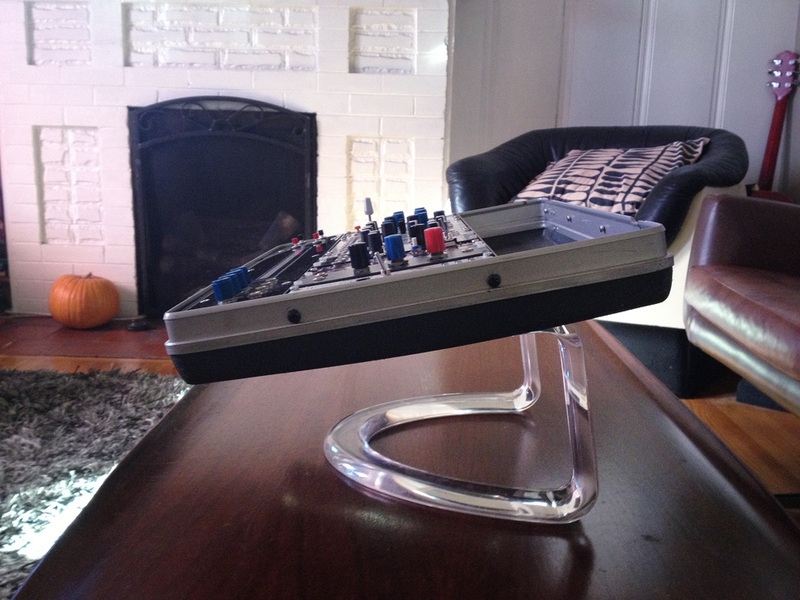 He also unveiled an unbelievable polyphonic oscillator which is the first in a series of polyphonic modules. 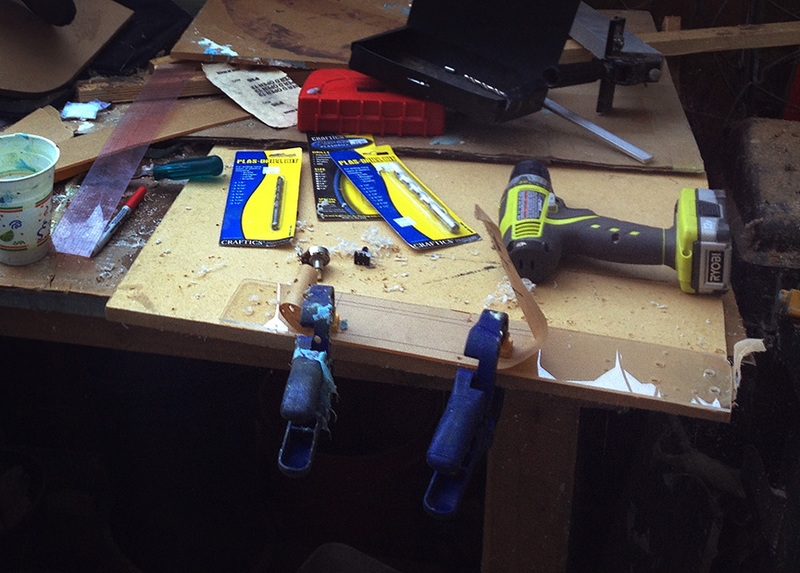 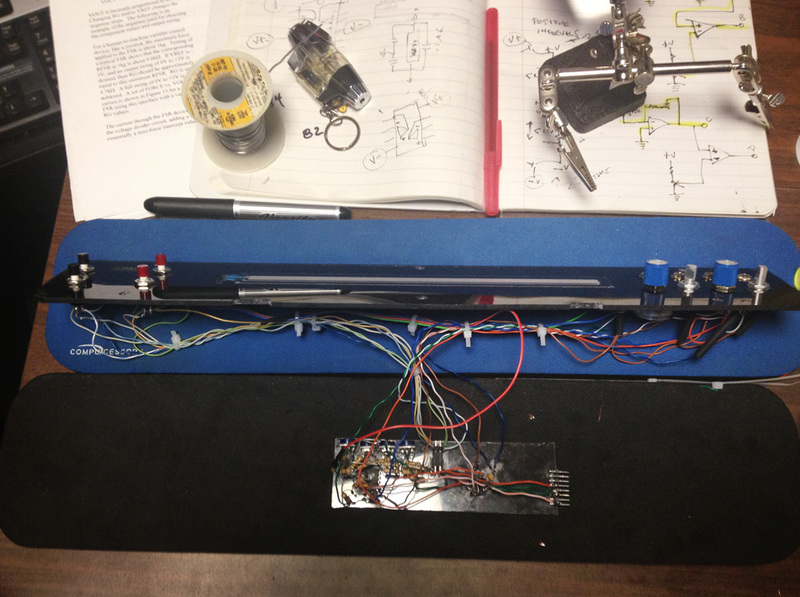 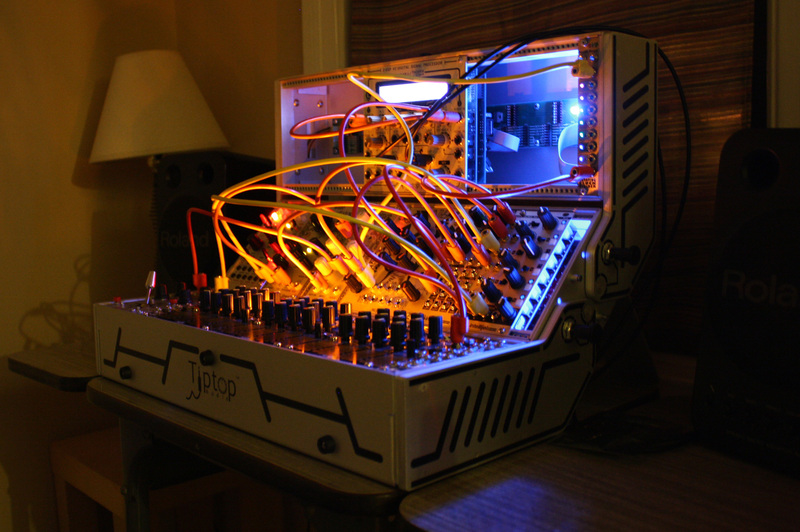 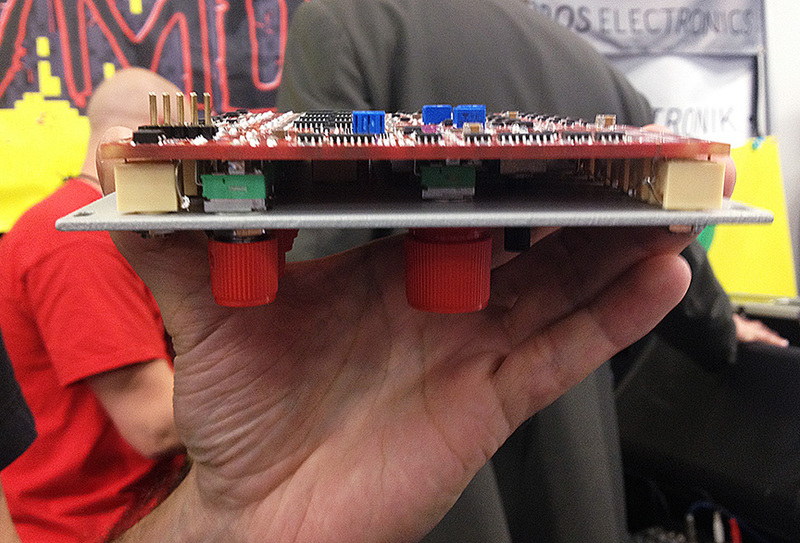 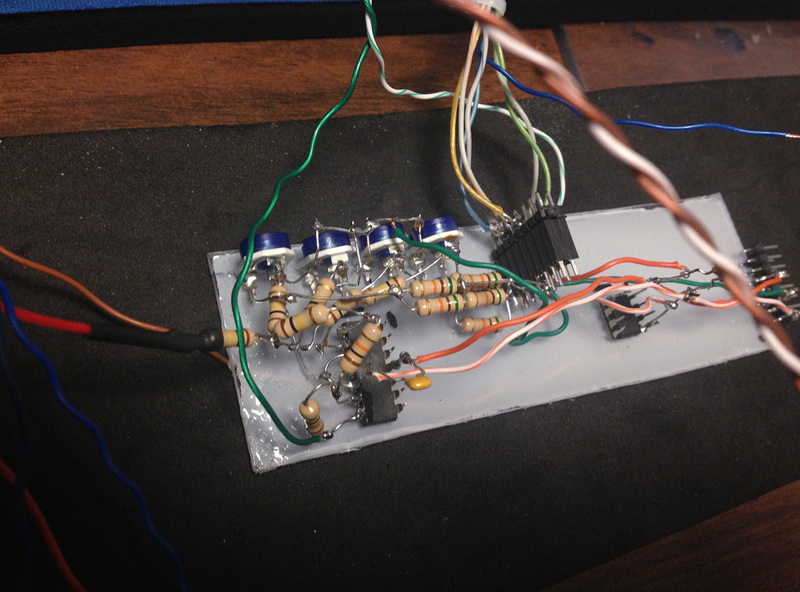 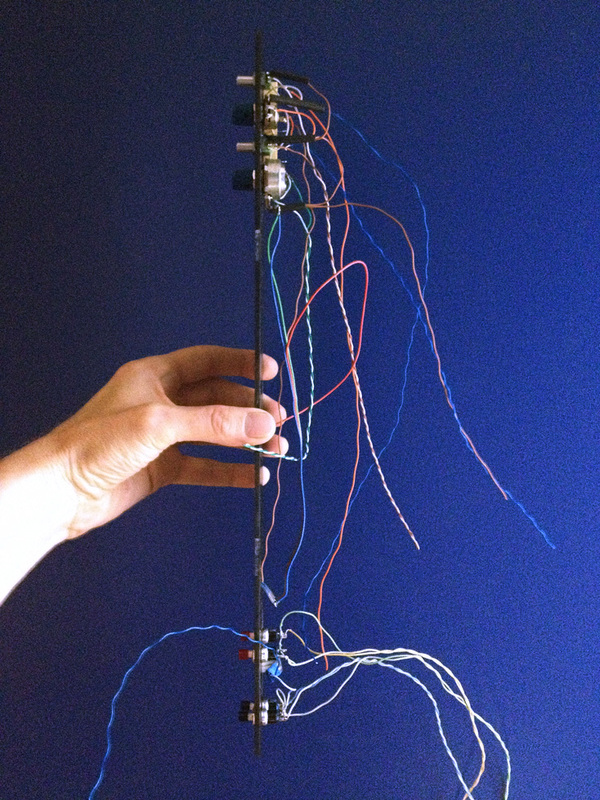 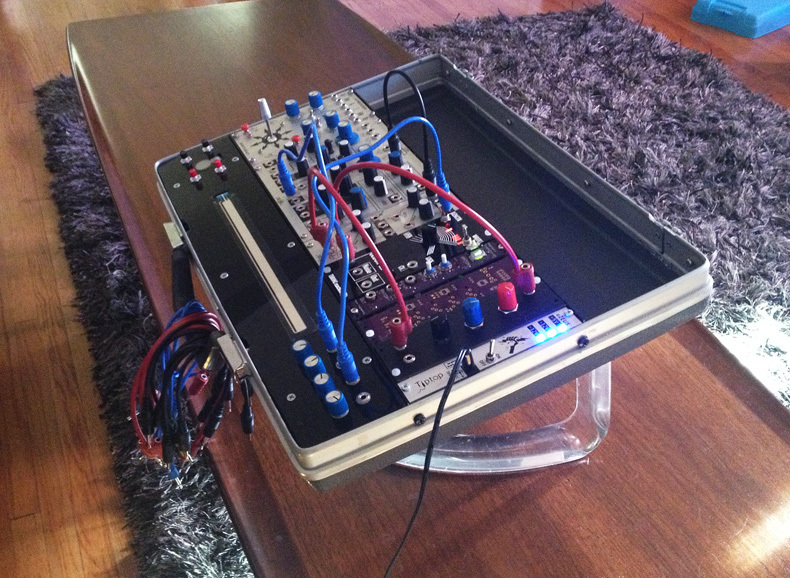 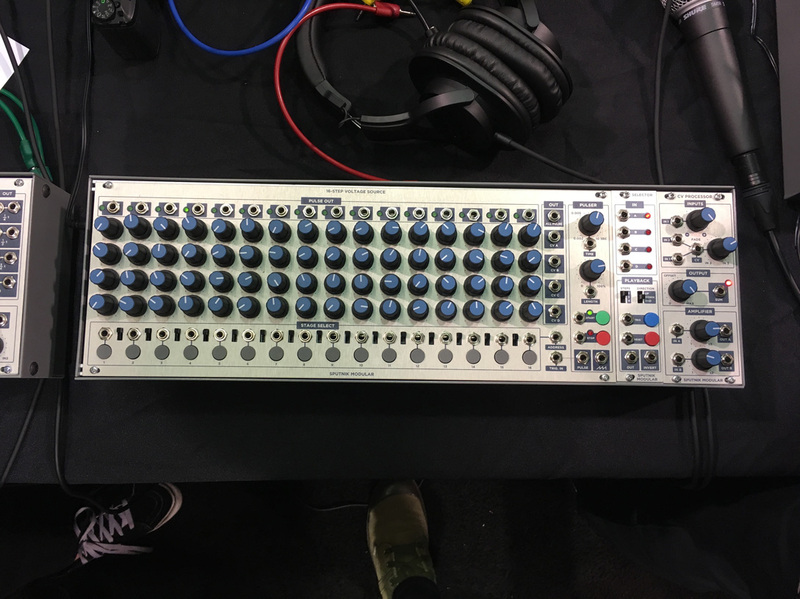 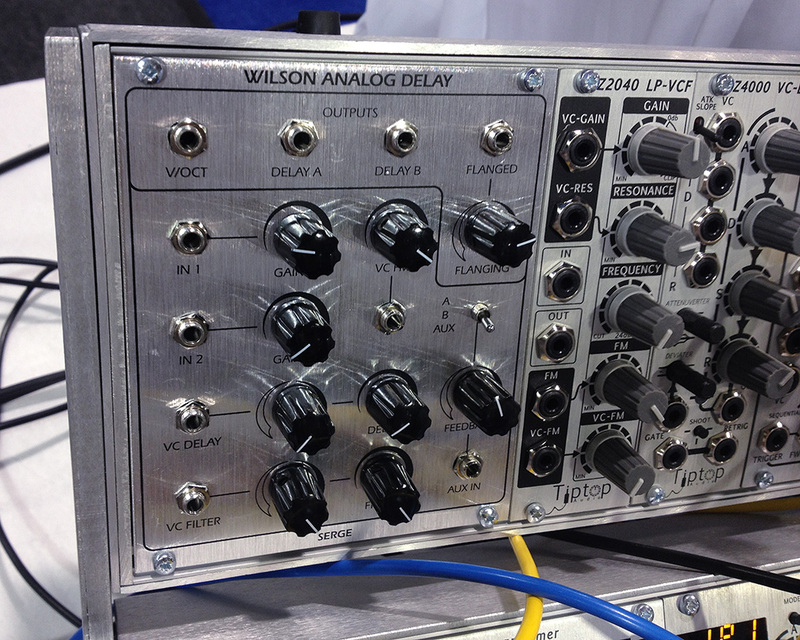 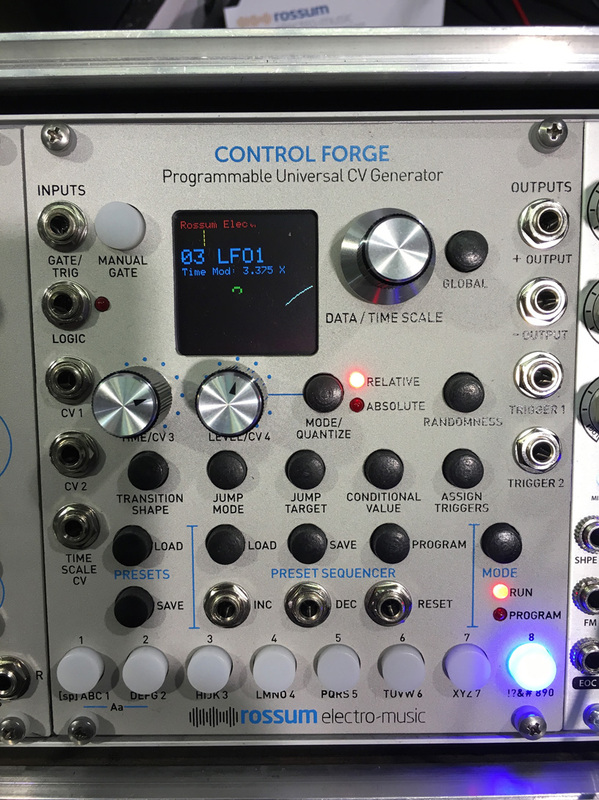 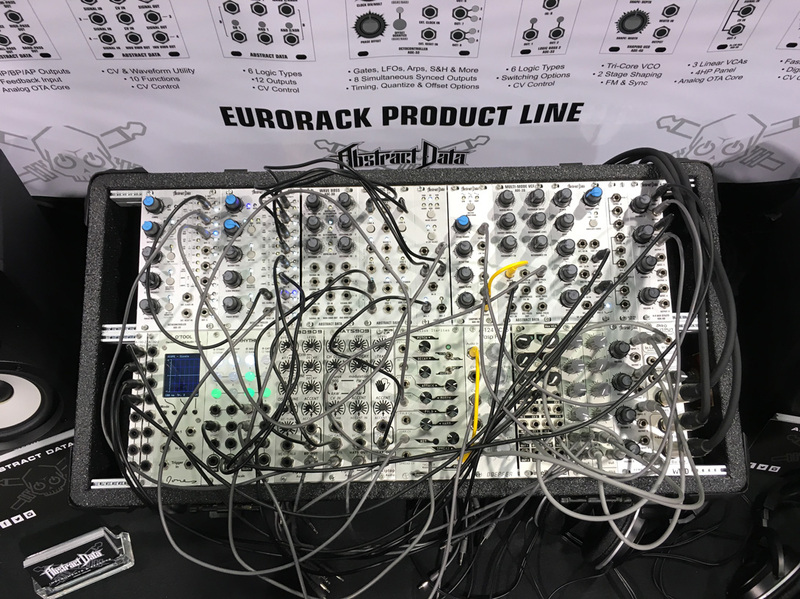 It’s called the P3000 and this will be part of a sub-format of eurorack using 8-pin jacks and cables. 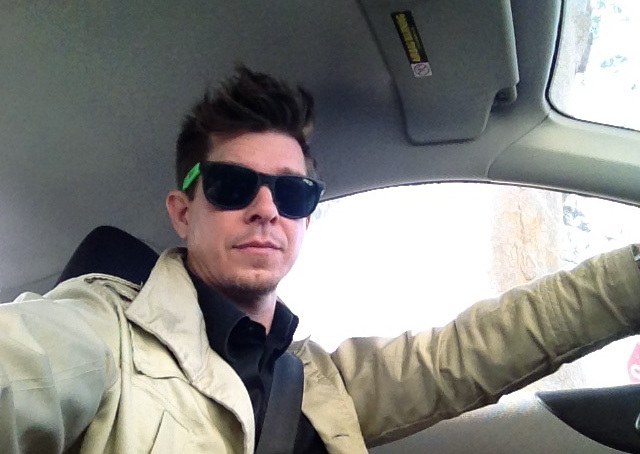 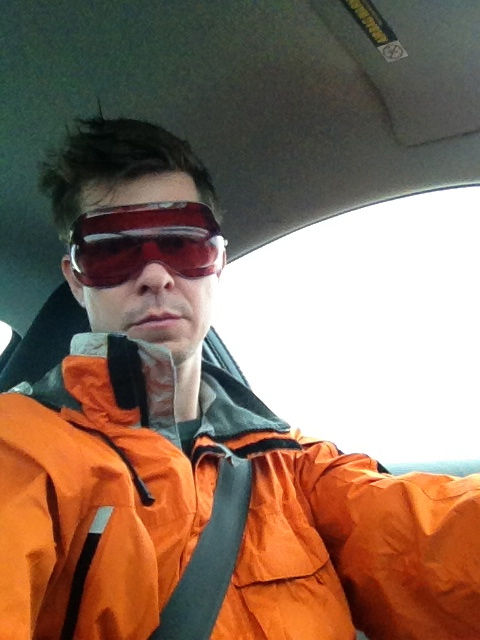 Madman, genius, or both? 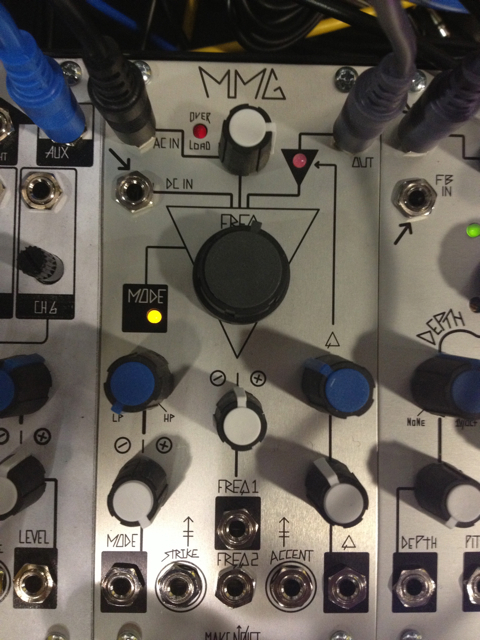 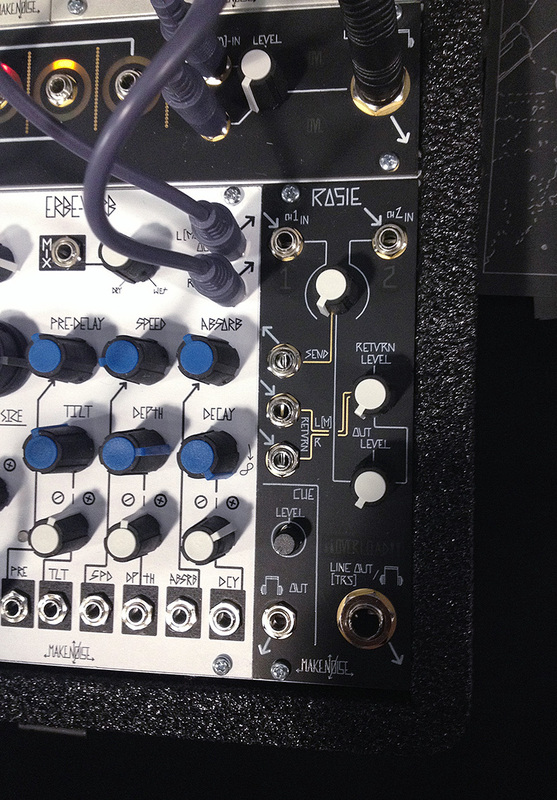 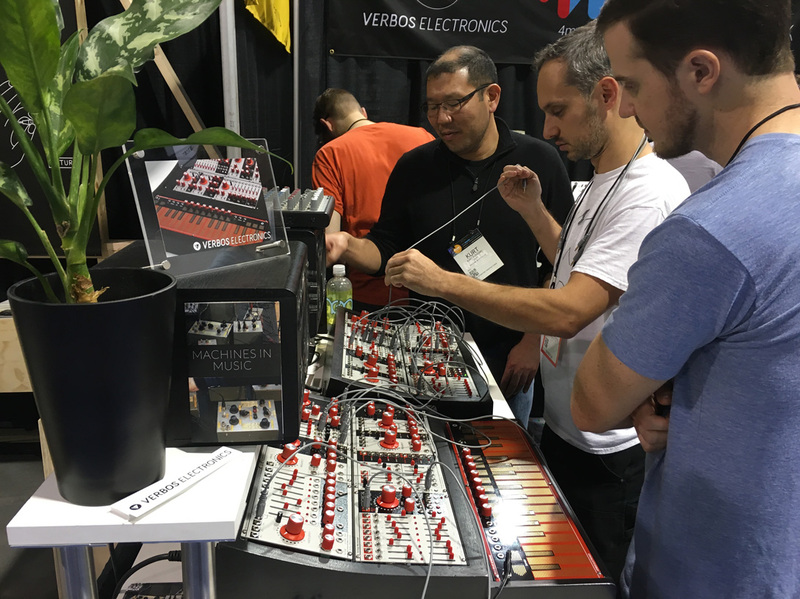 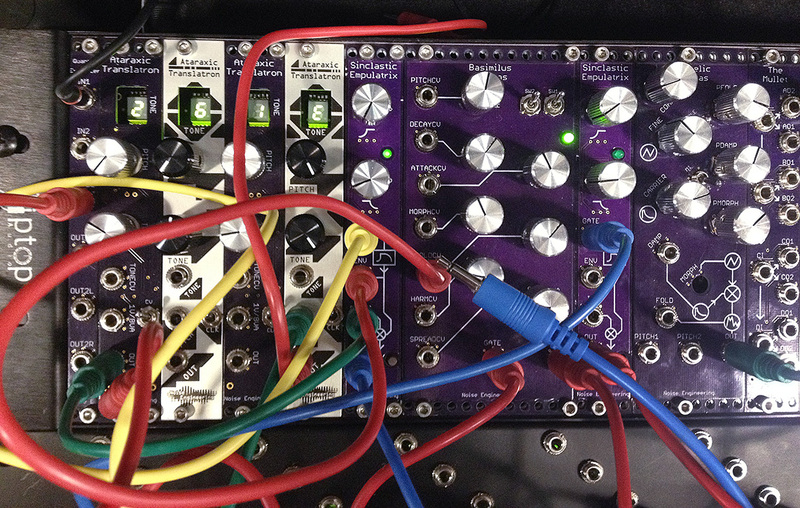 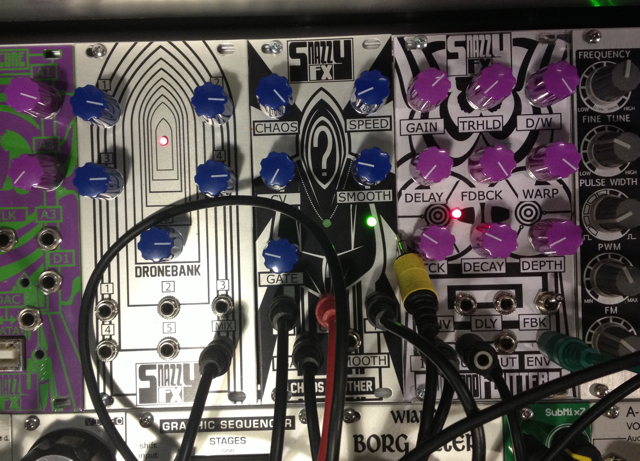 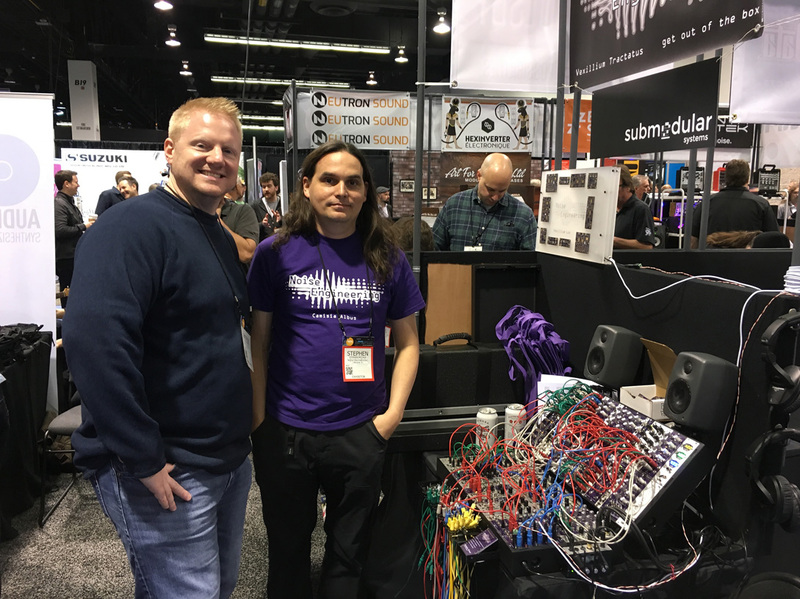 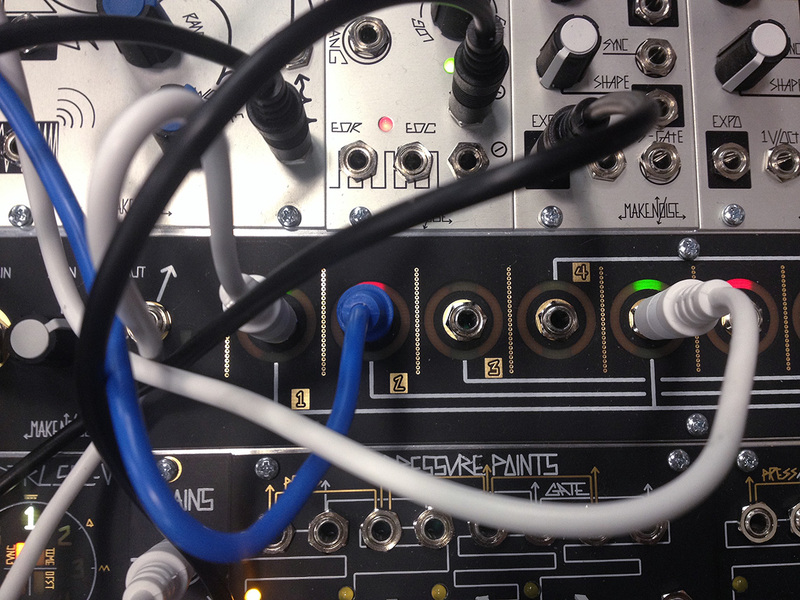 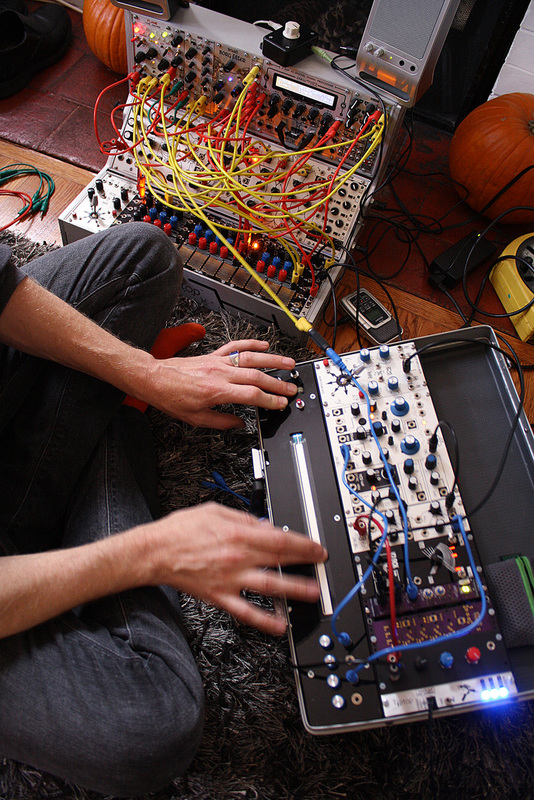 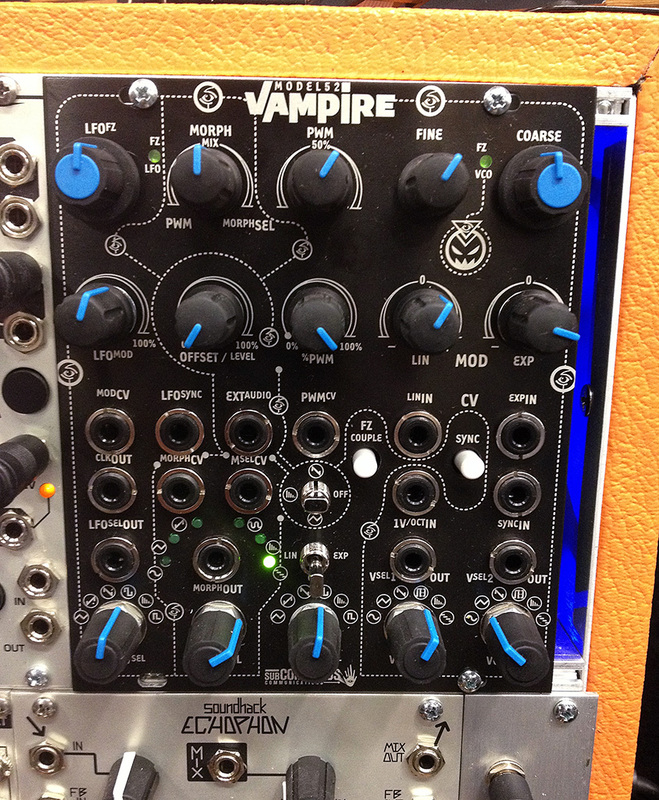 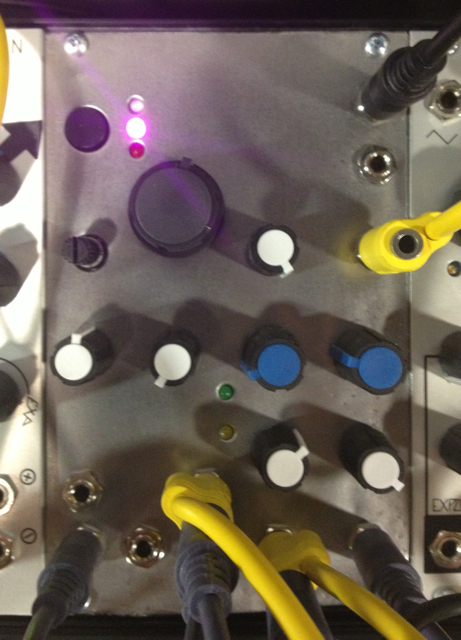 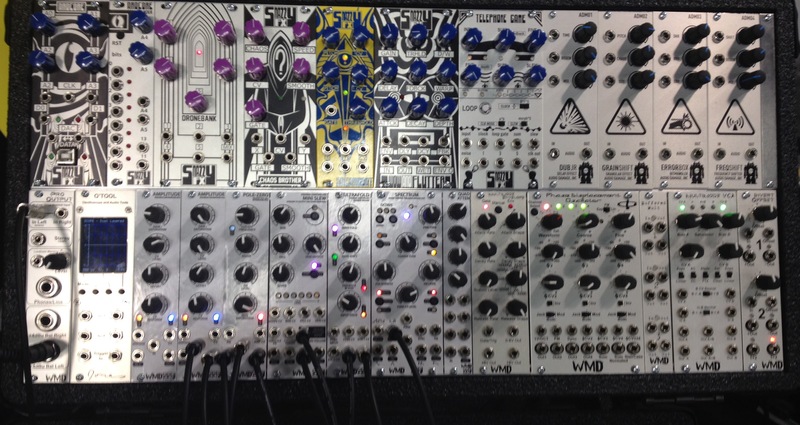 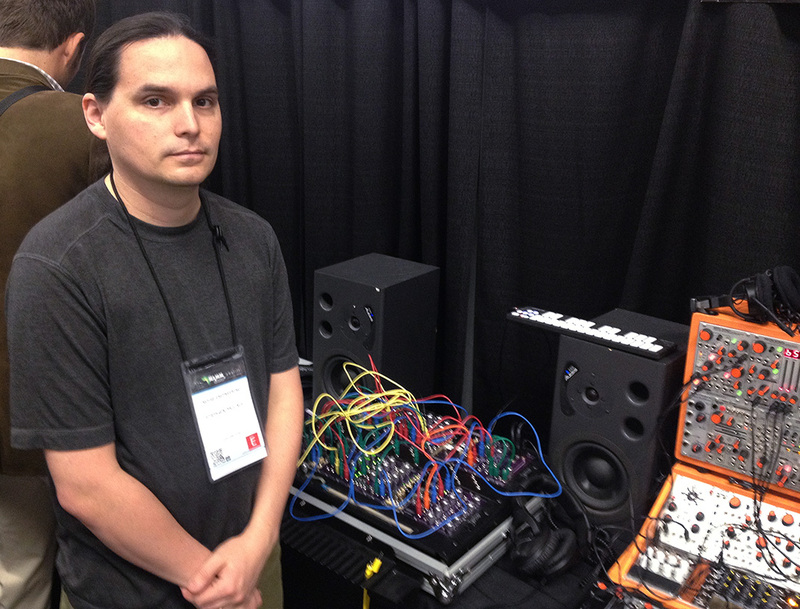 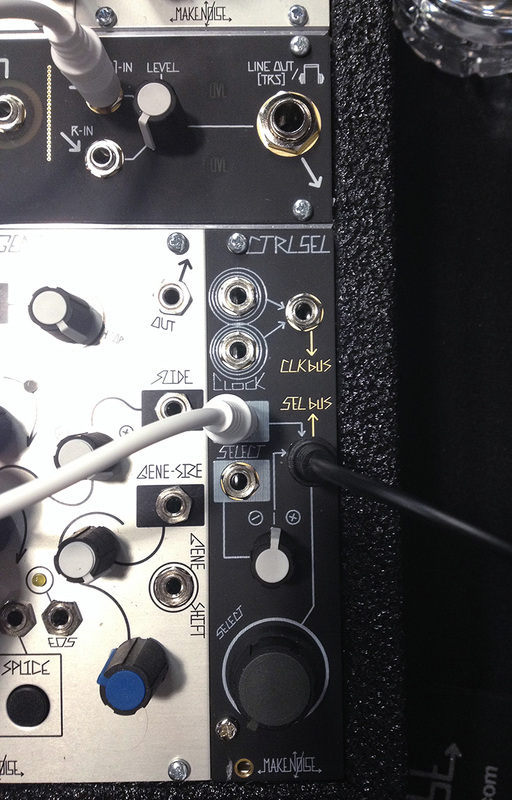 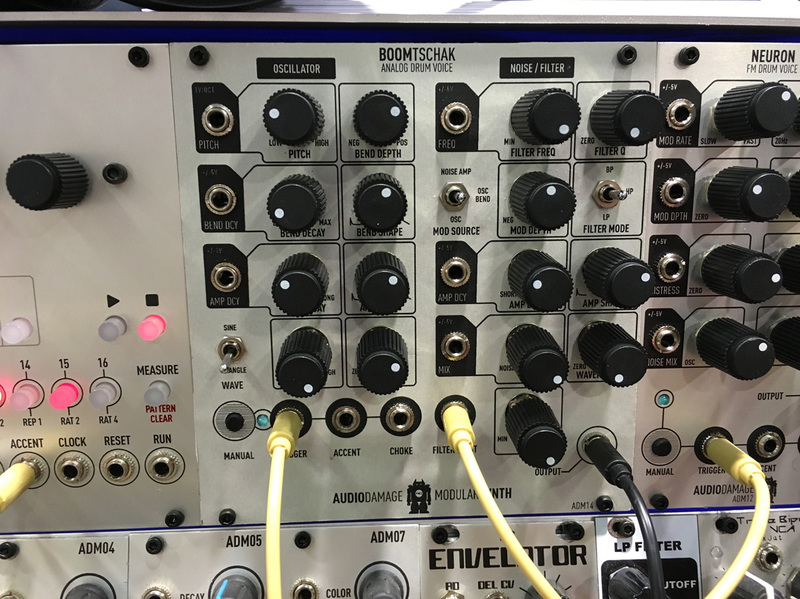 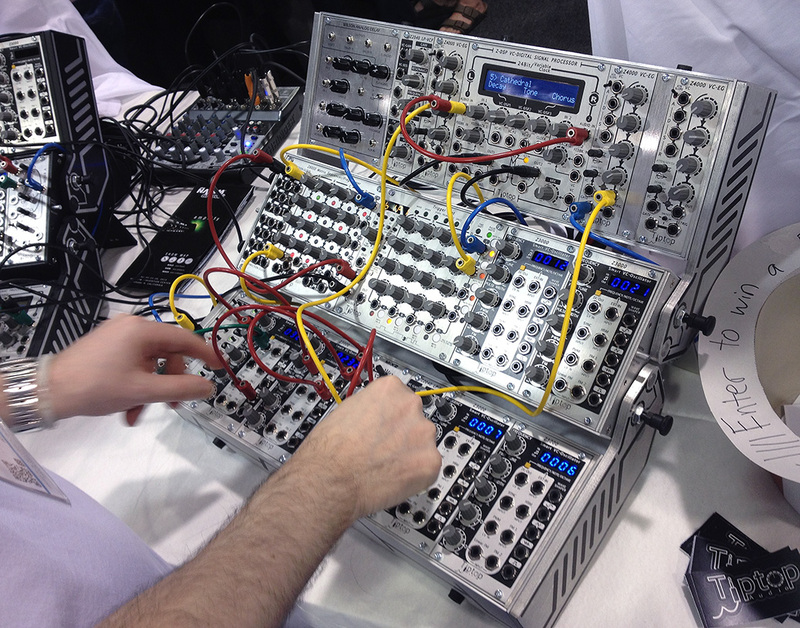 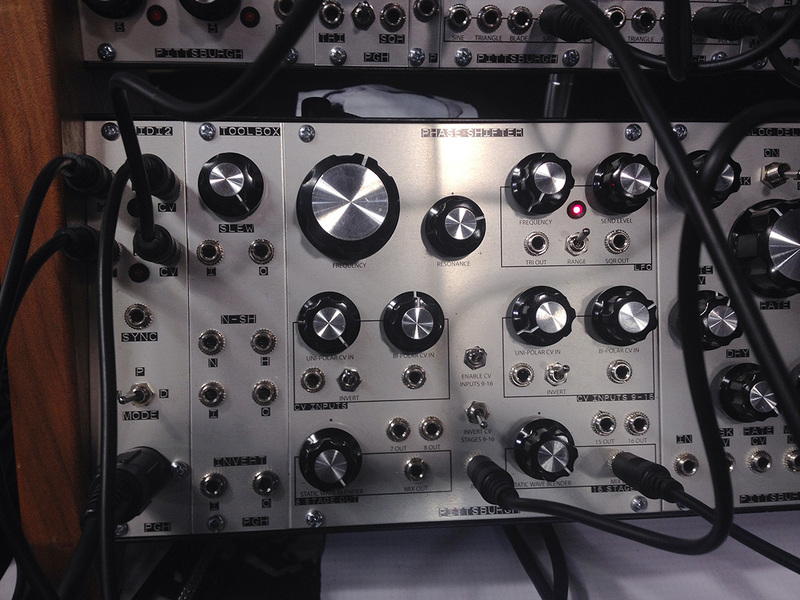 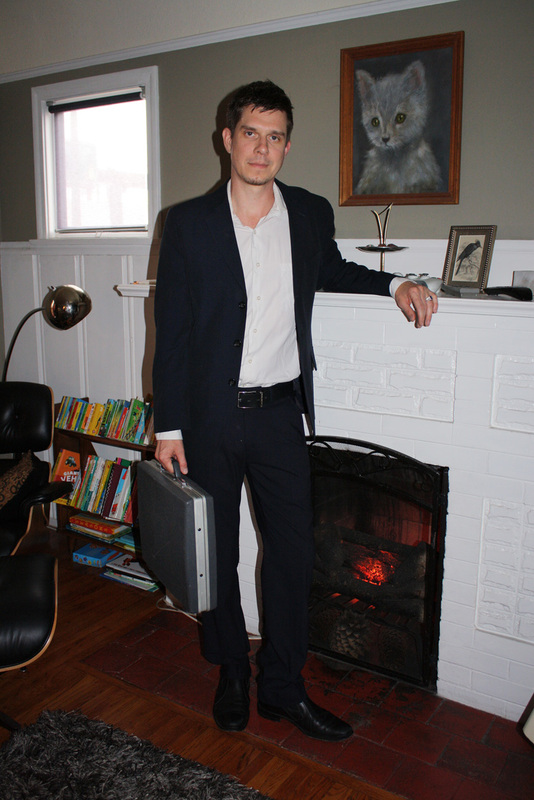 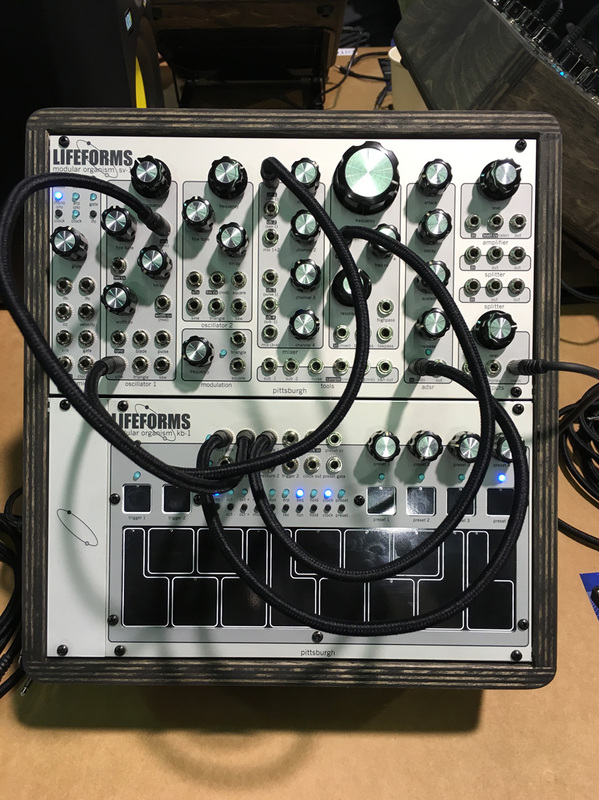 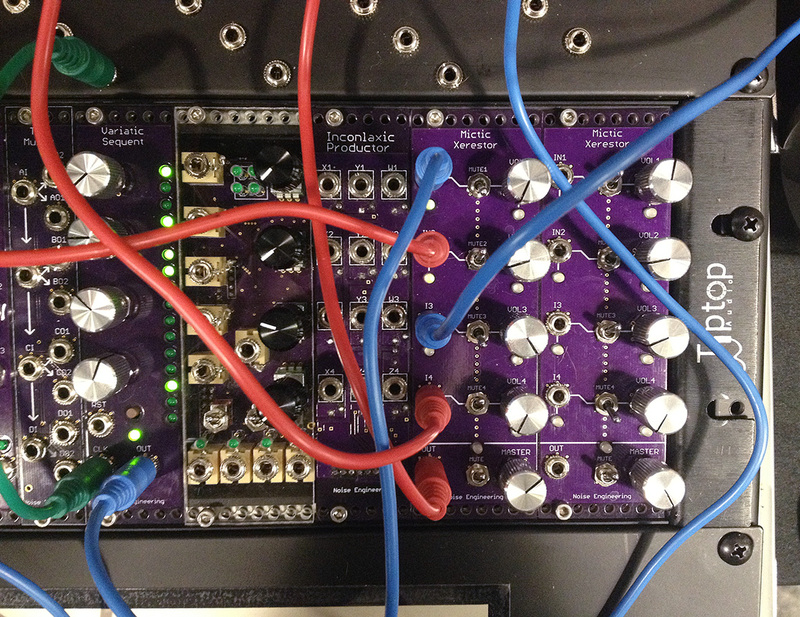 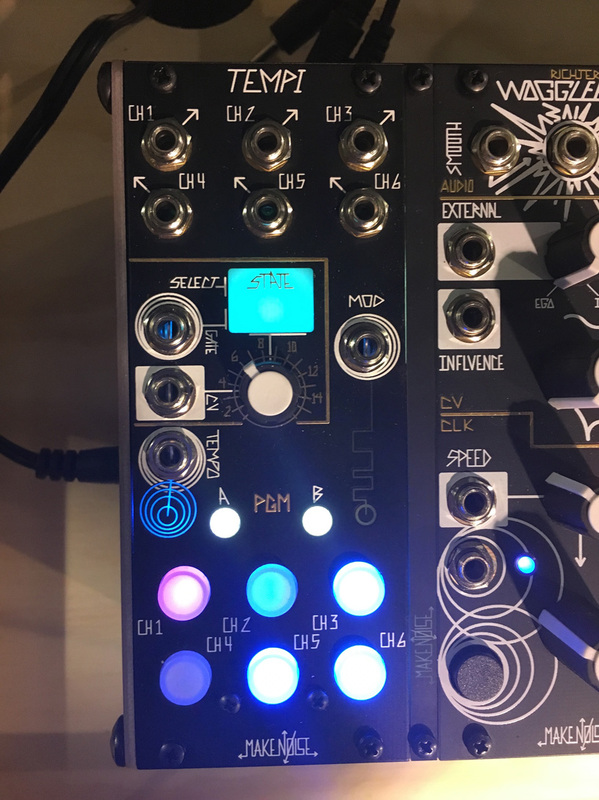 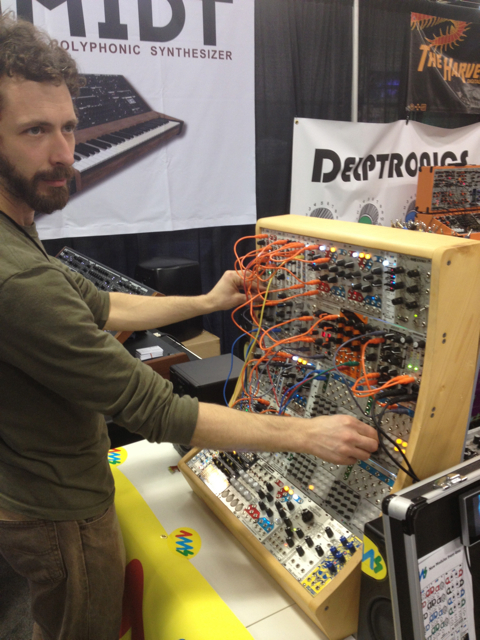 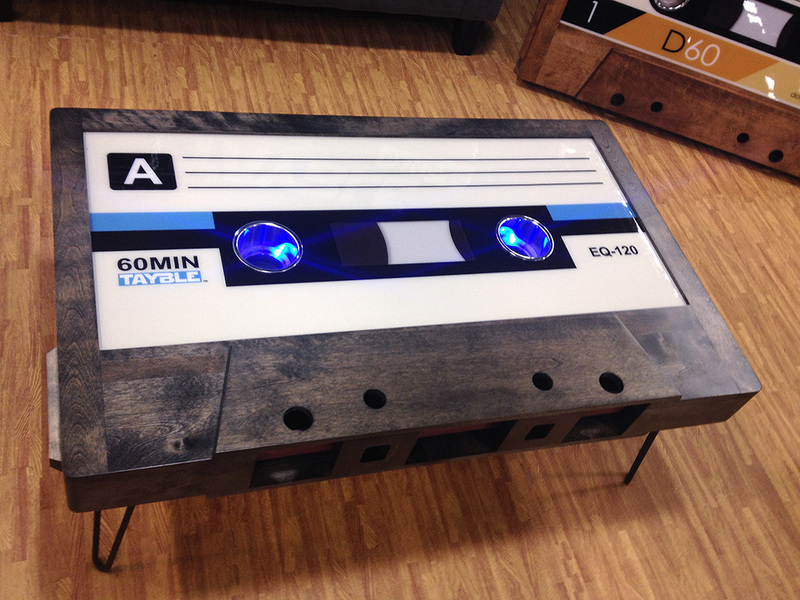 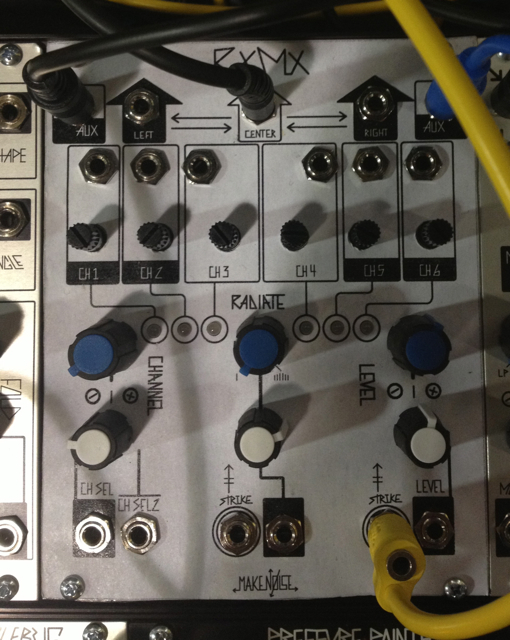 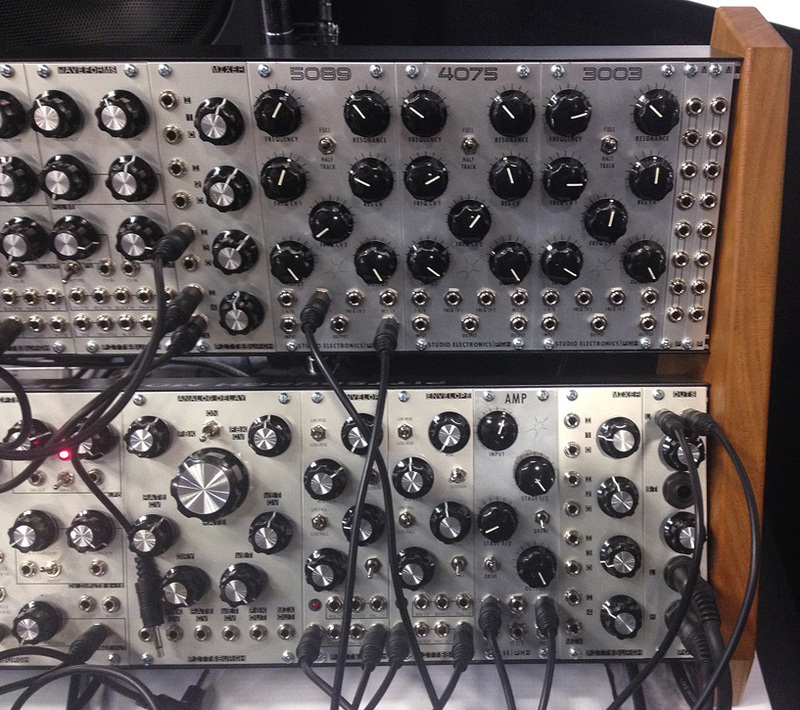 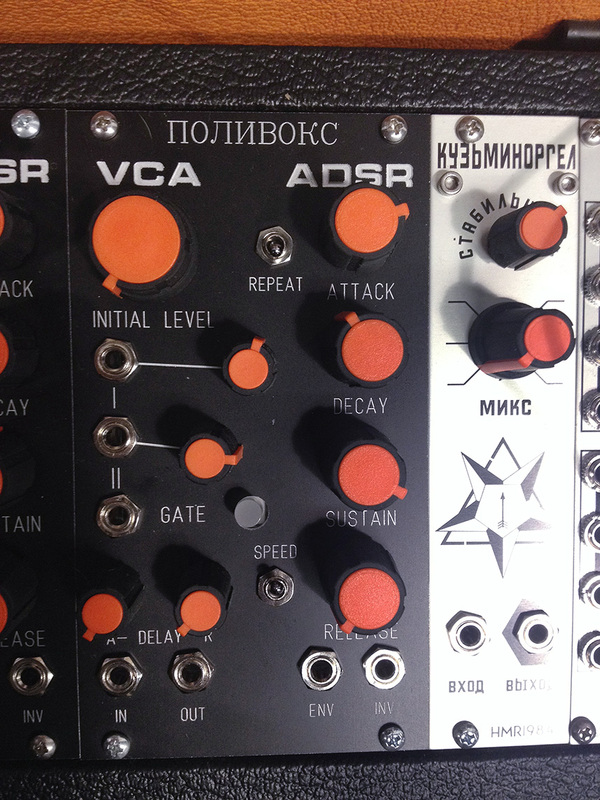 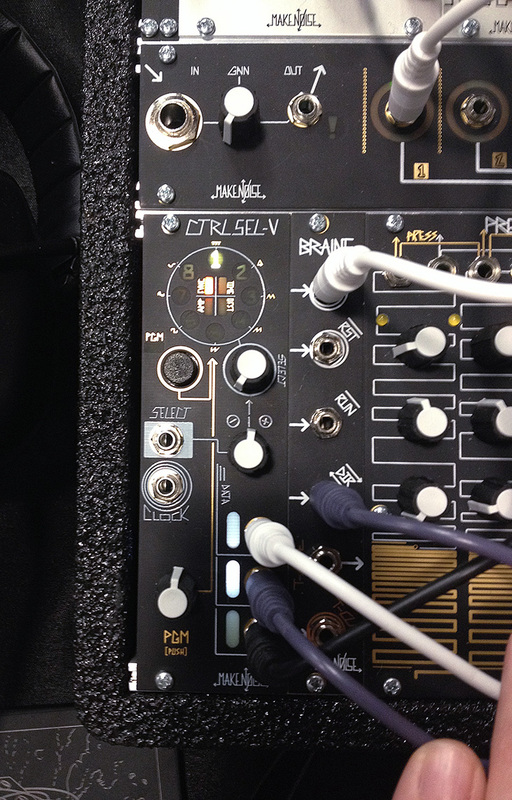 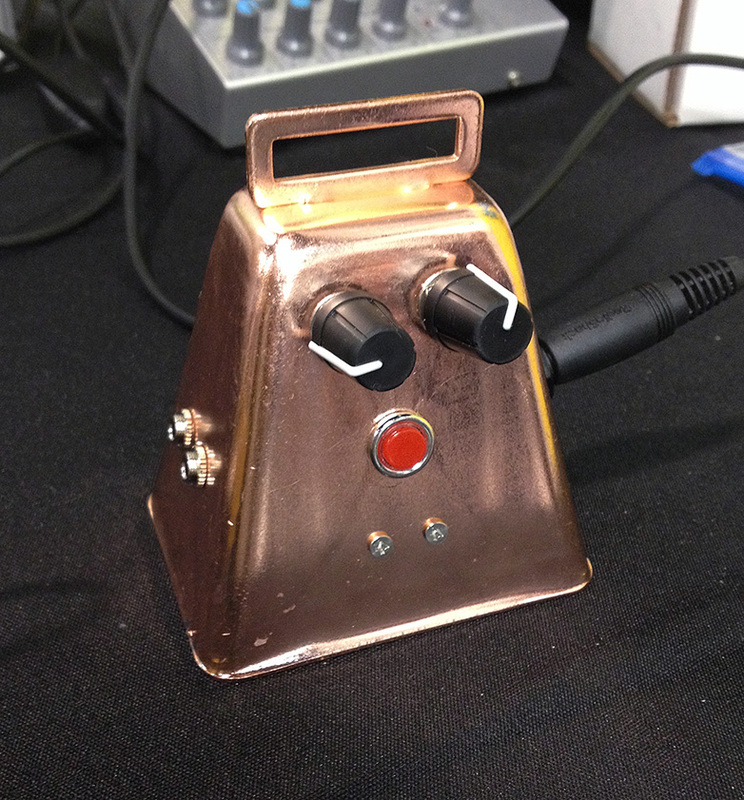 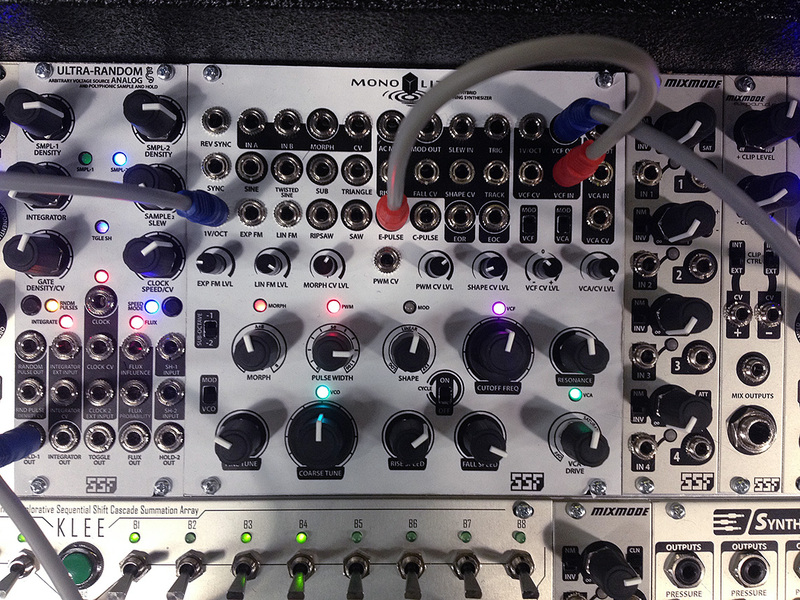 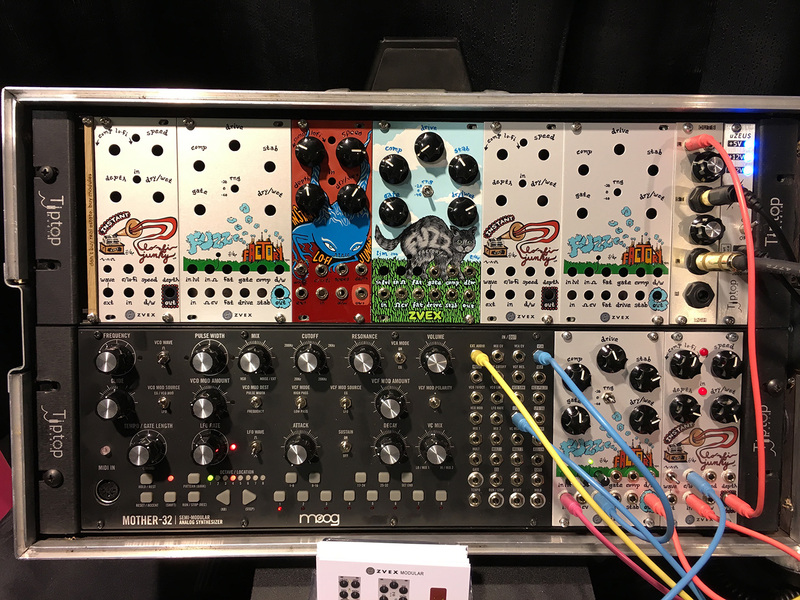 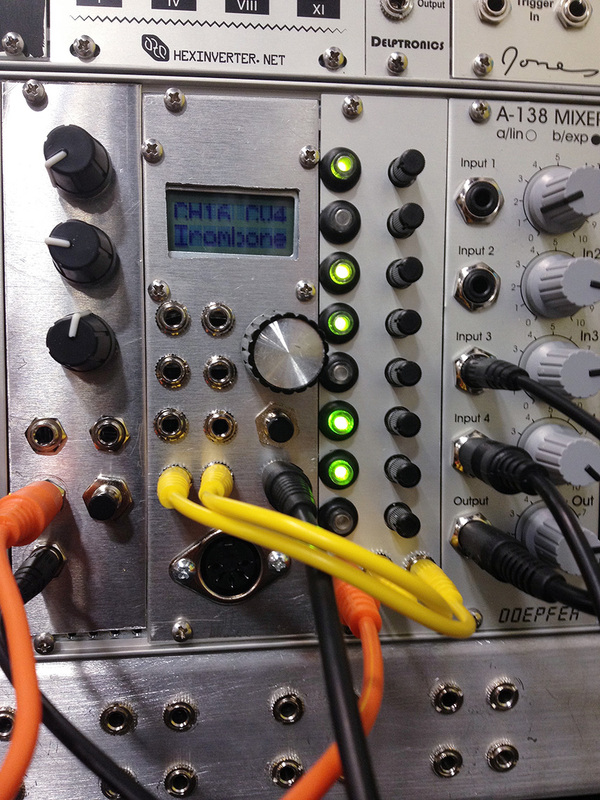 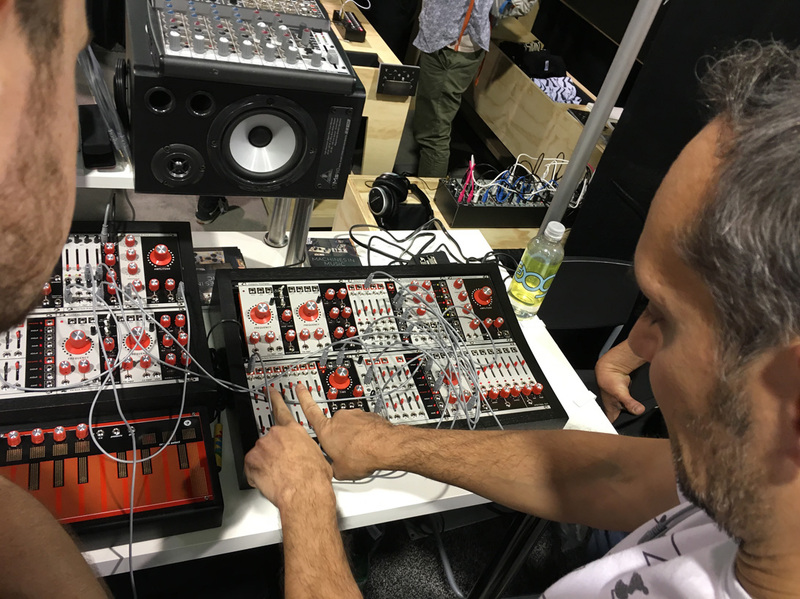 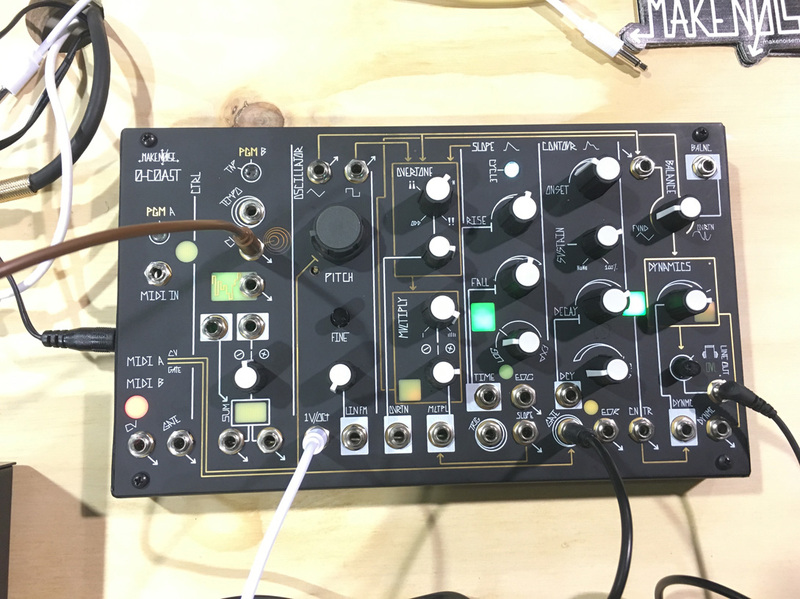 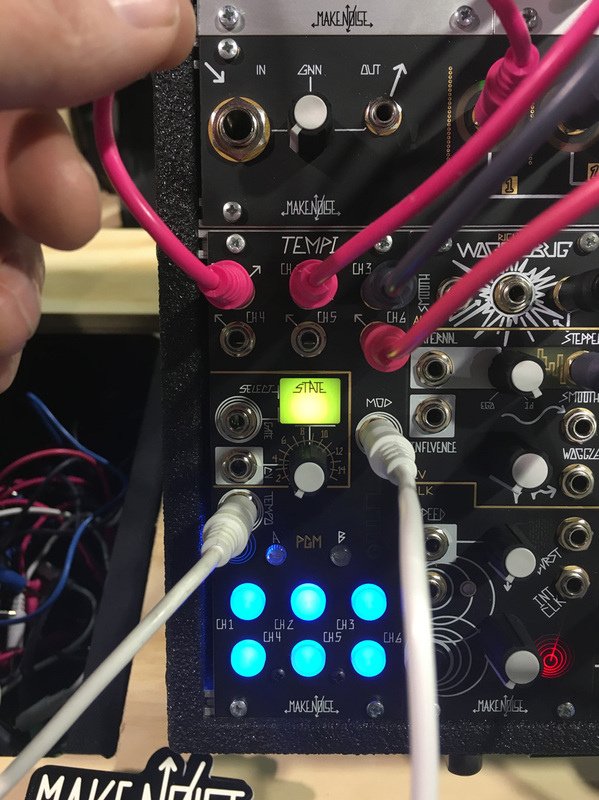 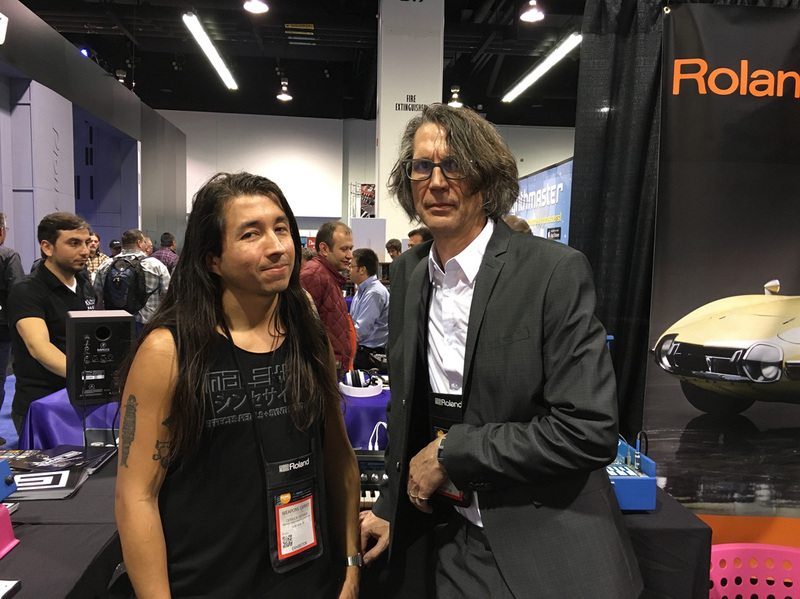 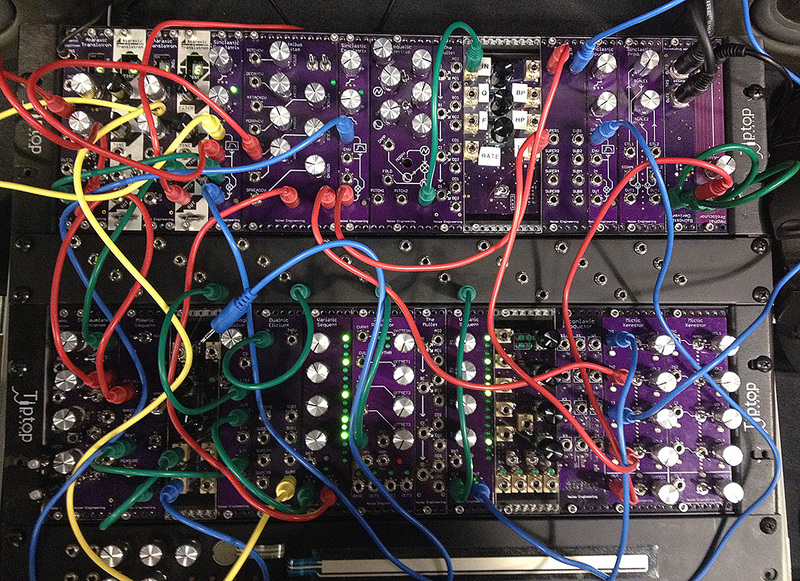 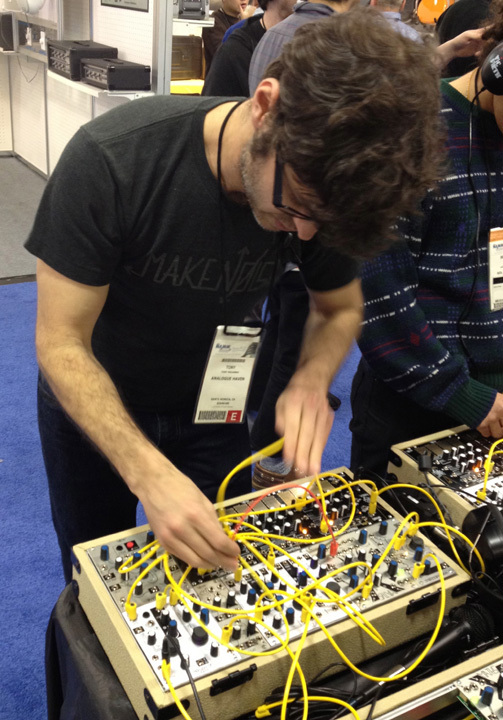 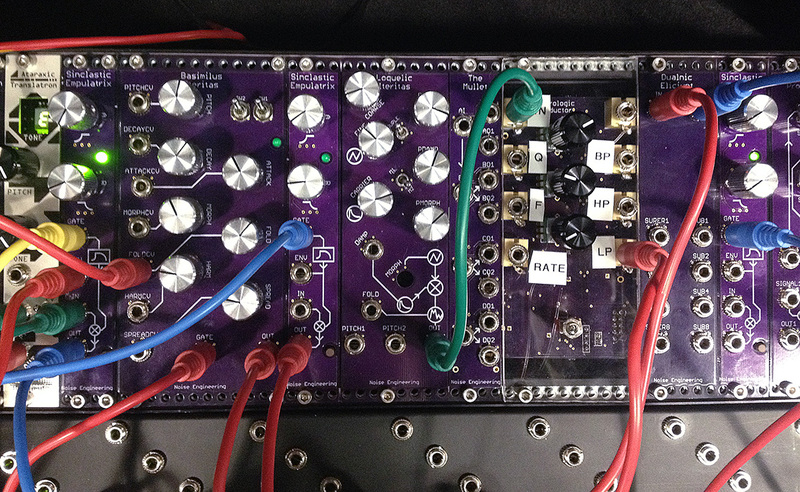 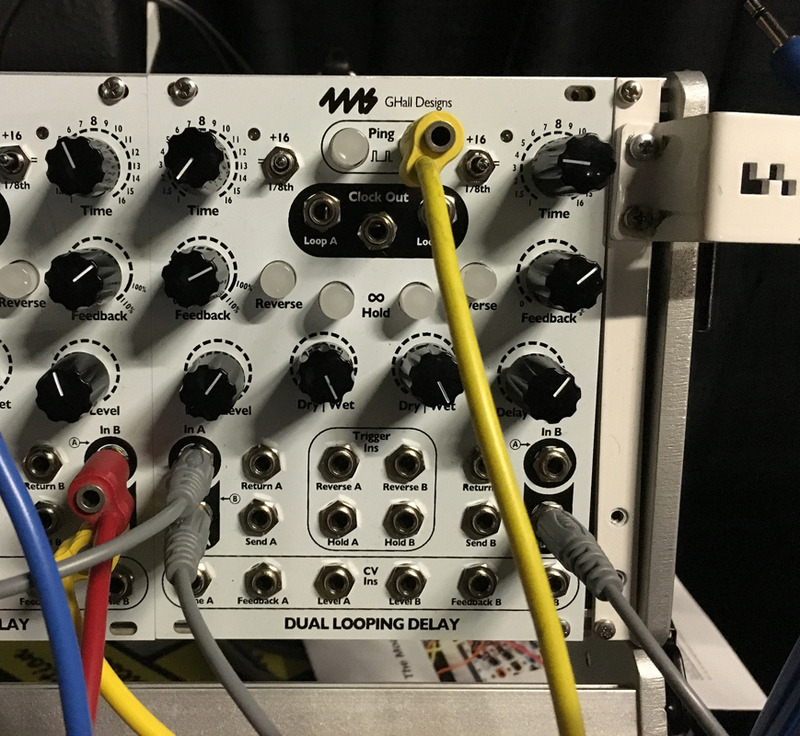 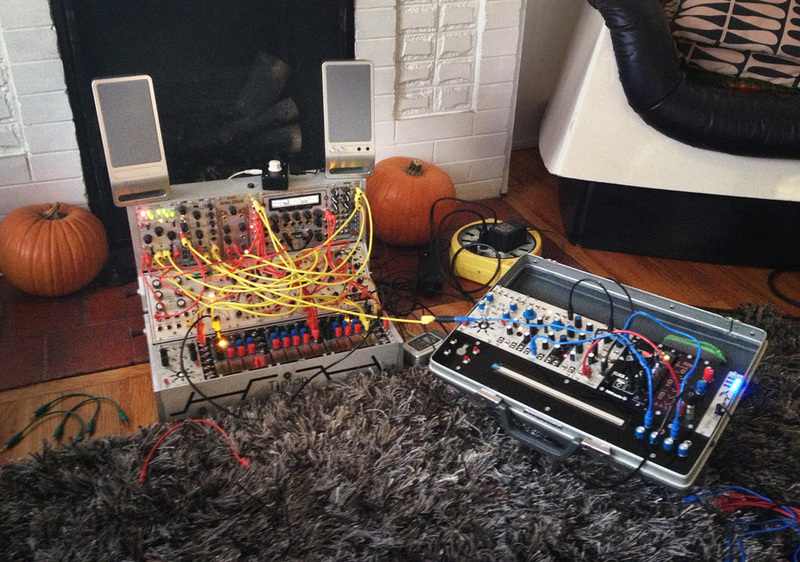 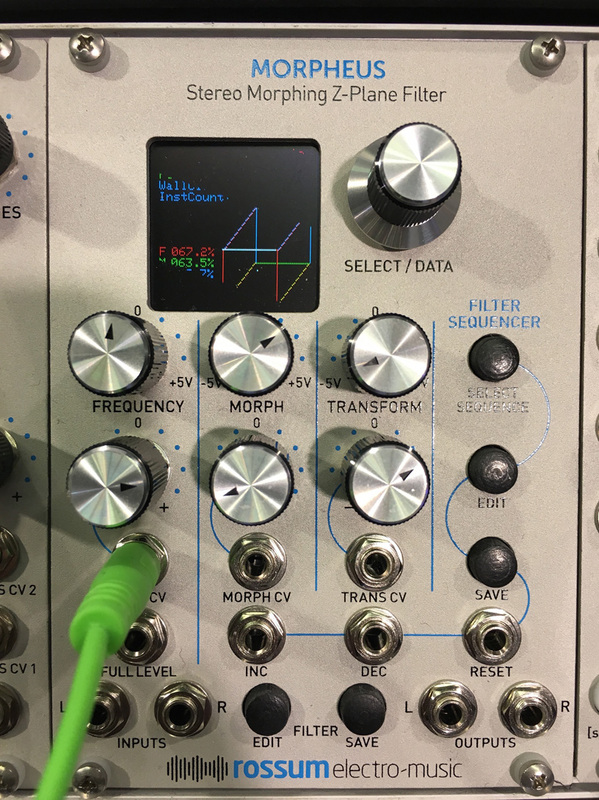 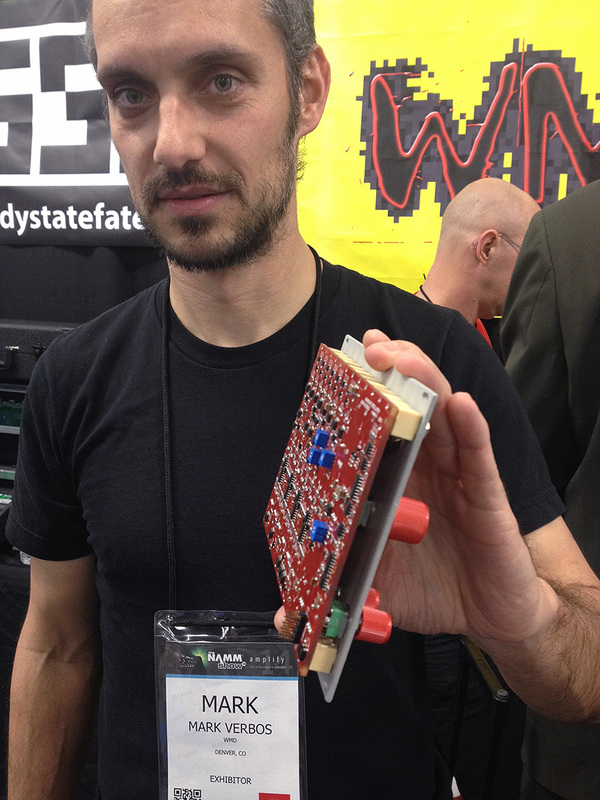 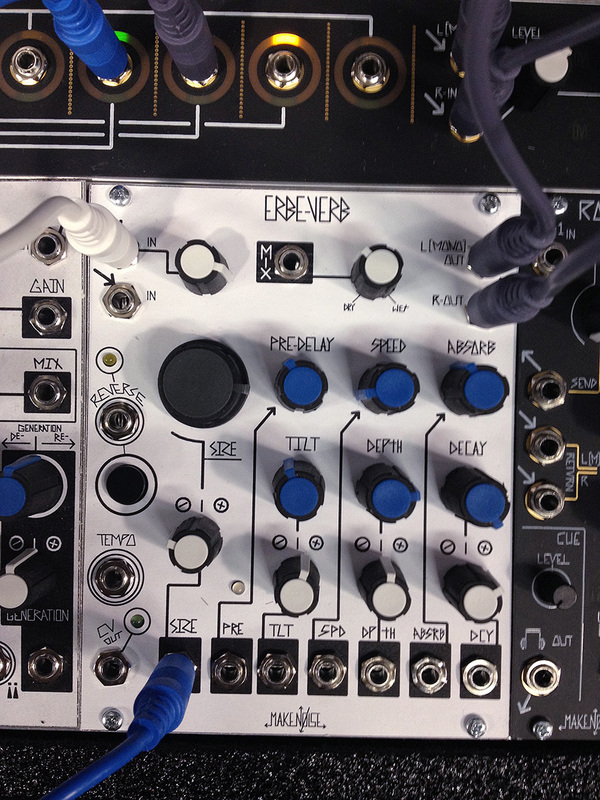 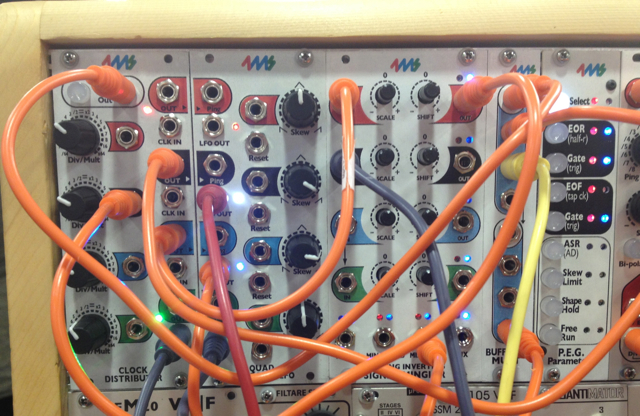 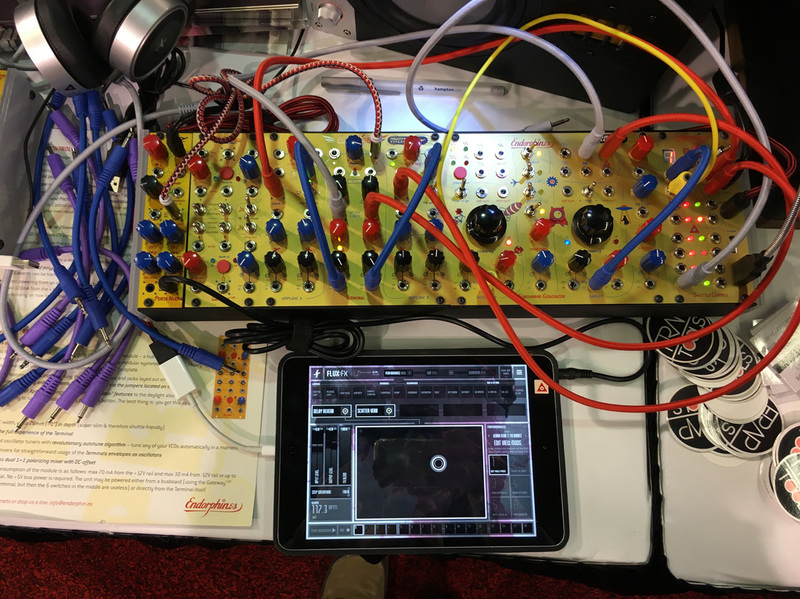 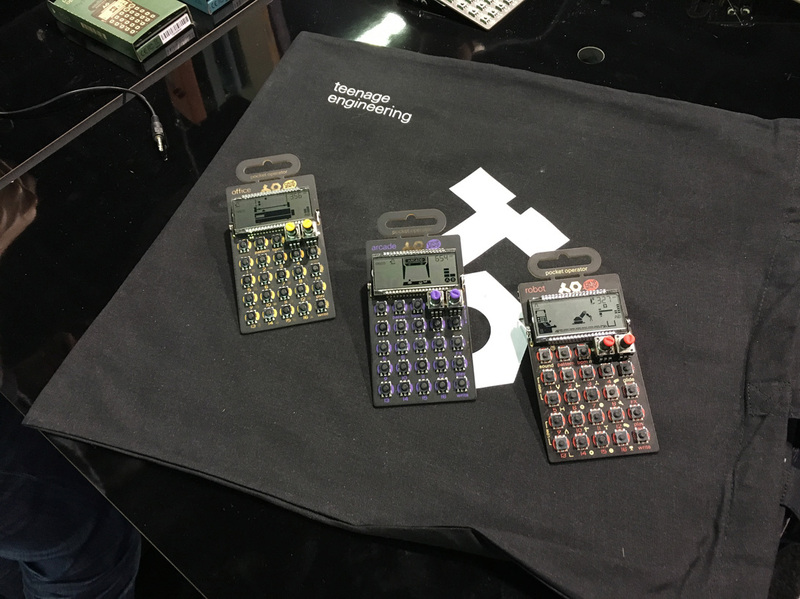 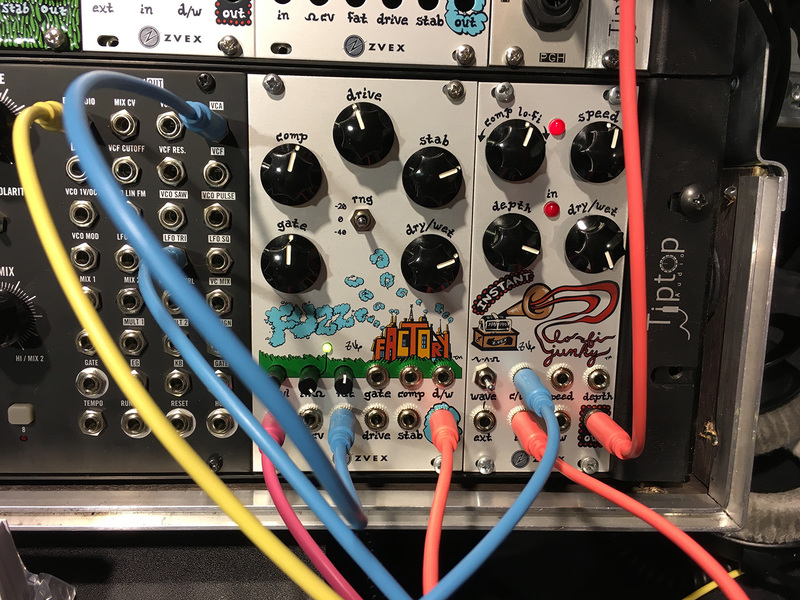 Below is Tony from Make Noise who also unveiled some interesting new modules. 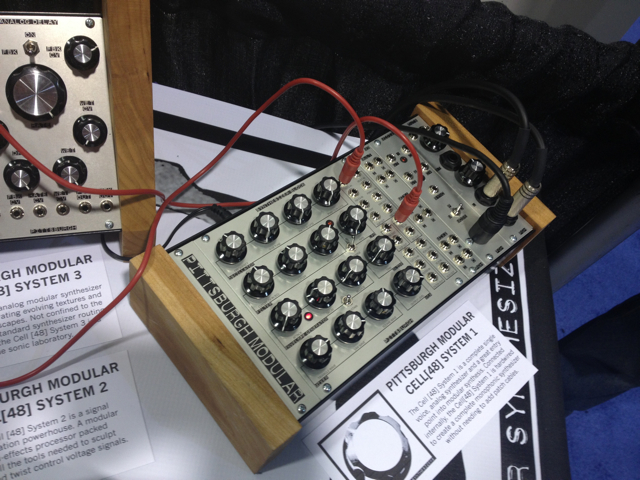 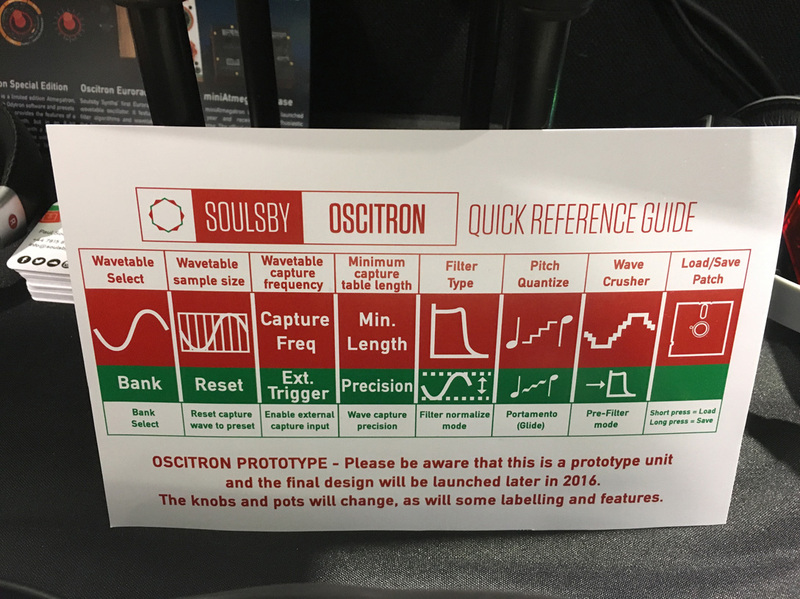 One is a new oscillator called the Dual Prismatic Oscillator capable of some really nice timbres. 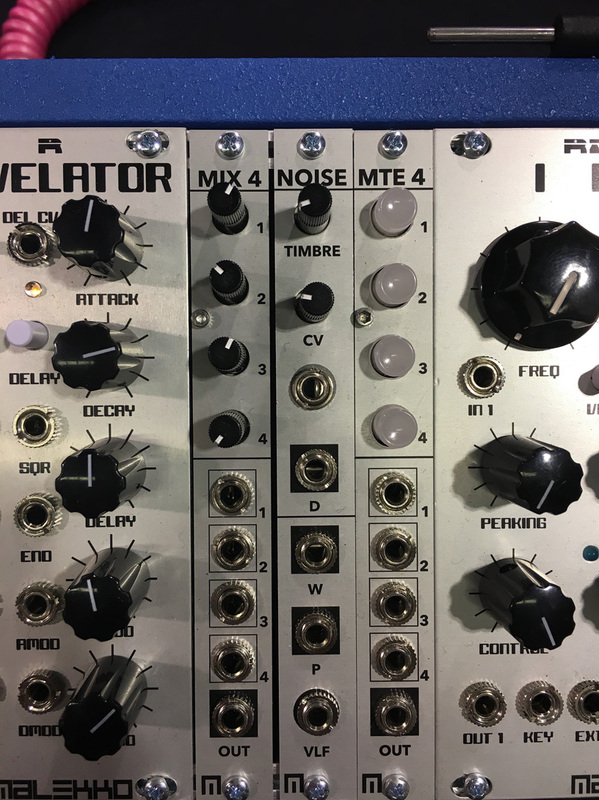 Another is a collaboration with Tom Erbe called the Echophon which is a pitch shifting delay and you can hear Richard Devine running his 606 through it here. 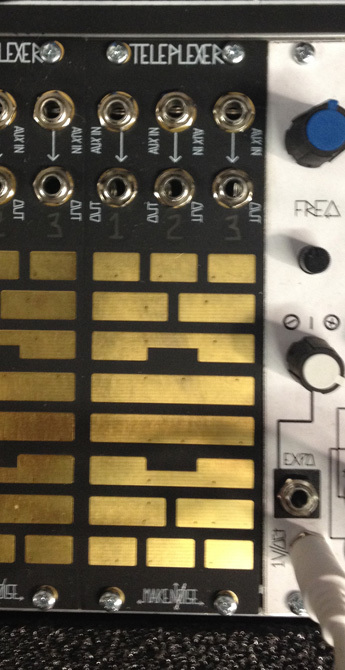 The third is a mystery module that I believe is some type of oscillator. 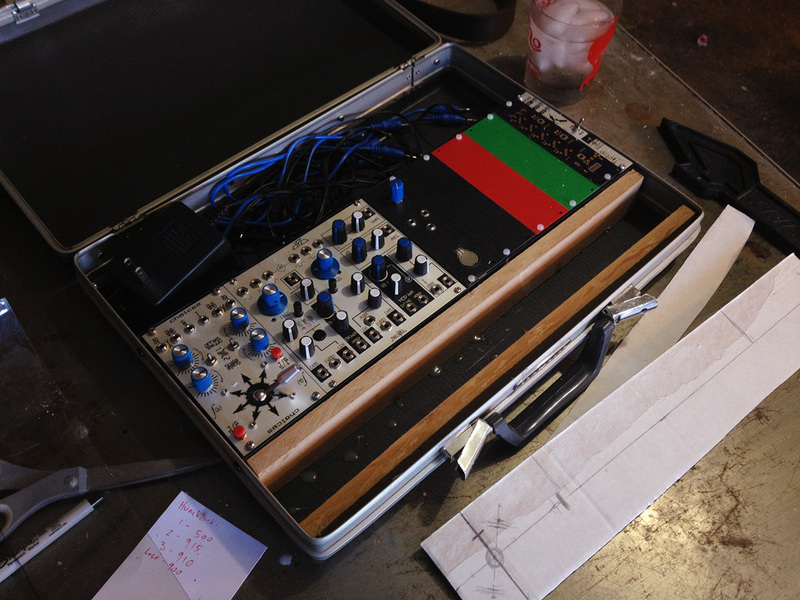 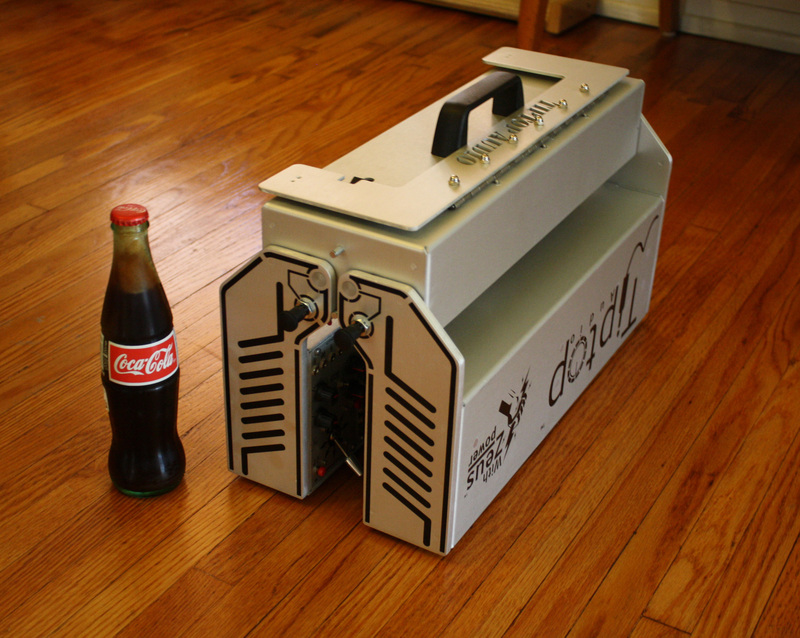 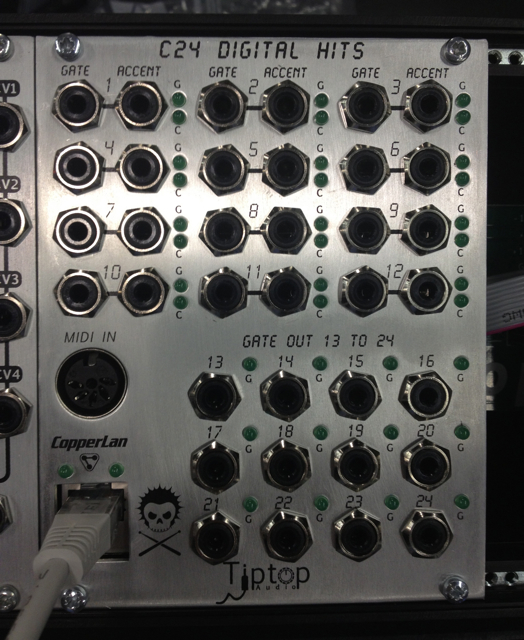 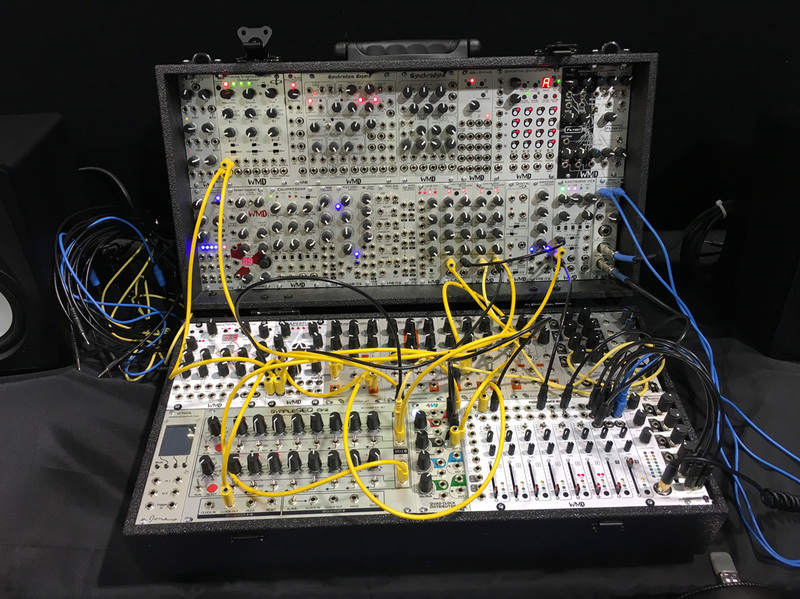 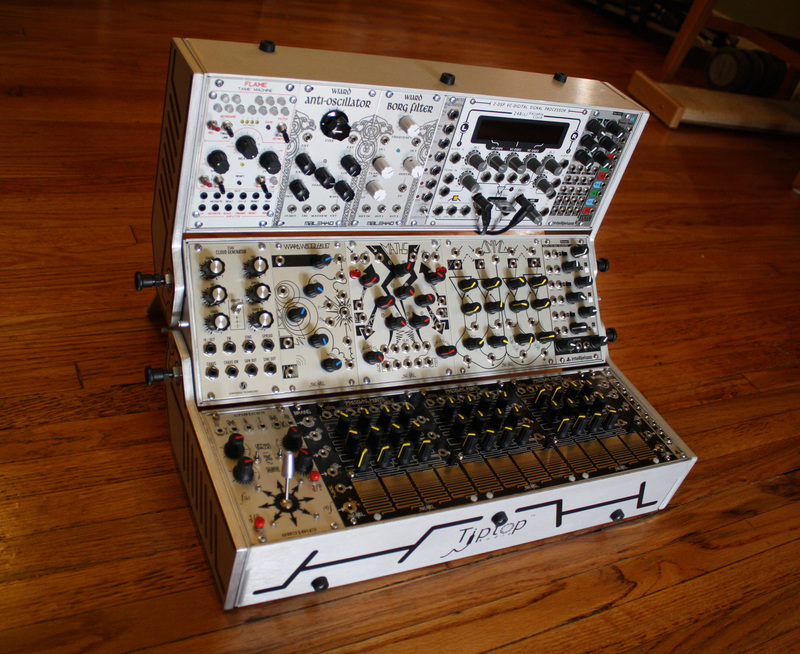 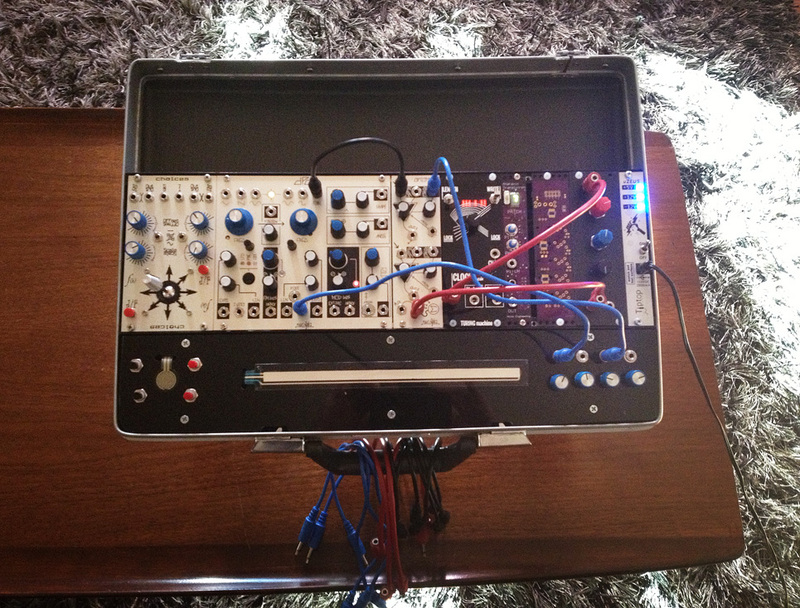 All this incredible new stuff coming out for eurorack and my case is full. 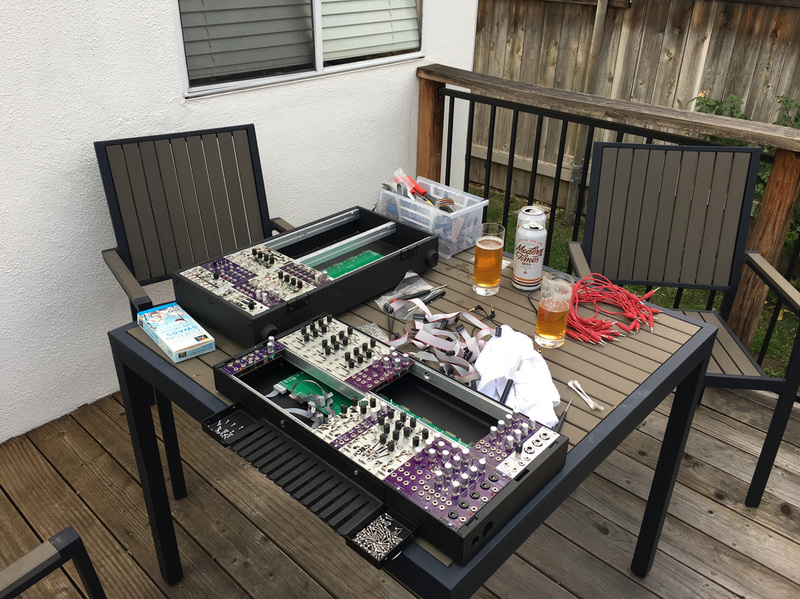 I’m gonna need a bigger boat. 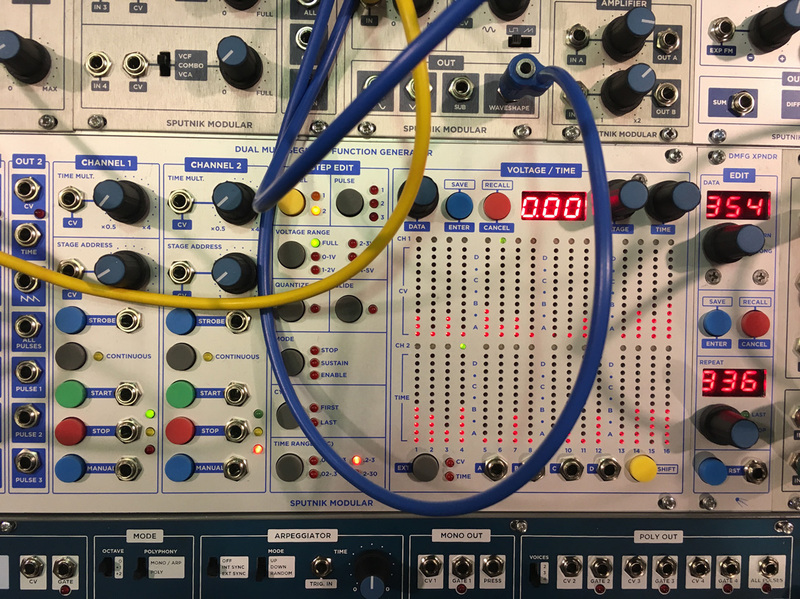 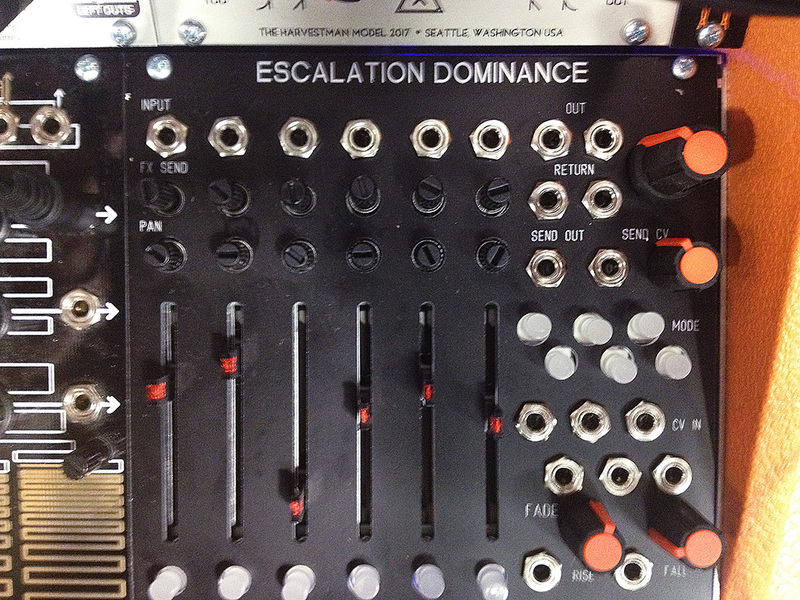 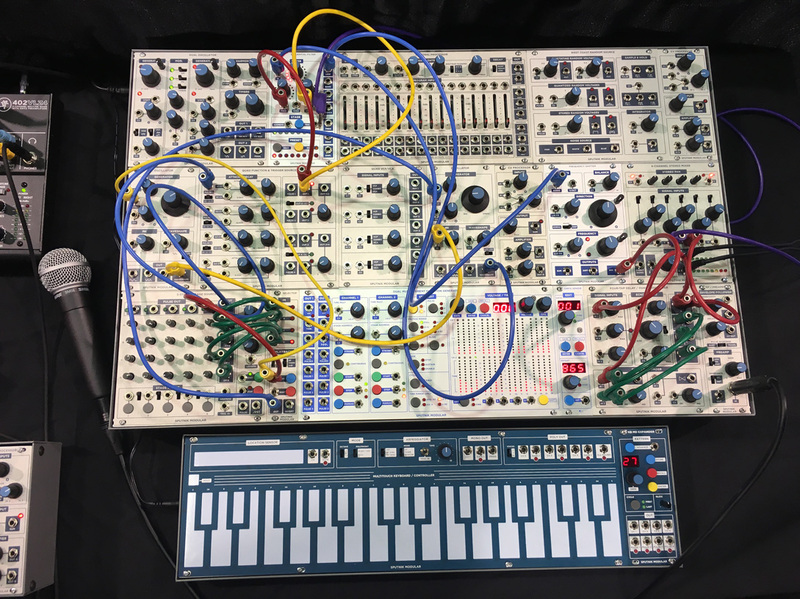 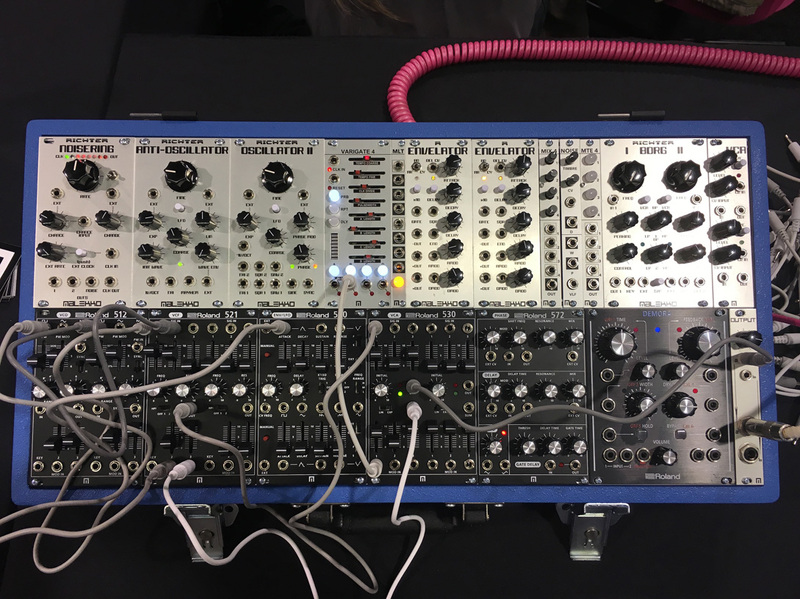 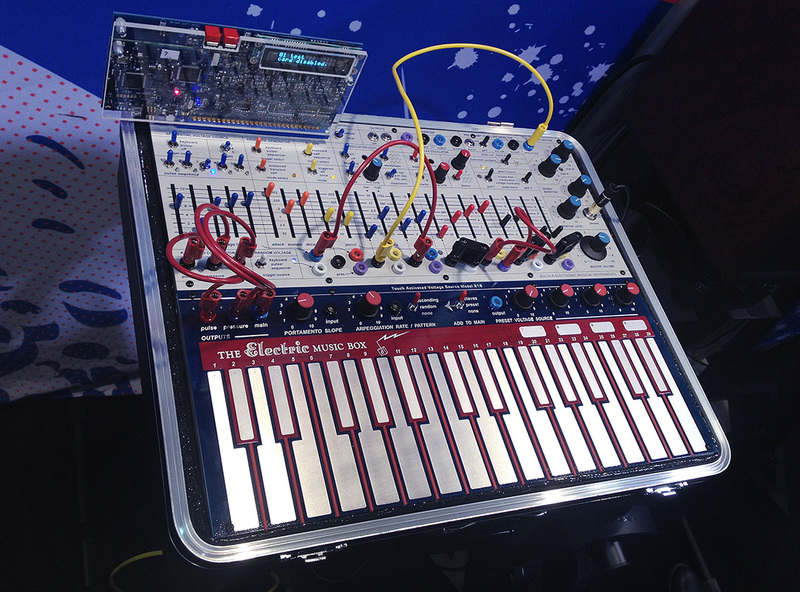 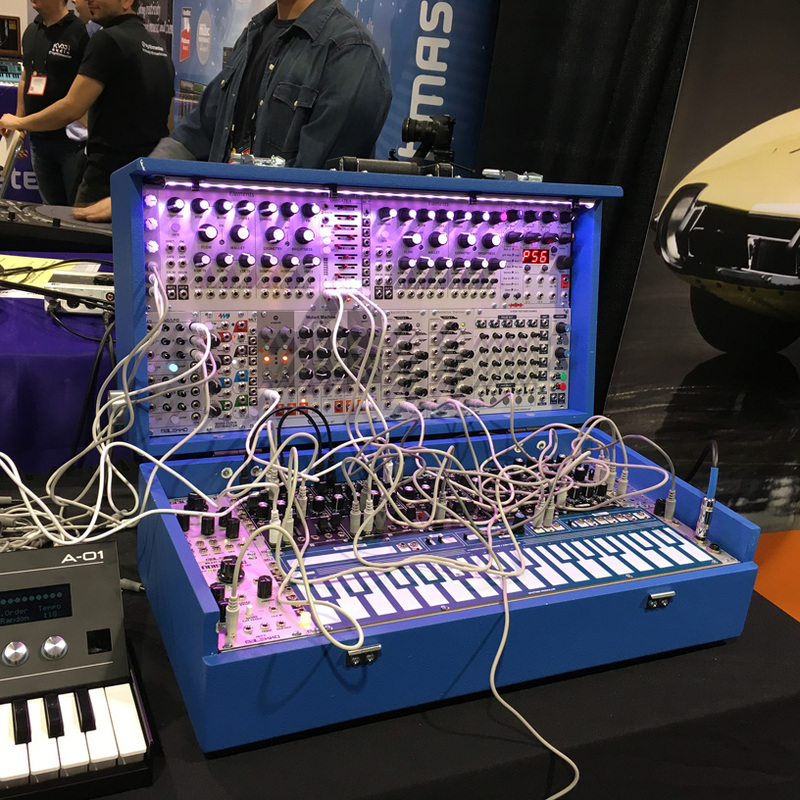 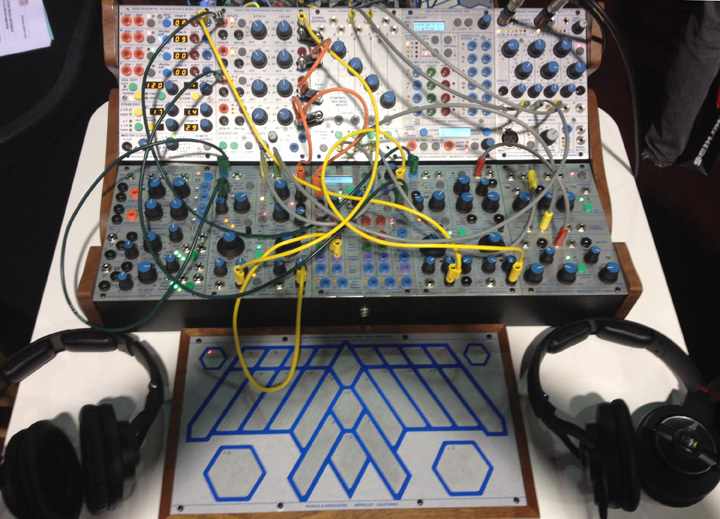 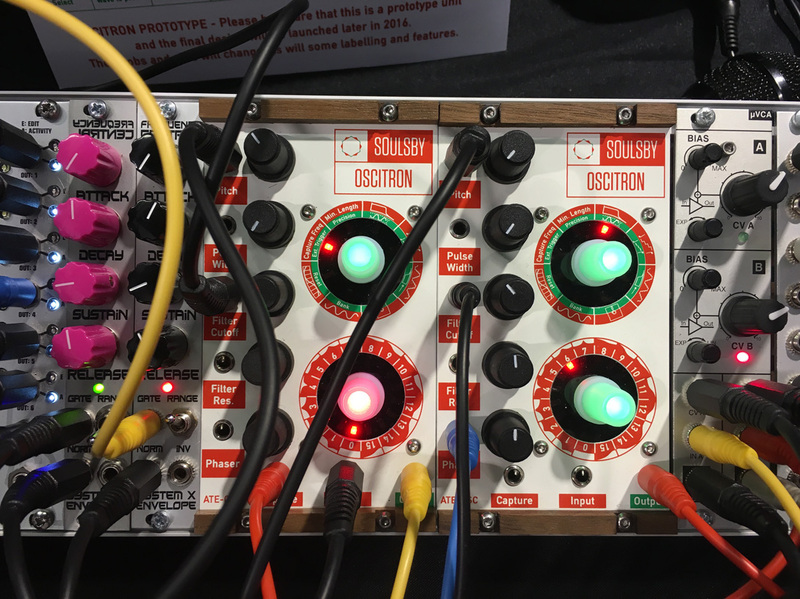 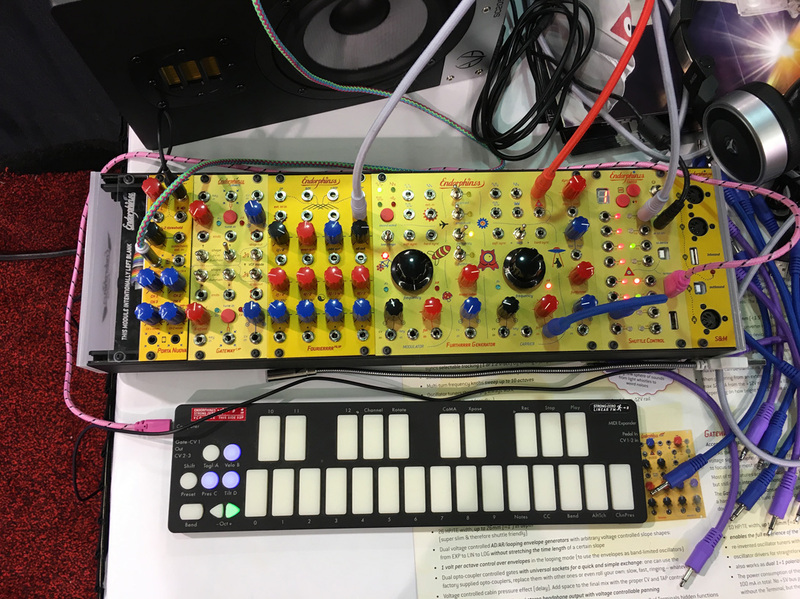 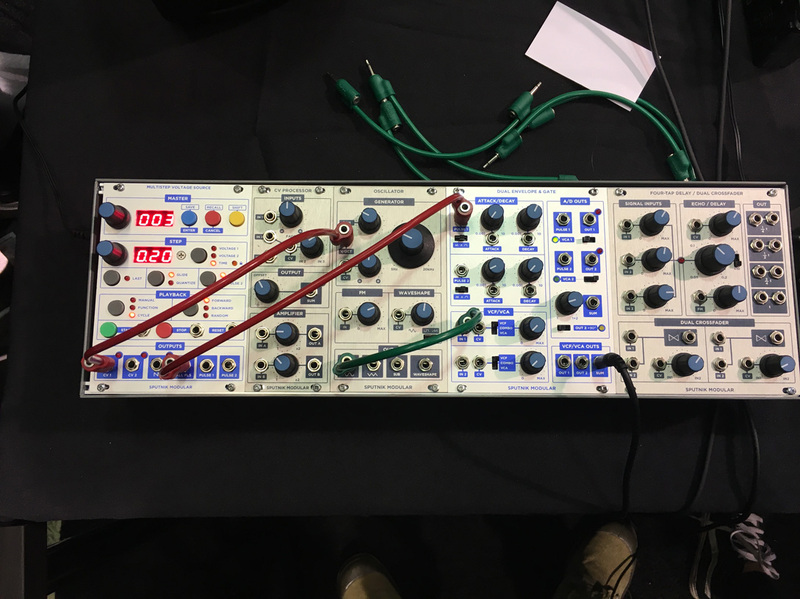 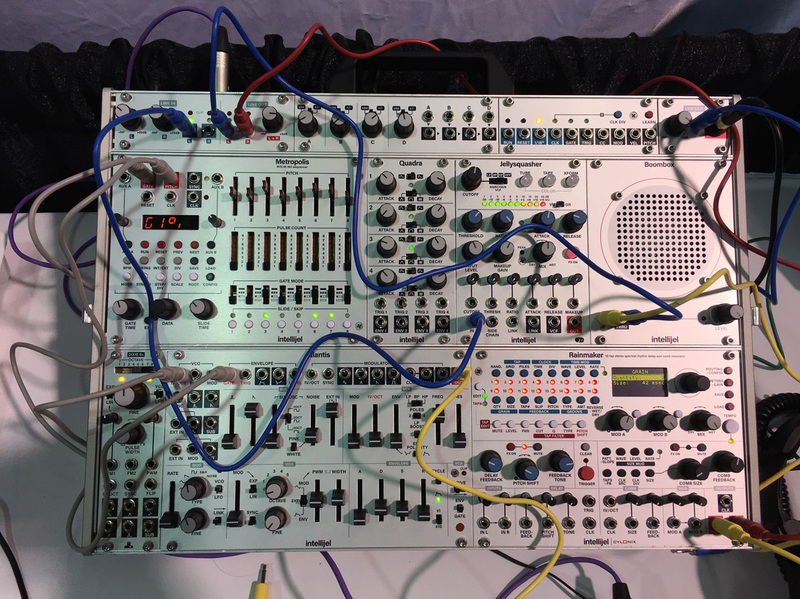 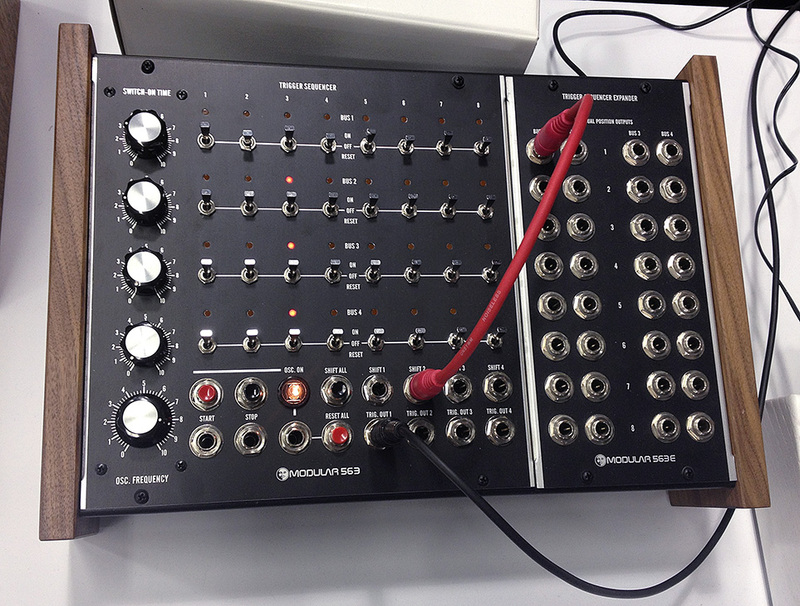 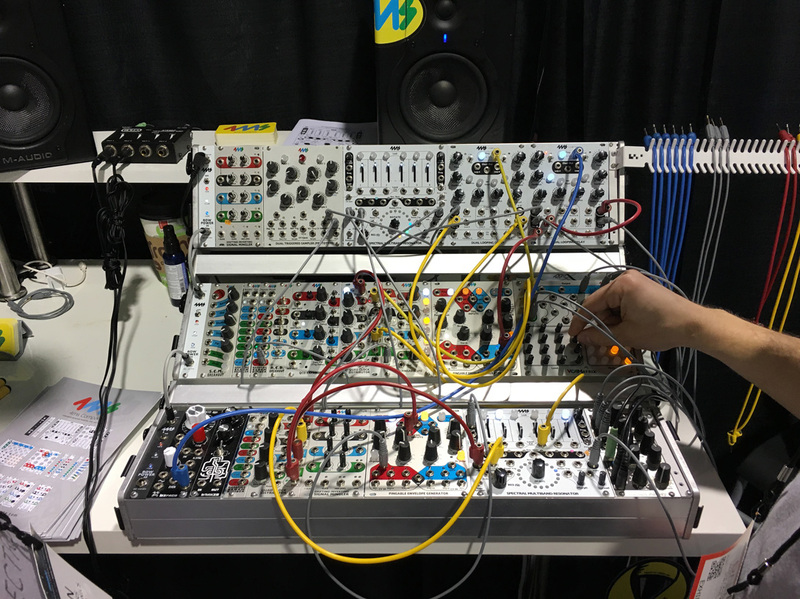 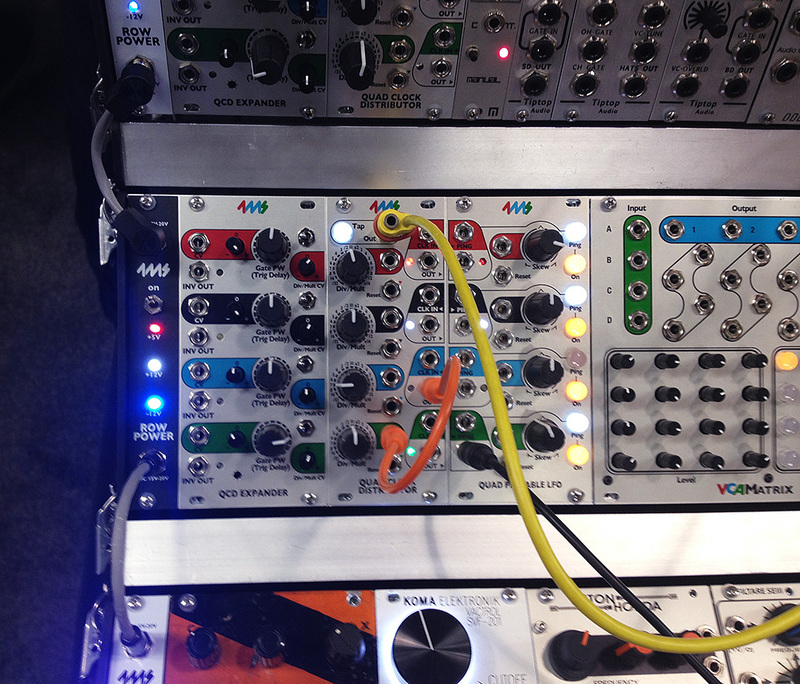 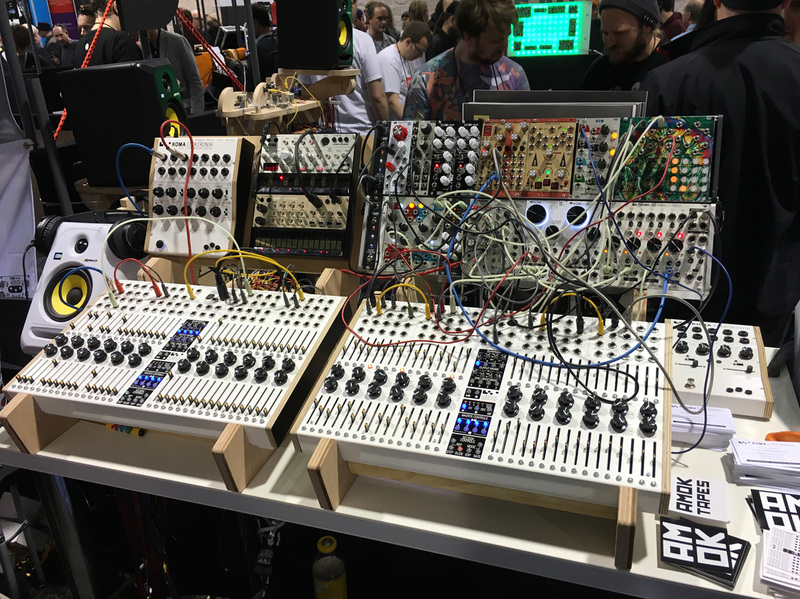 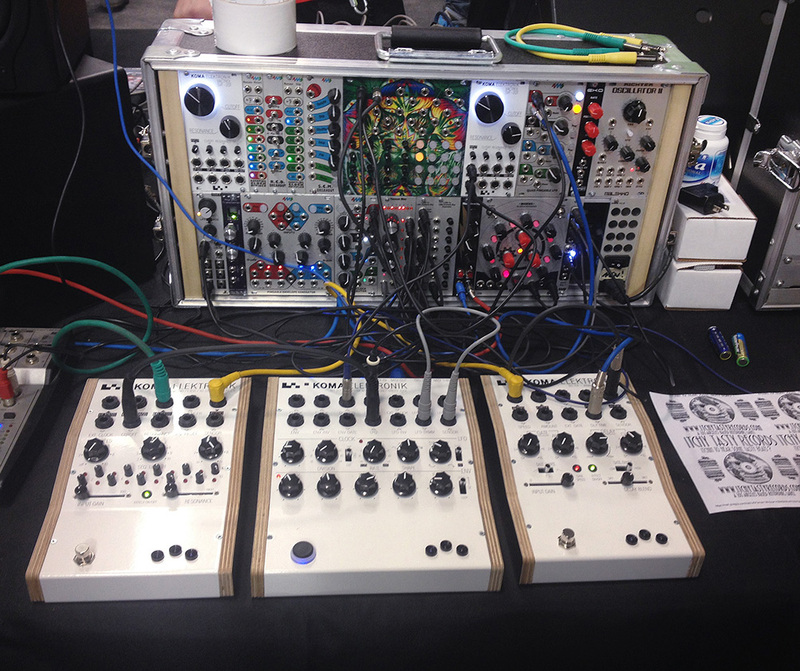 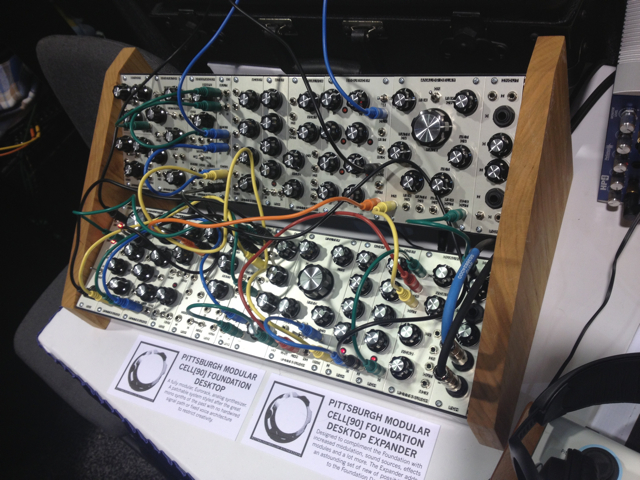 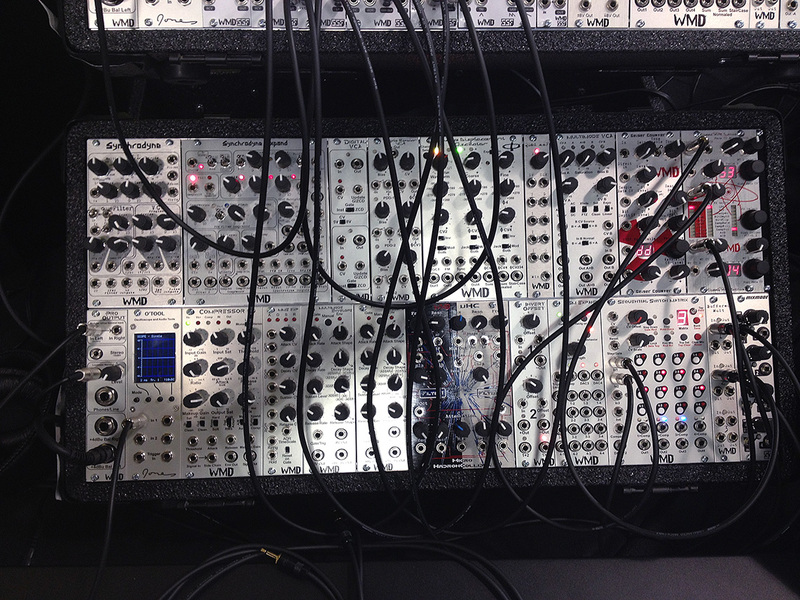 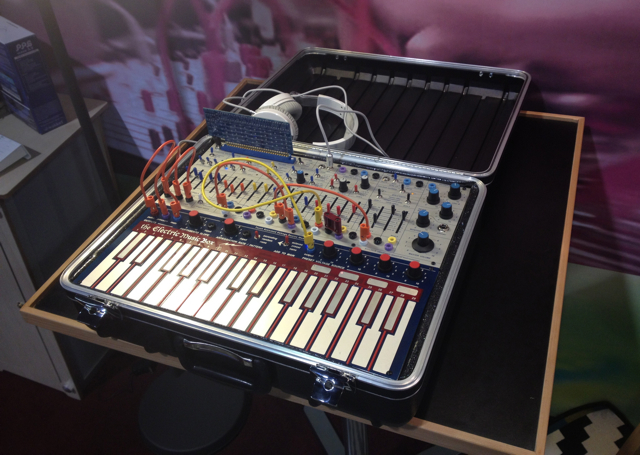 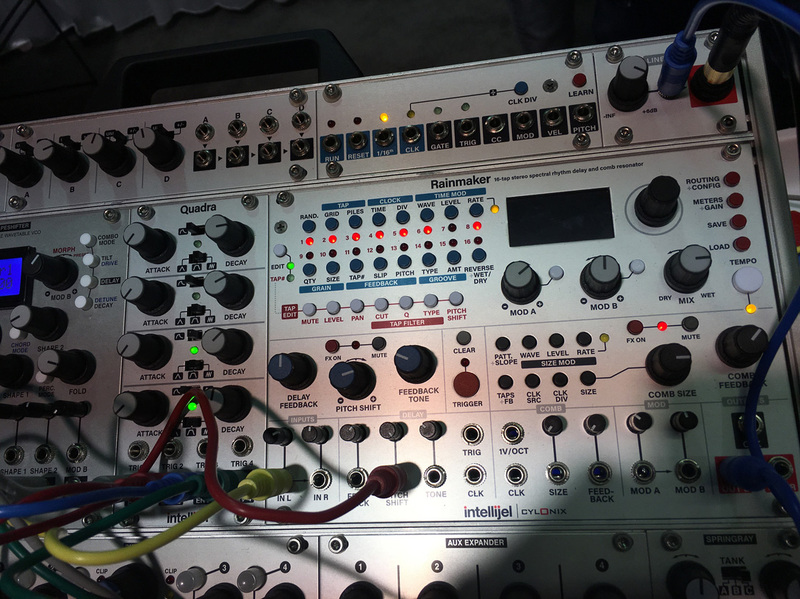 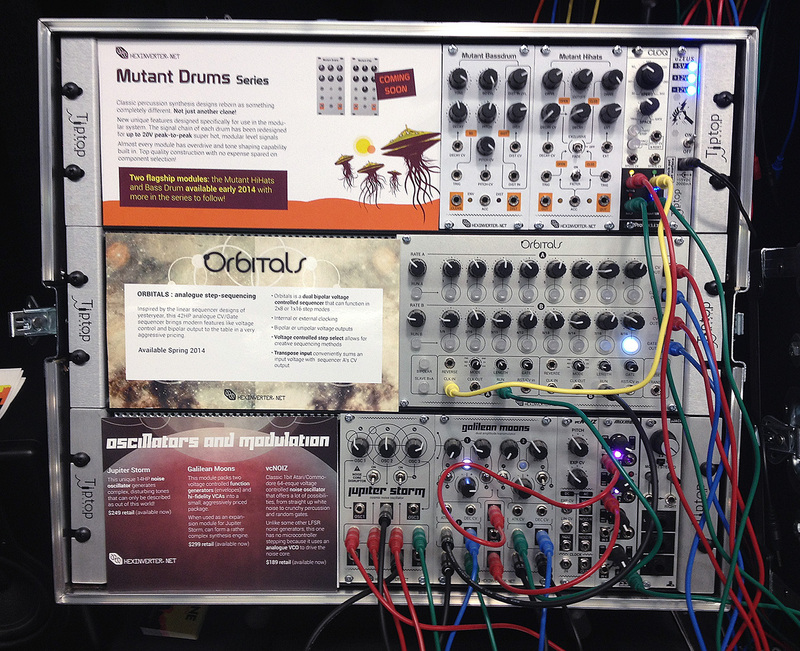 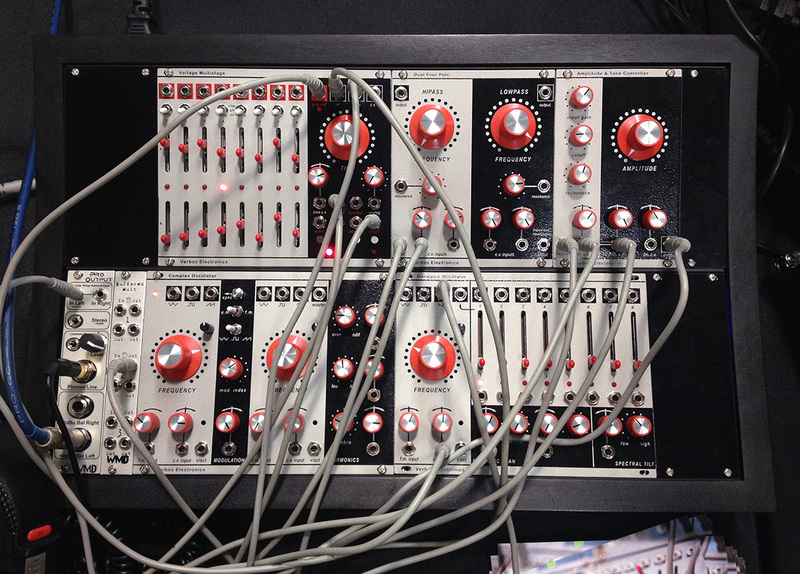 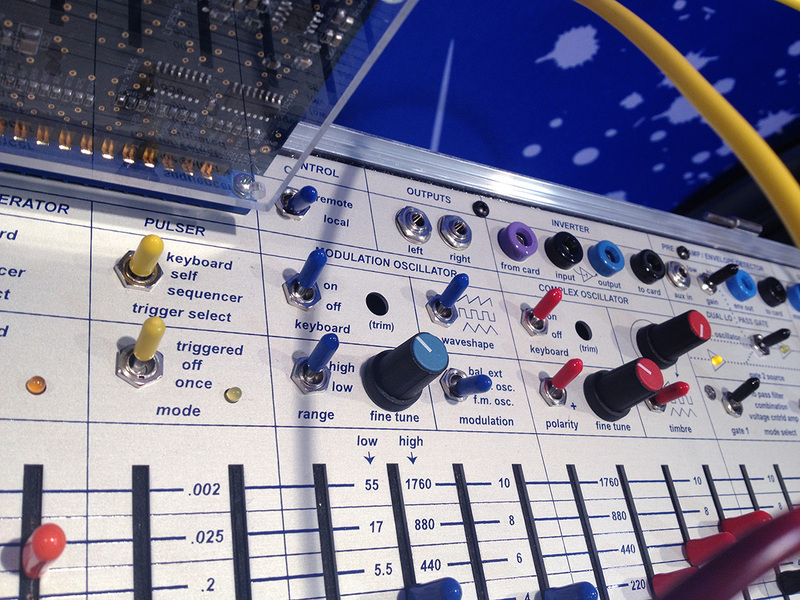 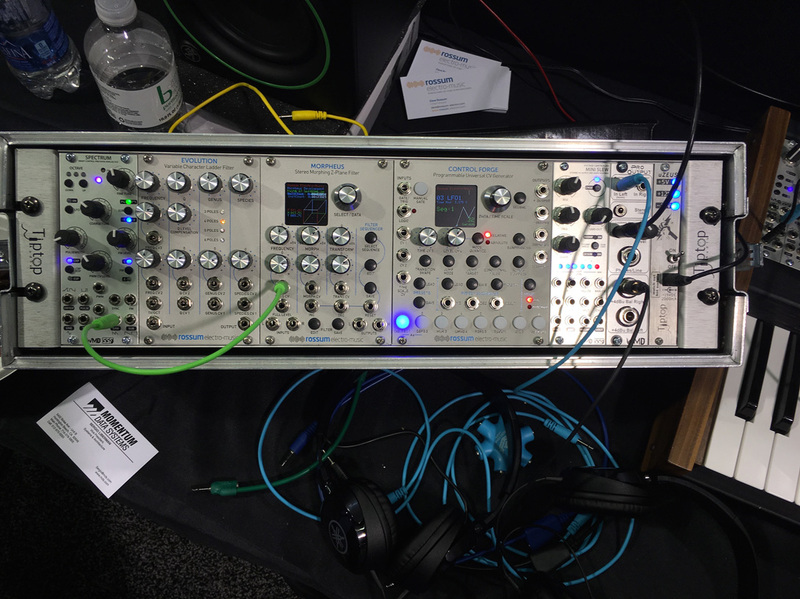 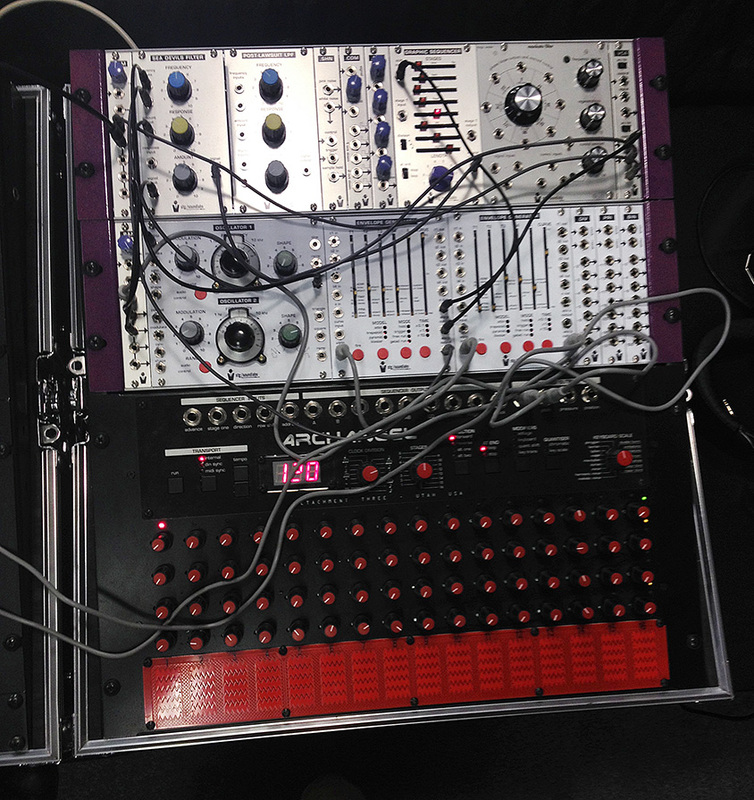 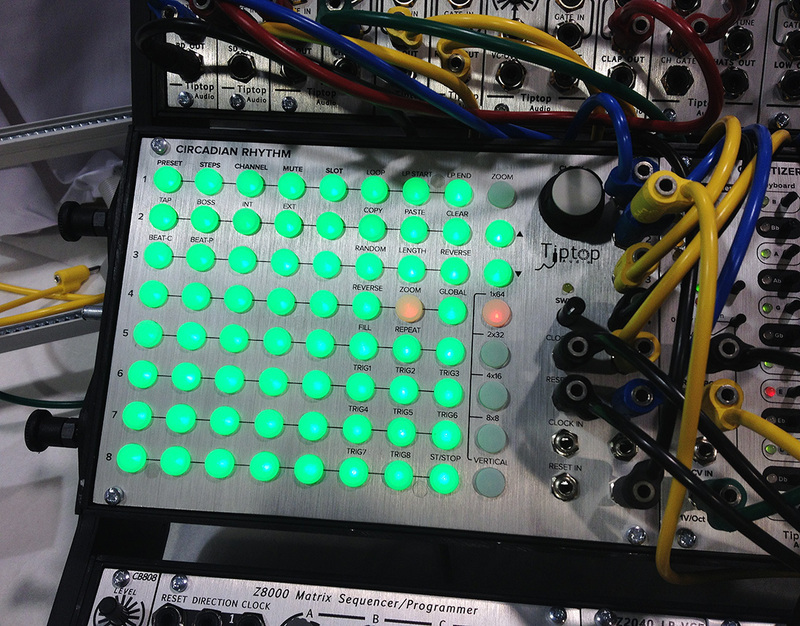 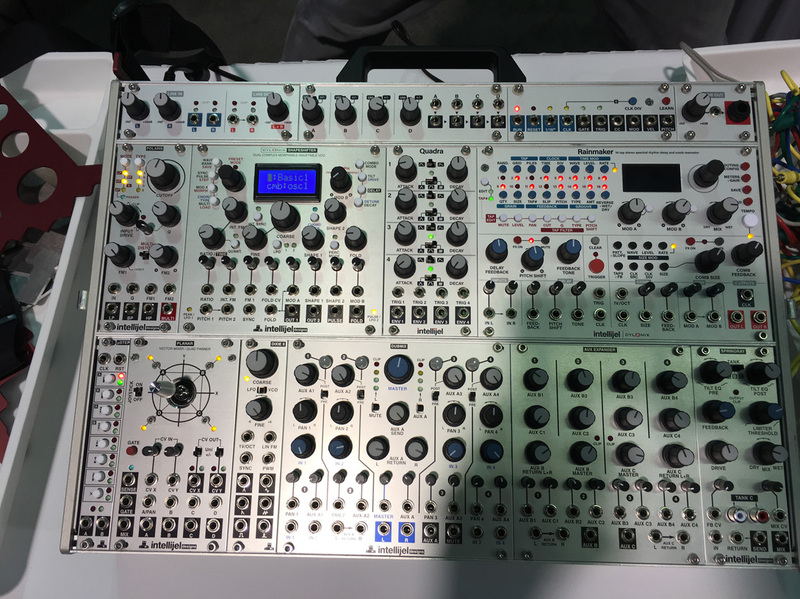 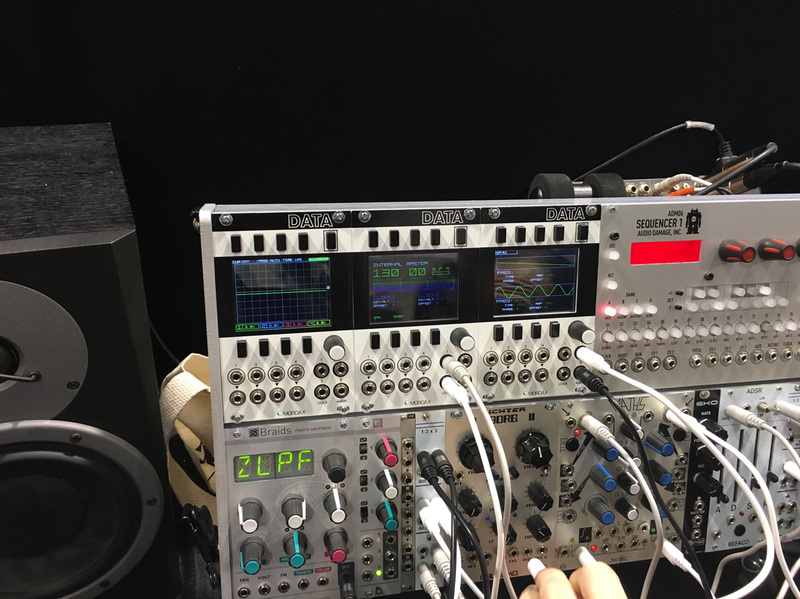 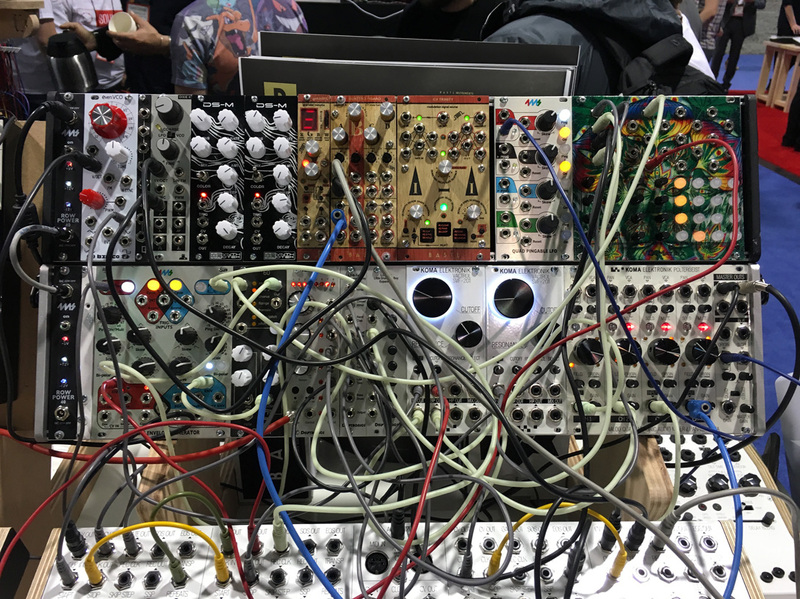 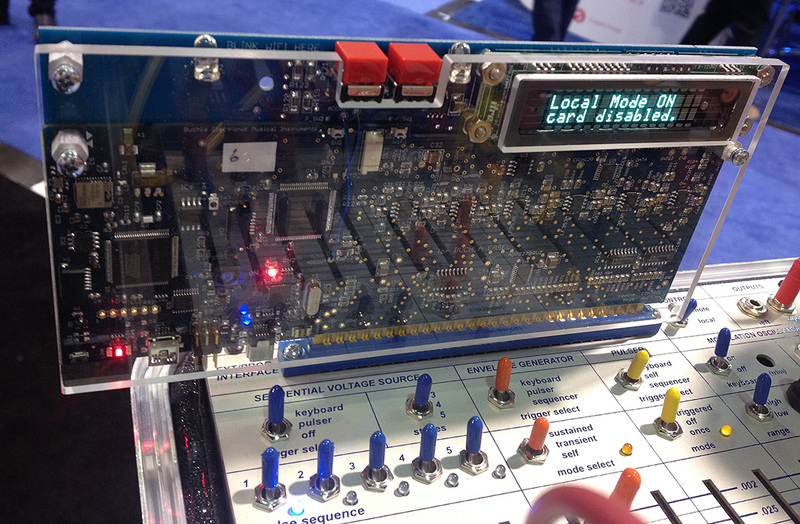 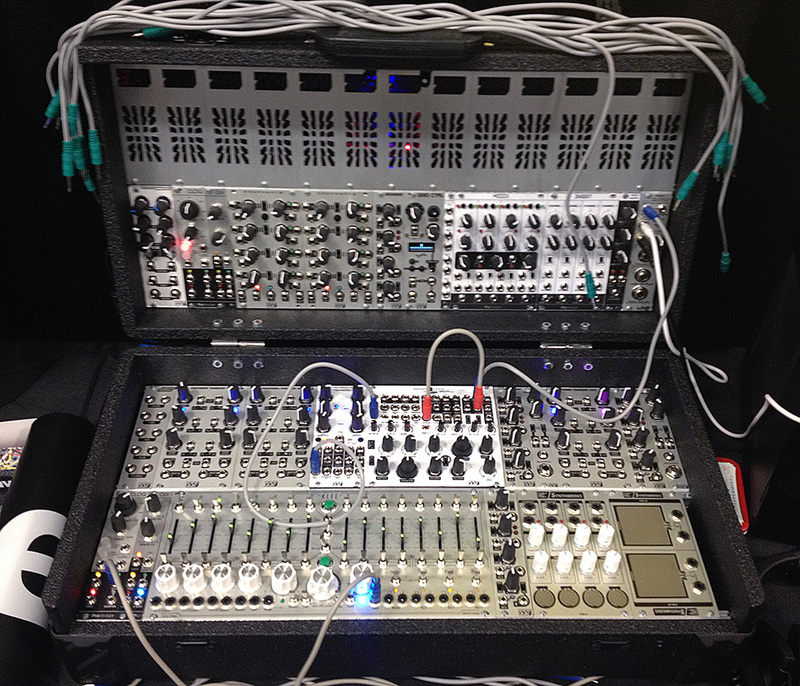 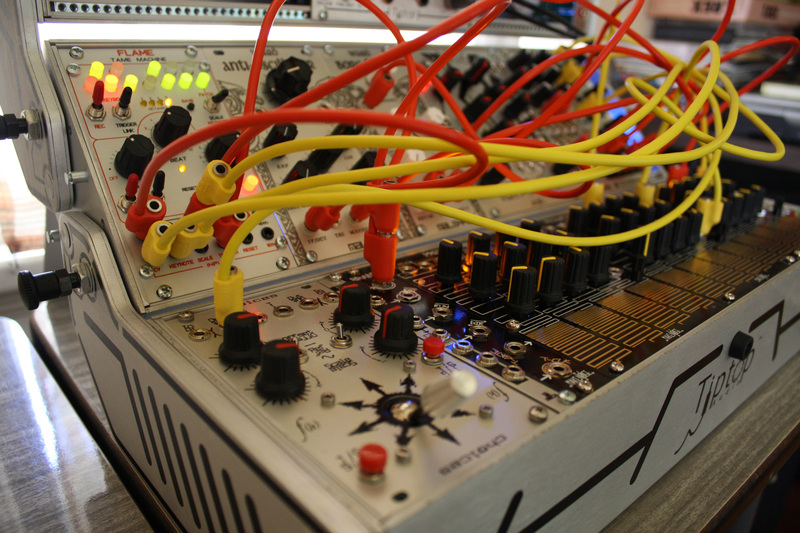 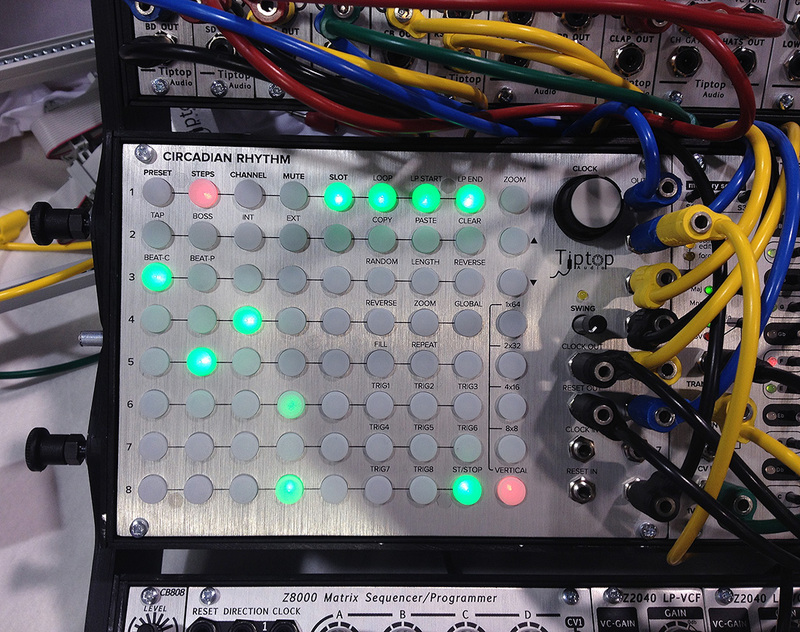 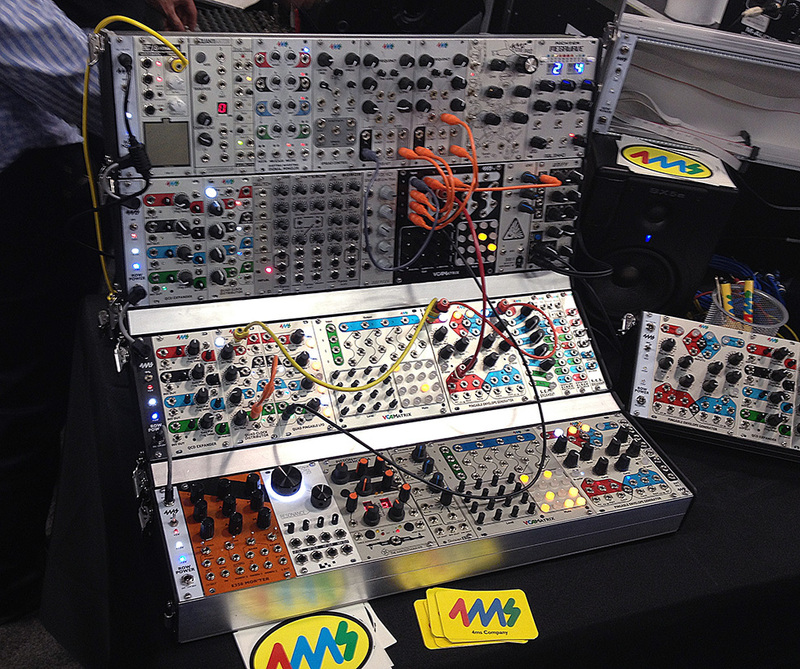 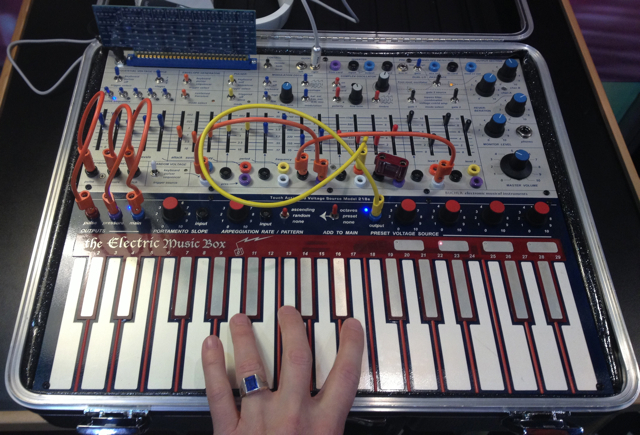 I also went to the Buchla booth where they had several systems set up, among them was the new Skylab shown below. 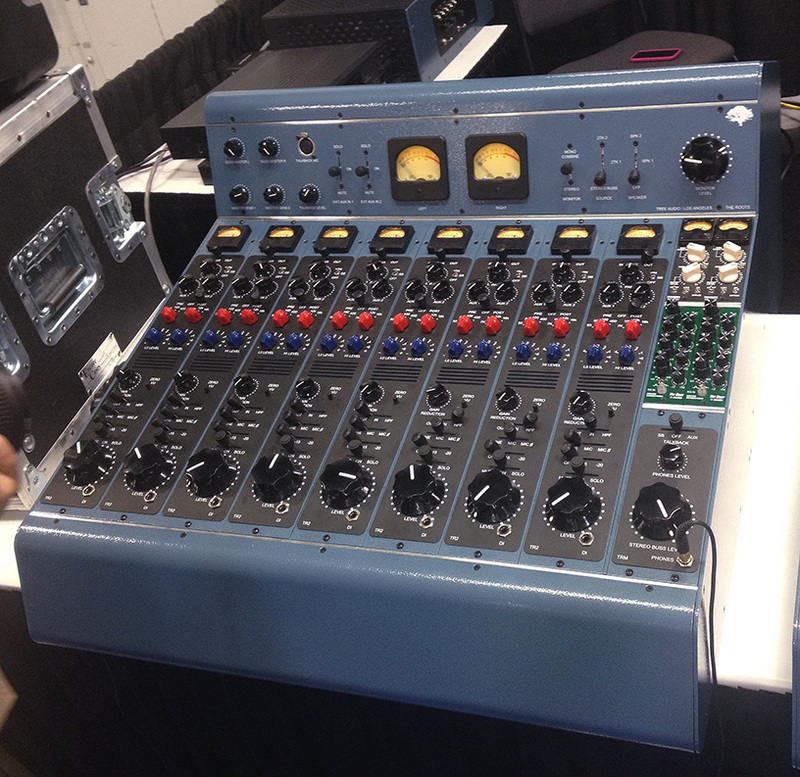 I would love to own one some day, but this unit costs roughly twice as much as my car. 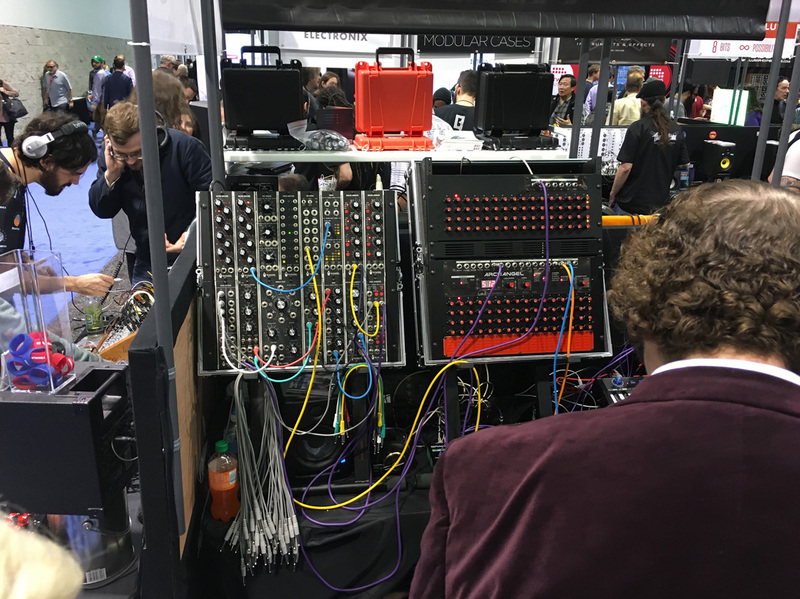 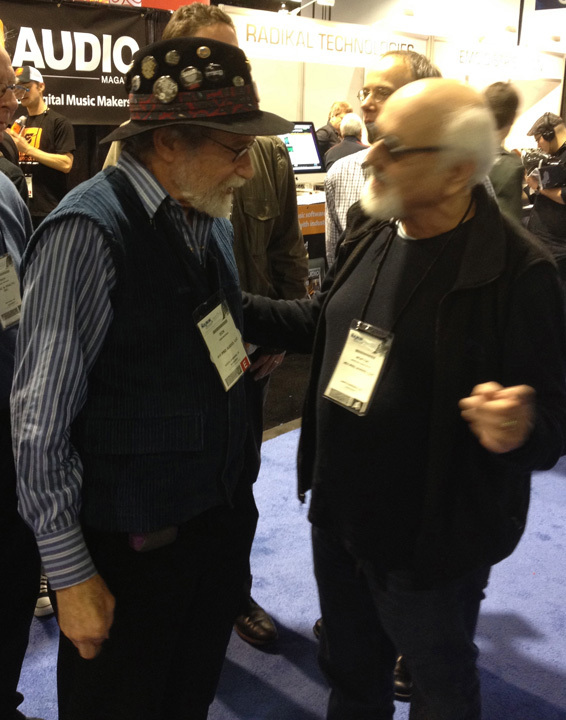 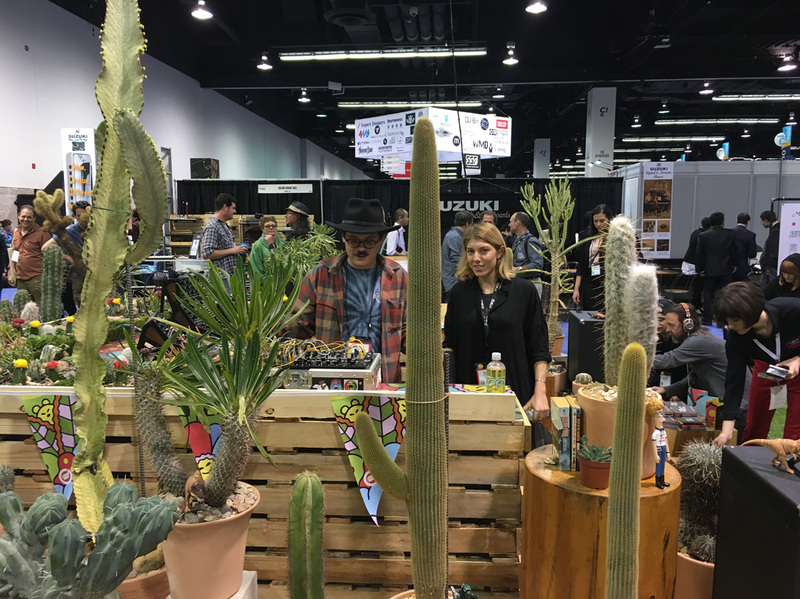 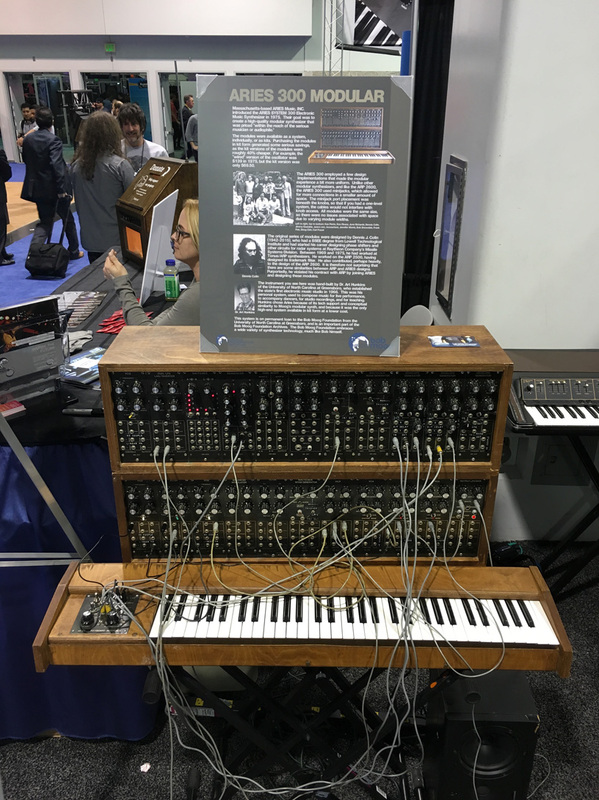 It was hard to get good photos amid the chaos of NAMM, as exemplified by the two photos below of legendary Buchla users Morton Subotnick and Suzanne Ciani. 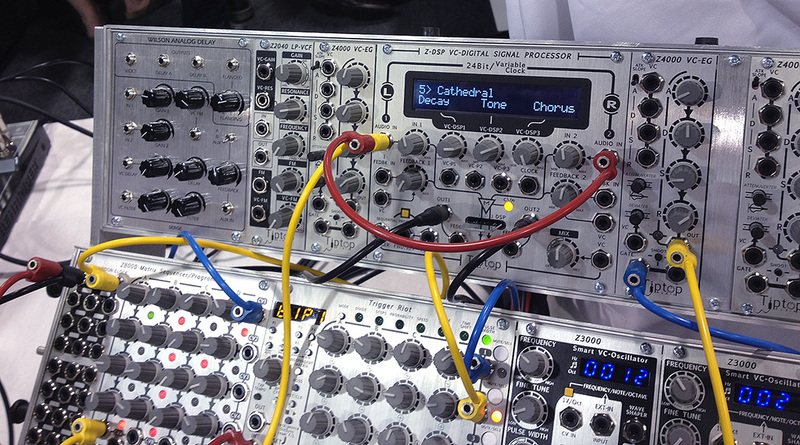 Both with their eyes closed. 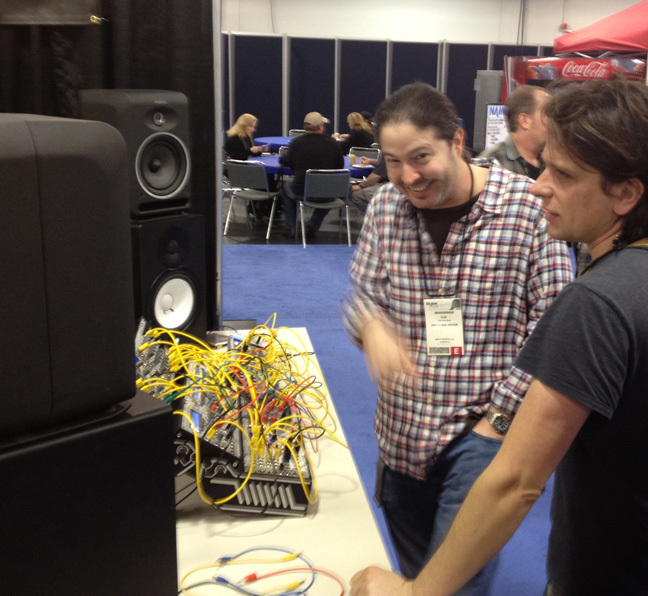 Maybe they were listening to the Buchlas plunking and droning in the background. 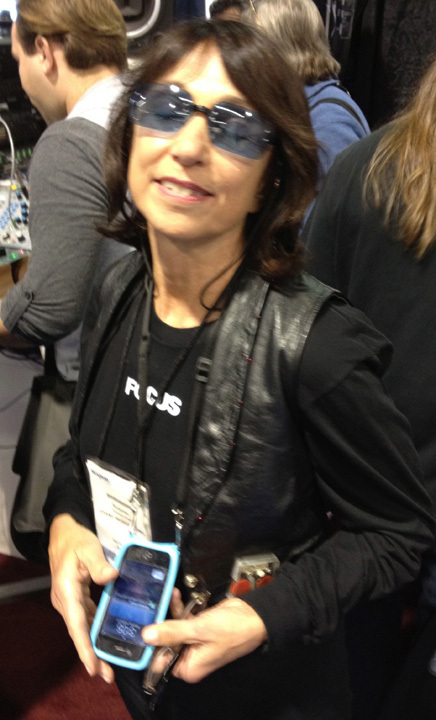 Suzanne had on a vest with LEDs embedded in the lapel and on the back which blinked on and off in patterns powered by battery backs on the back. 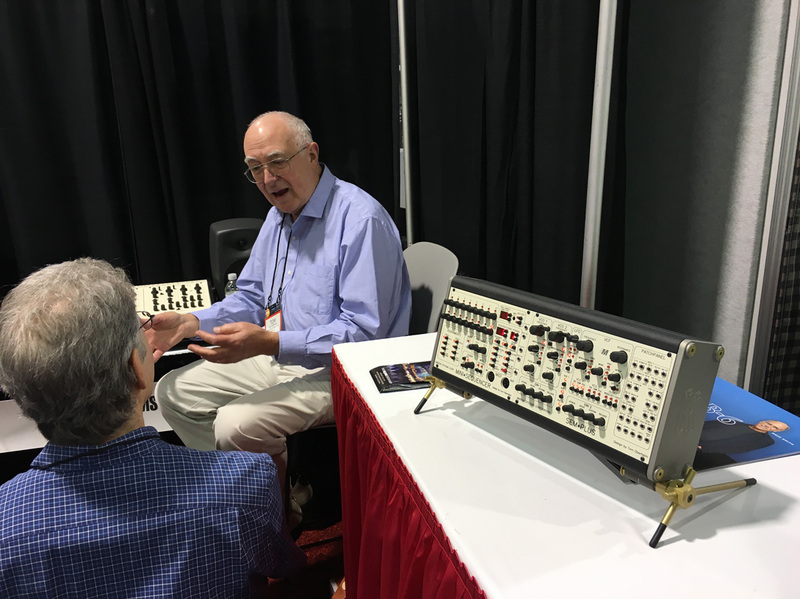 Below are Don and Morton who worked together when Don was building his first synthesizers. 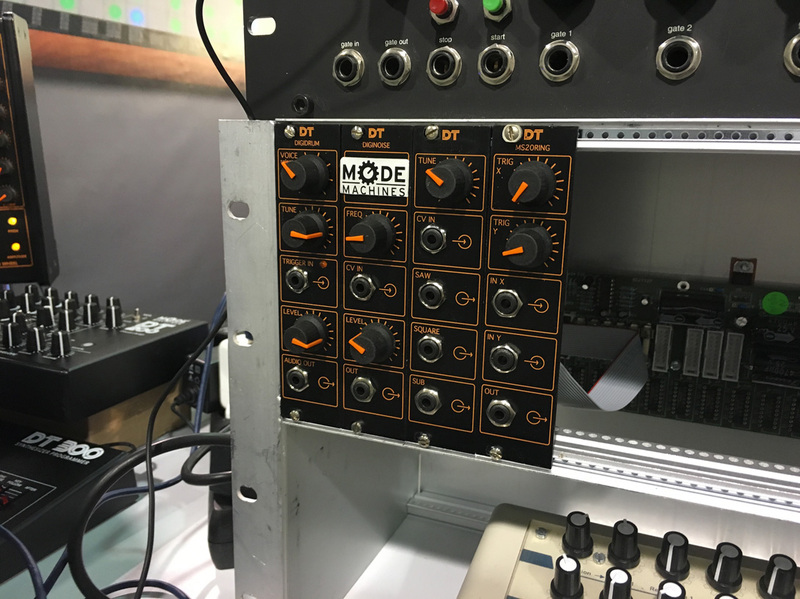 I’m glad they did, as many of the modules in my current system were influenced by Don’s late sixties and seventies creations. 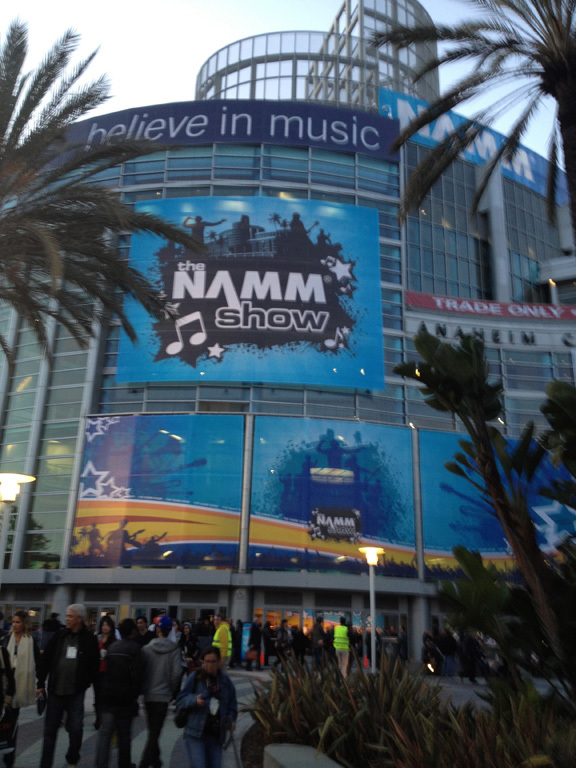 What’s funny about this post is that NAMM is all about equipment yet most of the photos I took were of people. 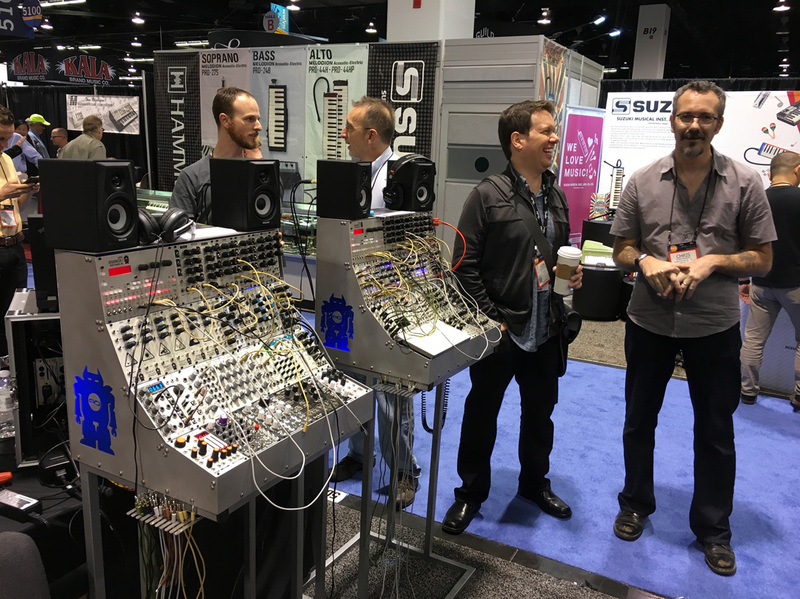 I suppose that is because it takes these incredibly talented people to create worthwhile instruments just as it takes incredibly talented people to make decent music and sounds with that equipment. 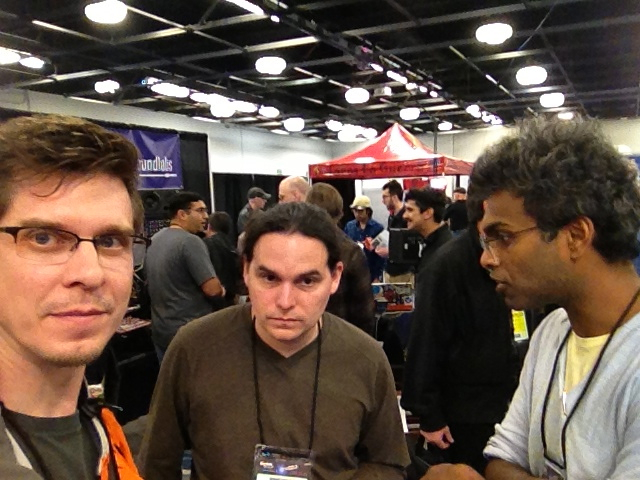 It was inspiring and fun meeting these people and talking with them about their work. 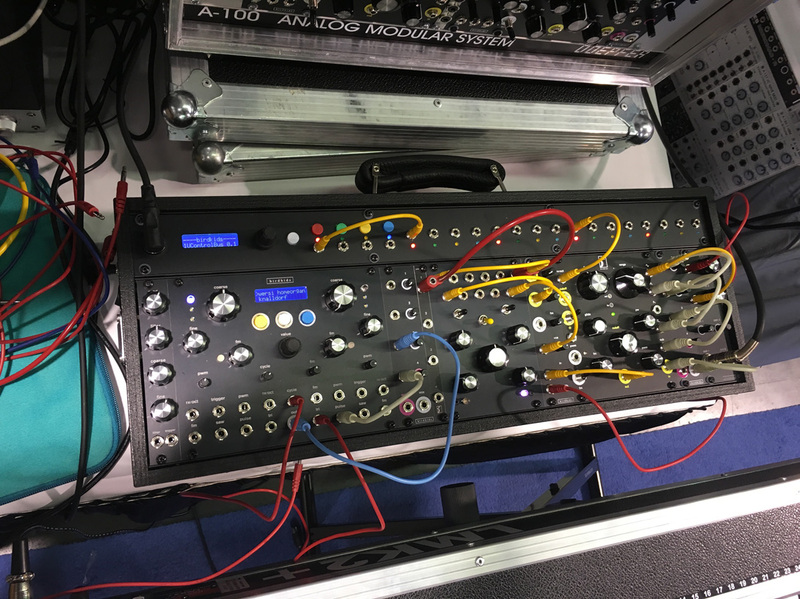 Created by cousins Brian and Leon Dewan who make really interesting equipment, including the Dual Primate Console which they play together. 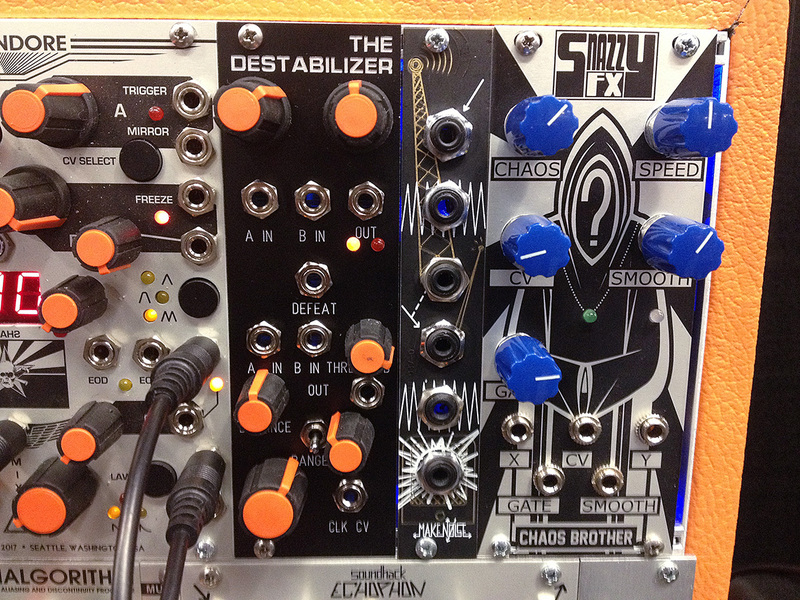 The Swarmatron was used by Trent Reznor on the soundtracks to The Social Network and The Girl with the Dragon Tattoo. 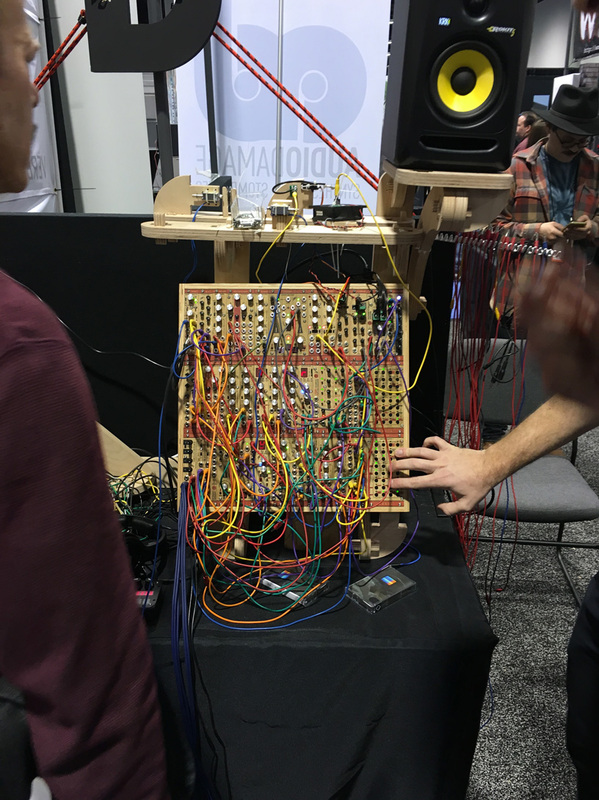 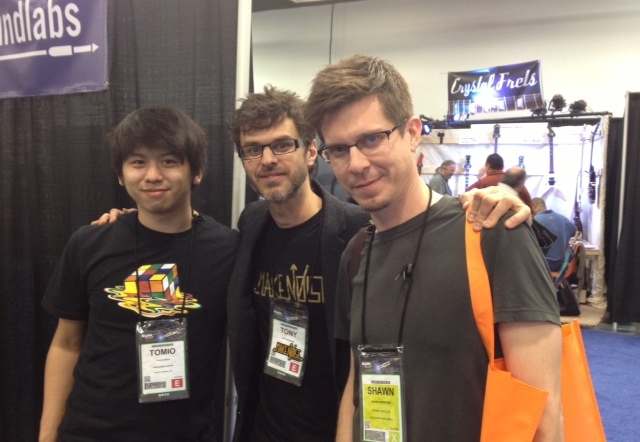 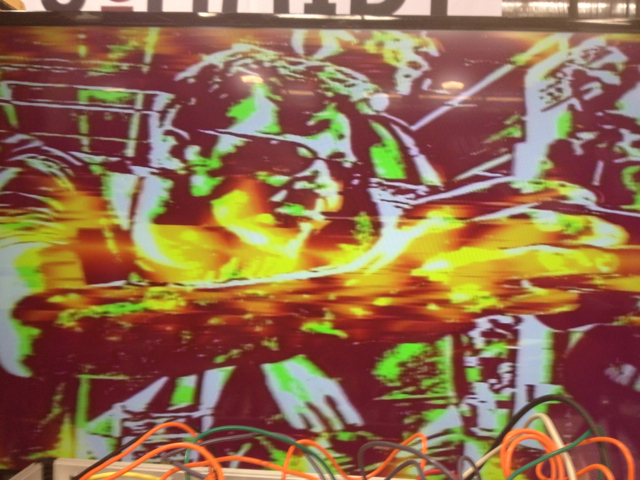 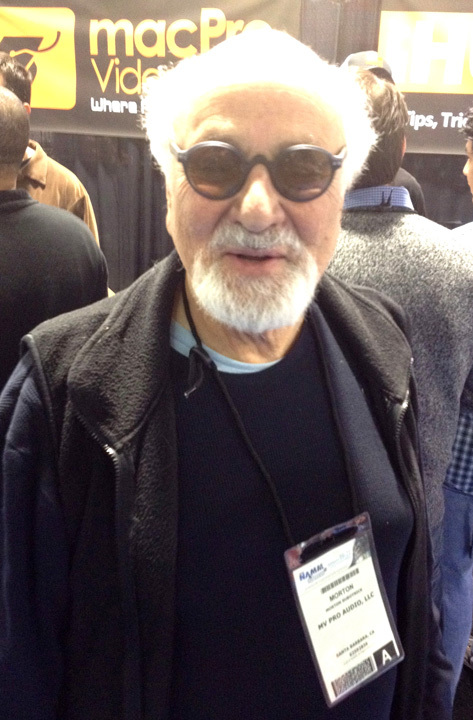 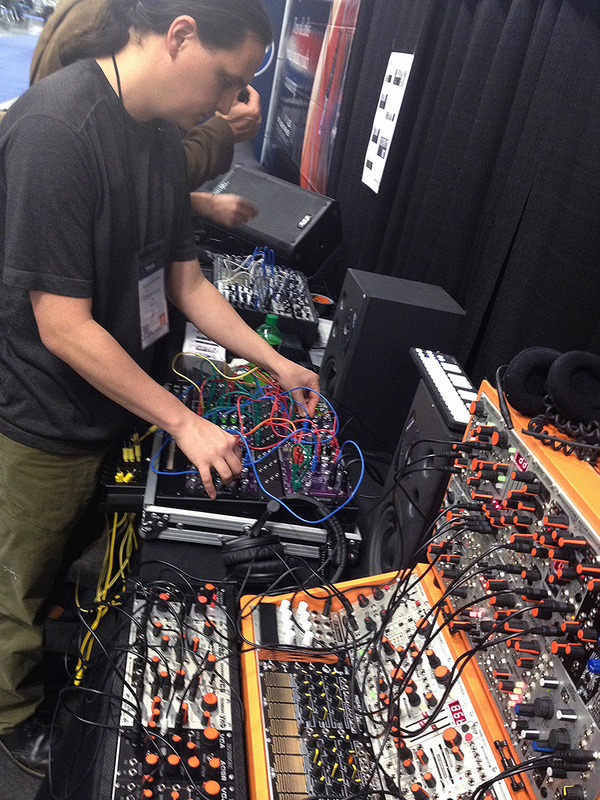 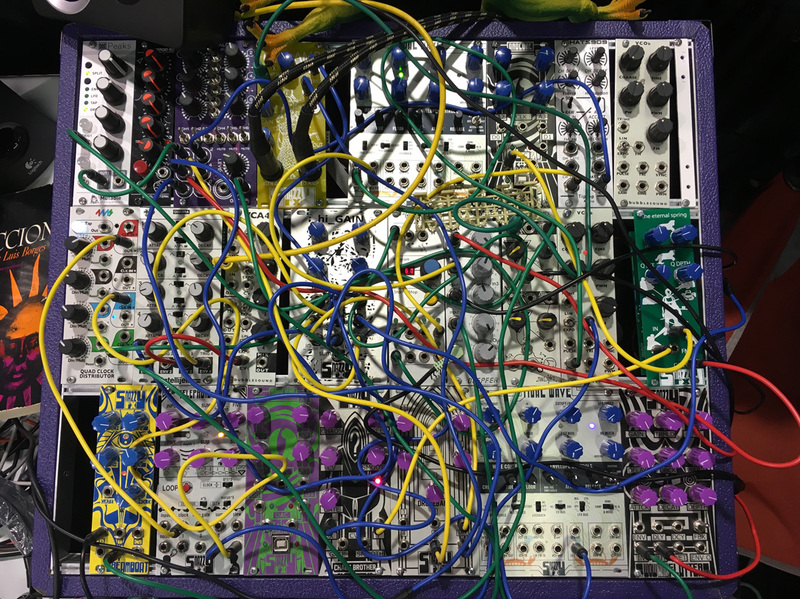 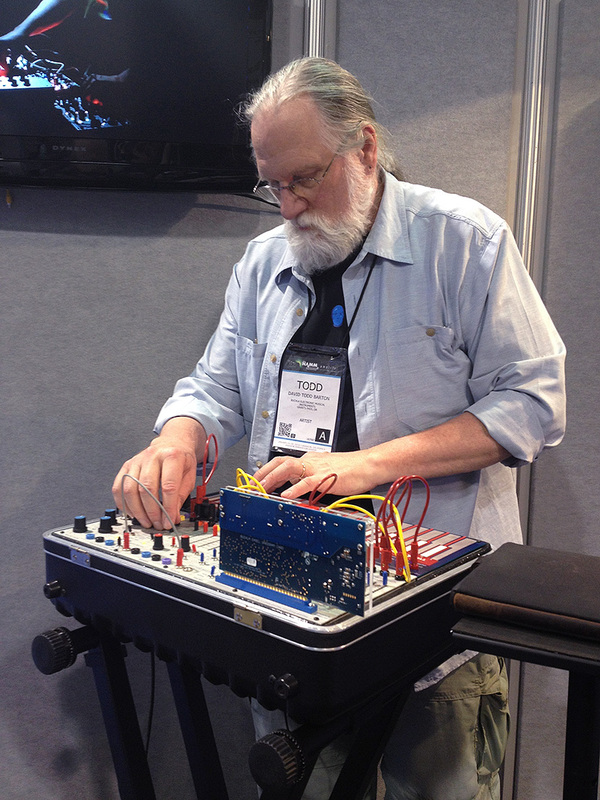 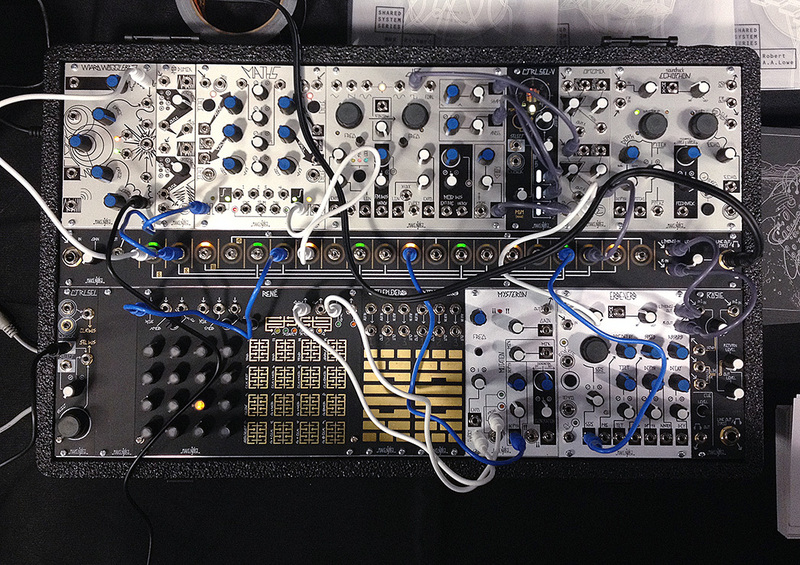 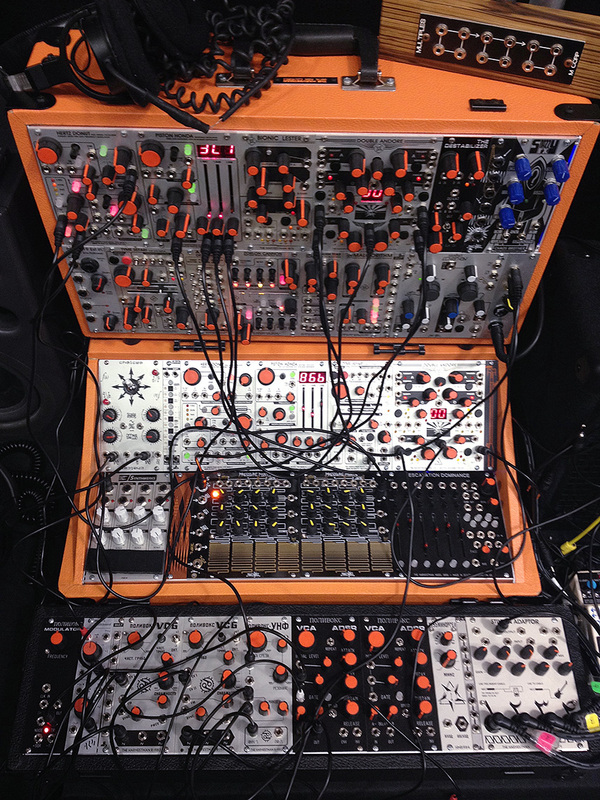 Thanks to Gur for setting me up with a NAMM badge – it was quite the spectacle.